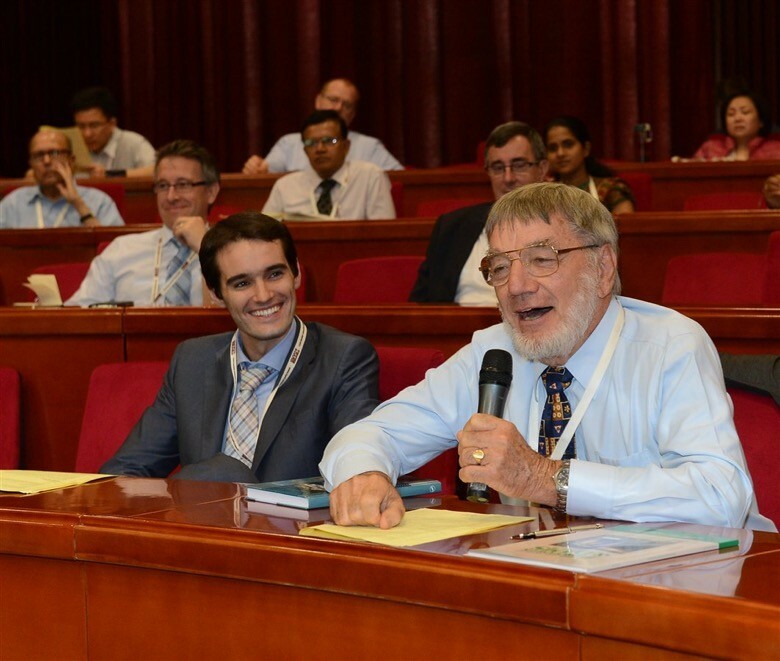 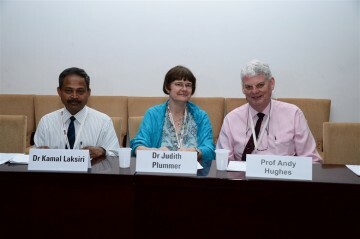 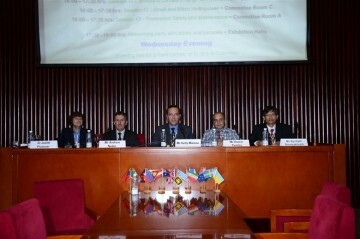 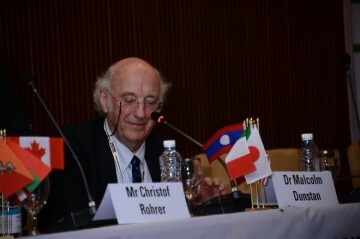 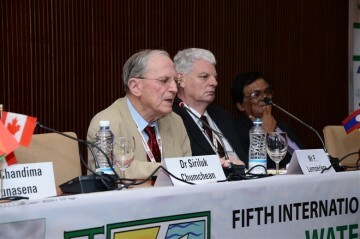 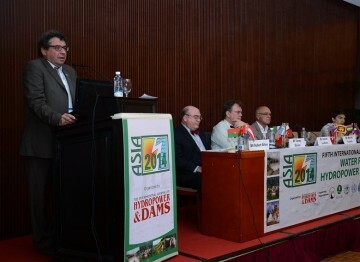 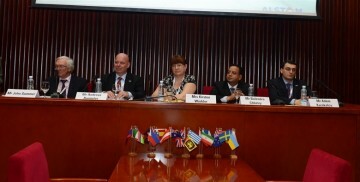 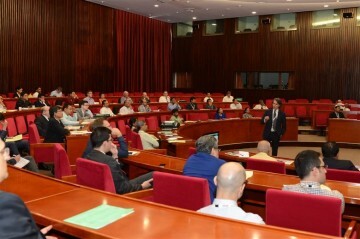 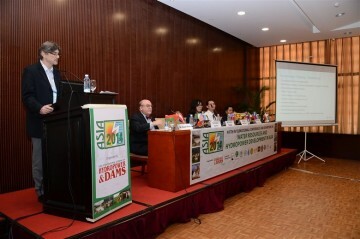 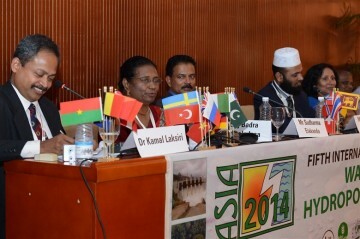 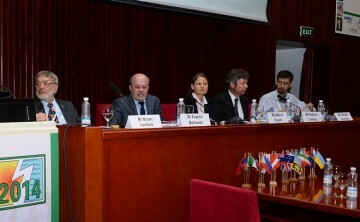 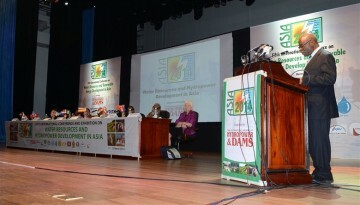 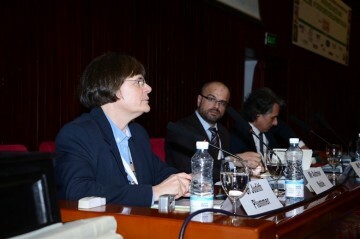 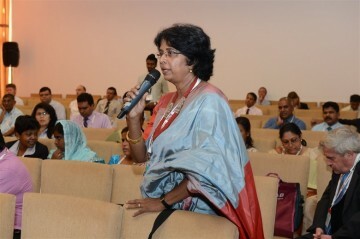 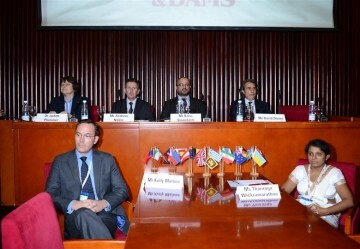 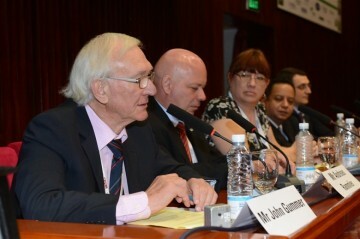 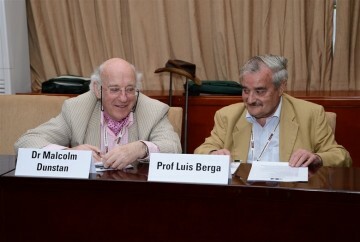 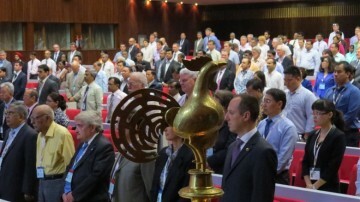 The opening session comprised two parts. 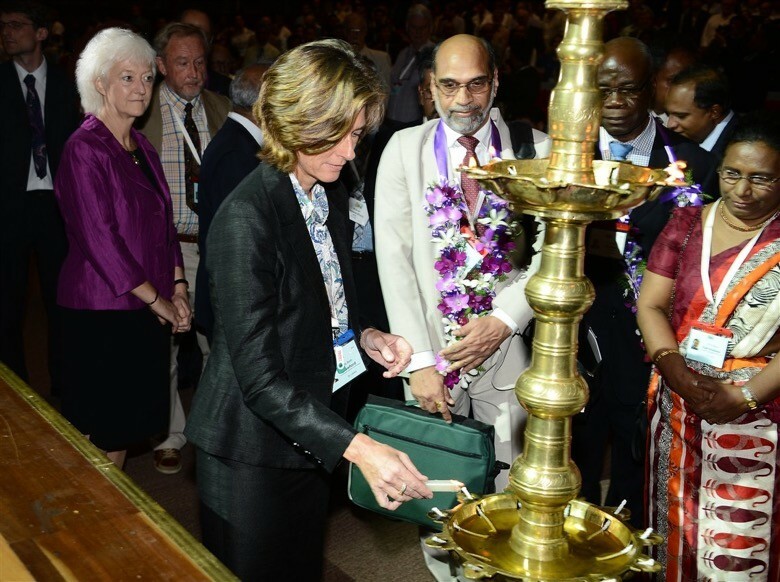 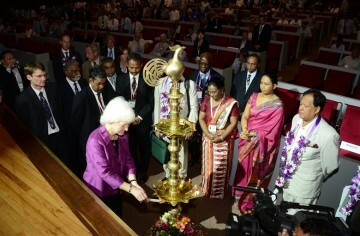 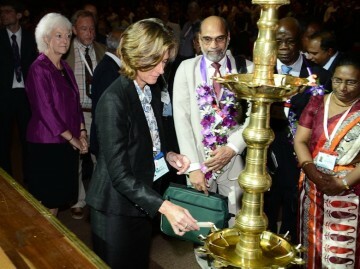 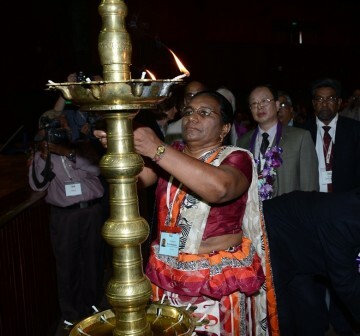 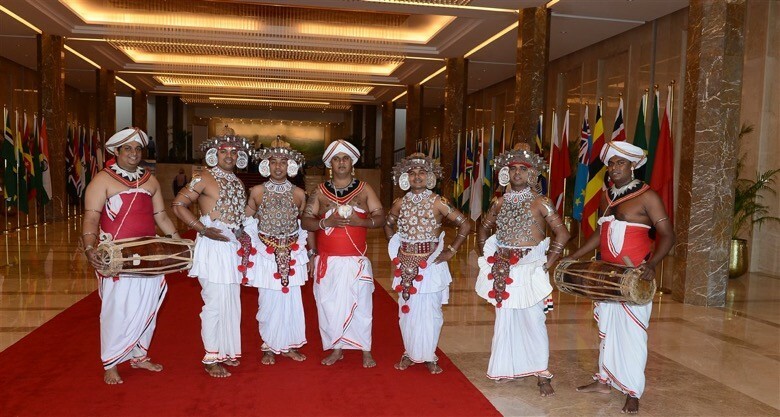 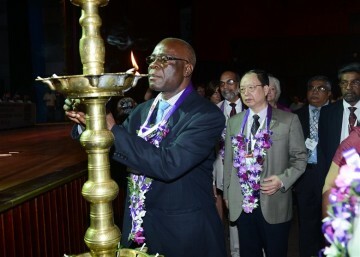 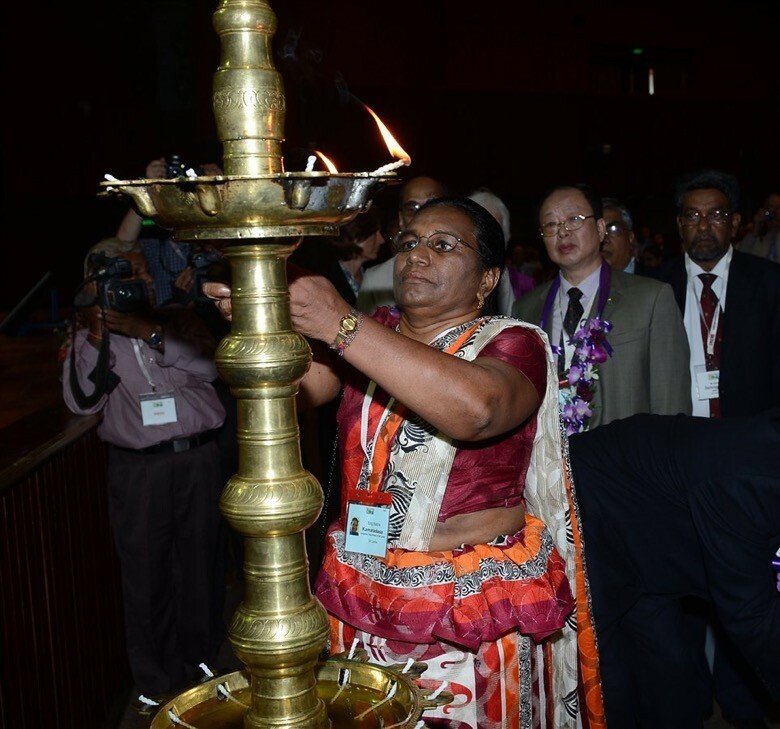 The formal ceremony began with Guest of Honour and other Sri Lankan and international VIPs being led in procession into the auditorium by traditional Sri Lankan drummers for the lighting of the ceremonial oil lamp. 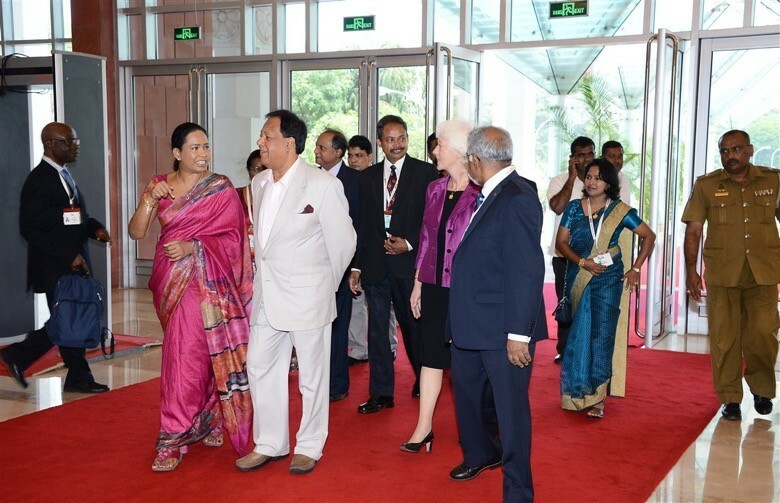 There were welcome messages from the high level representative of the principal local partners and international supporting organisations. 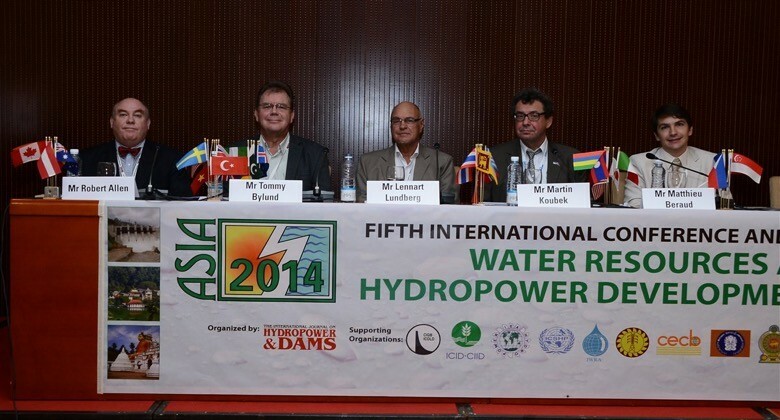 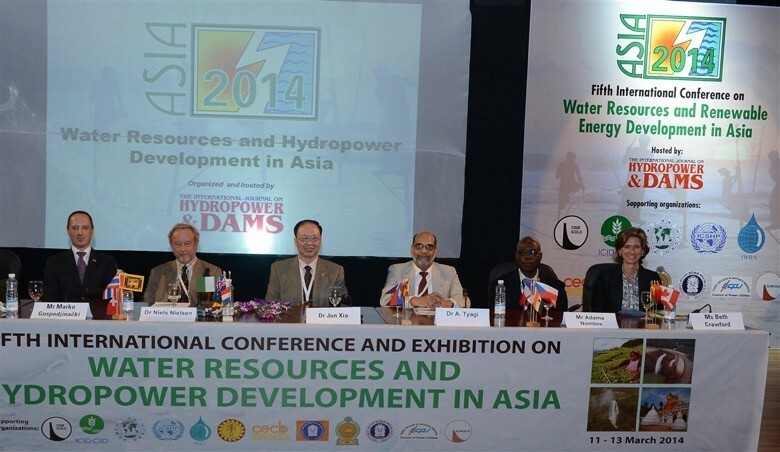 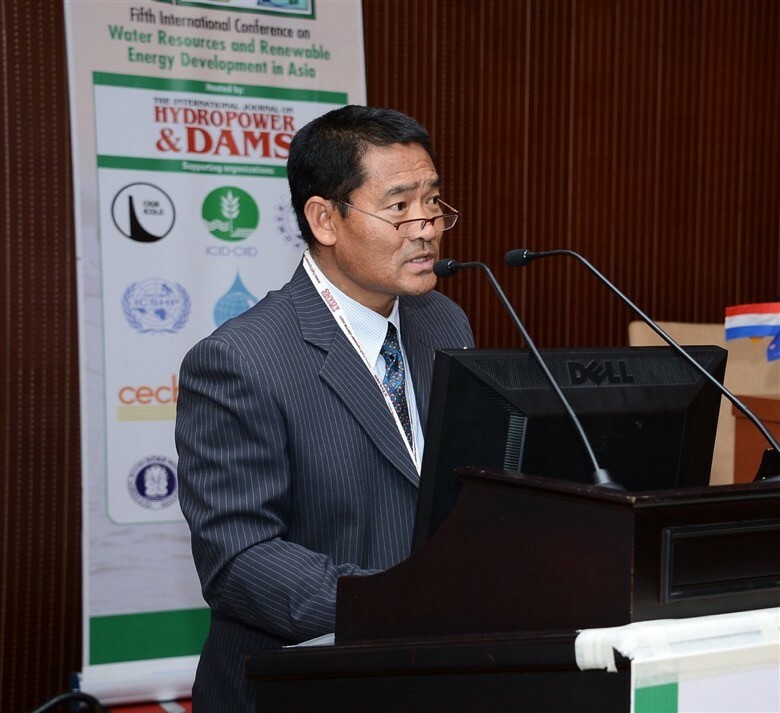 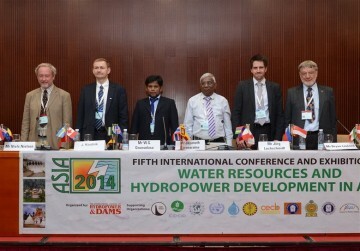 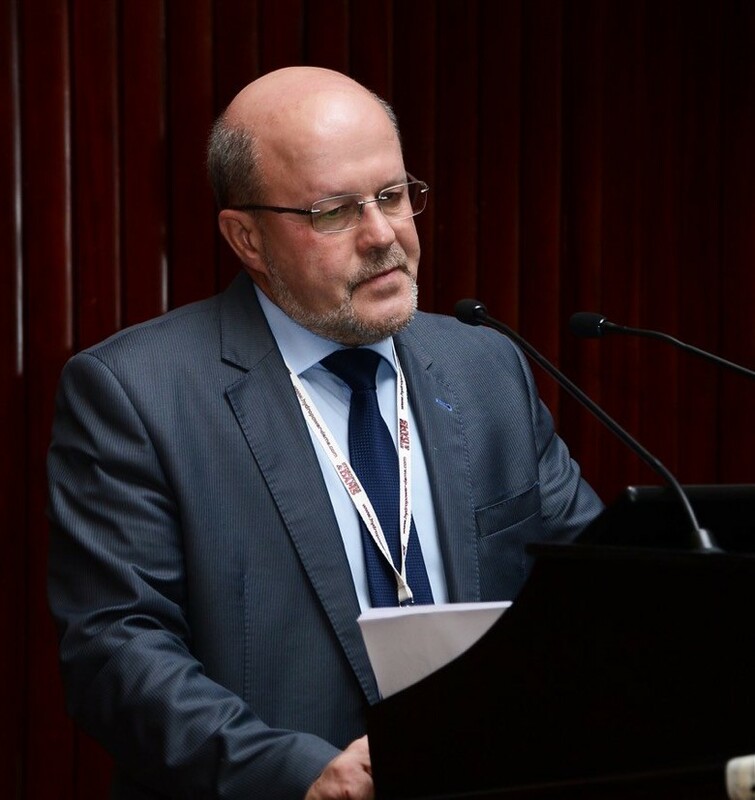 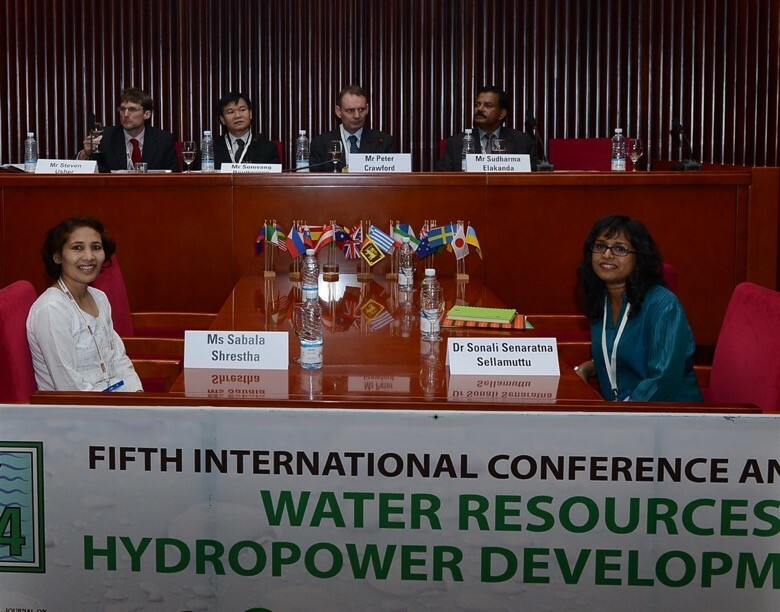 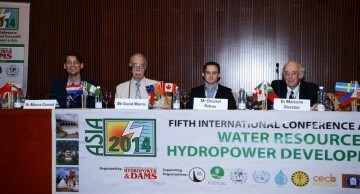 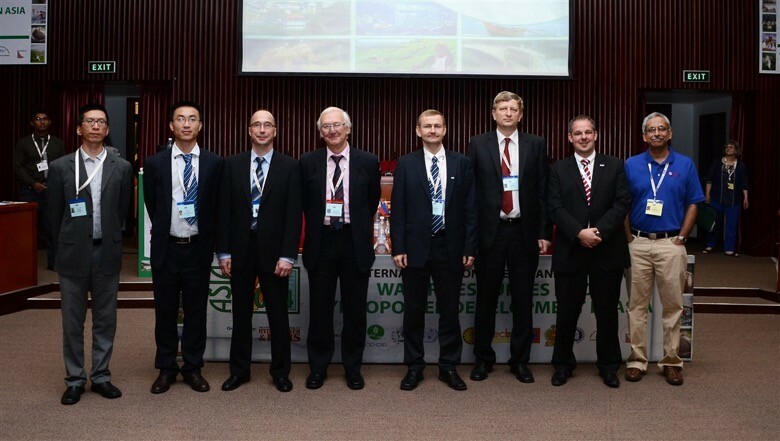 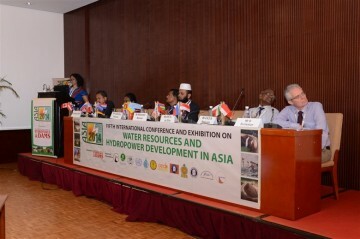 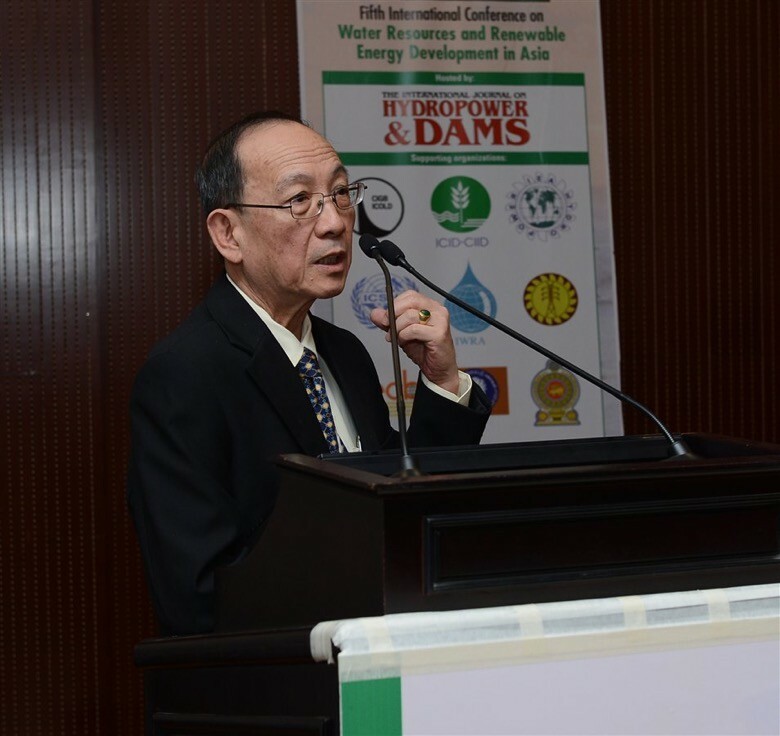 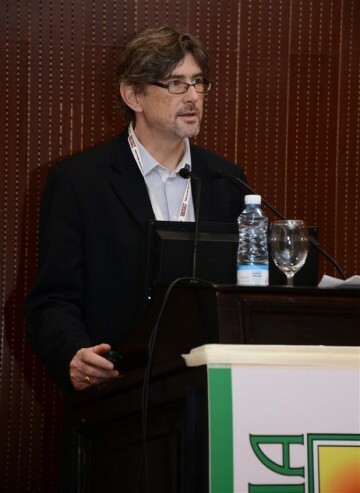 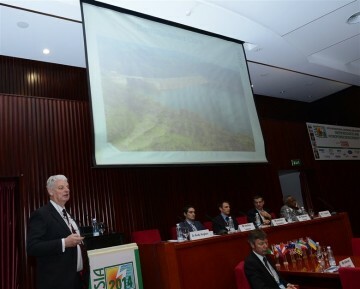 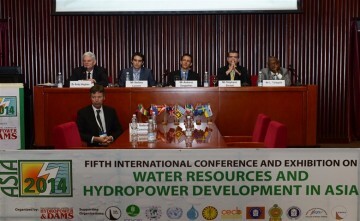 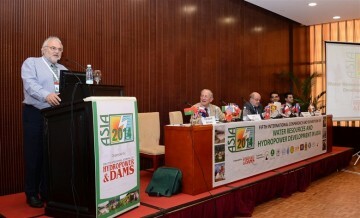 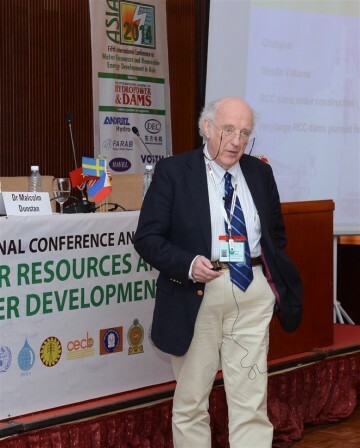 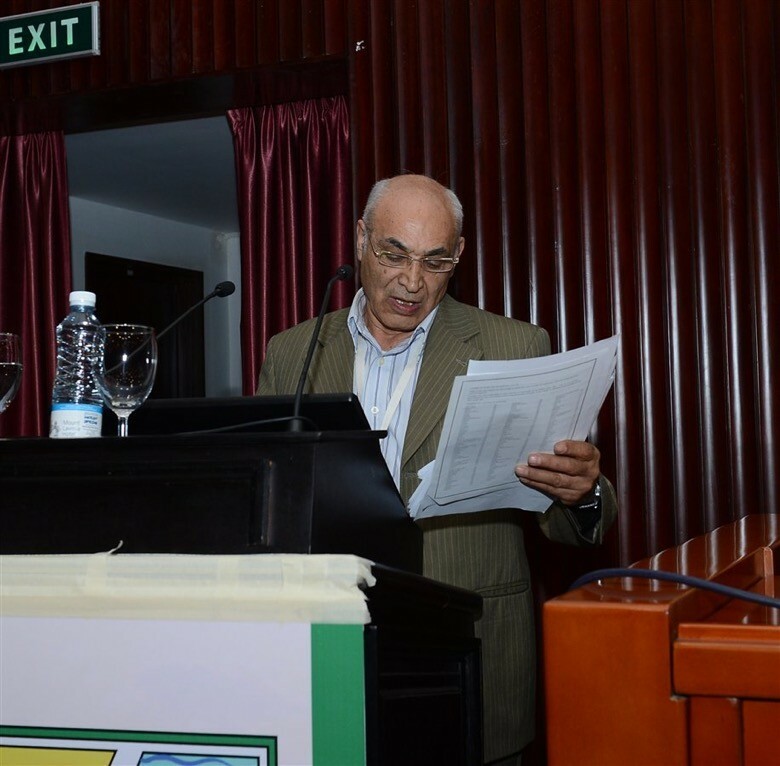 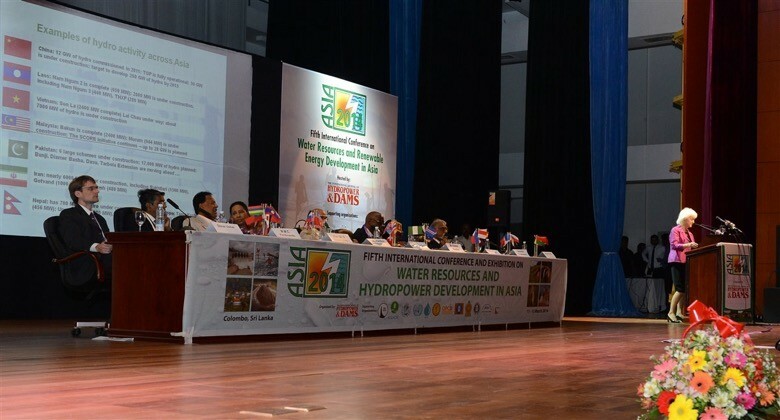 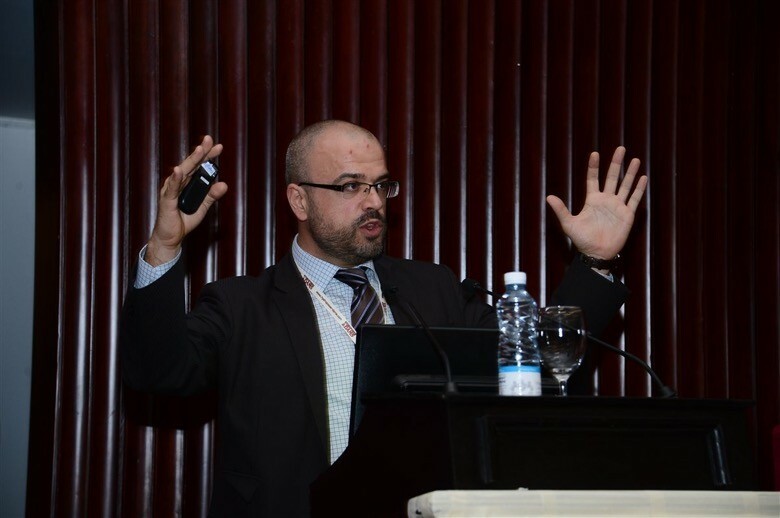 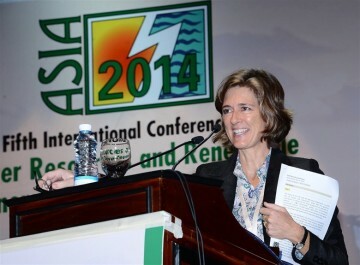 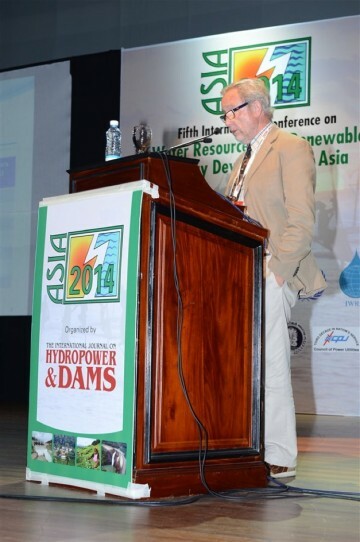 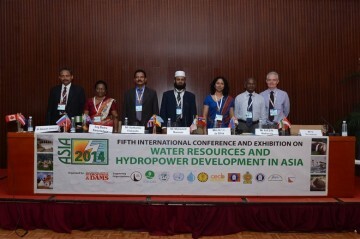 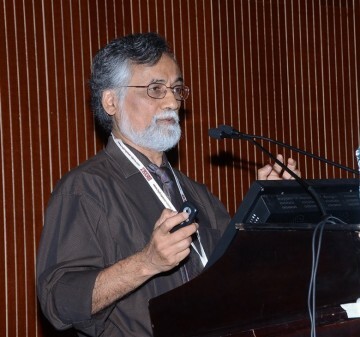 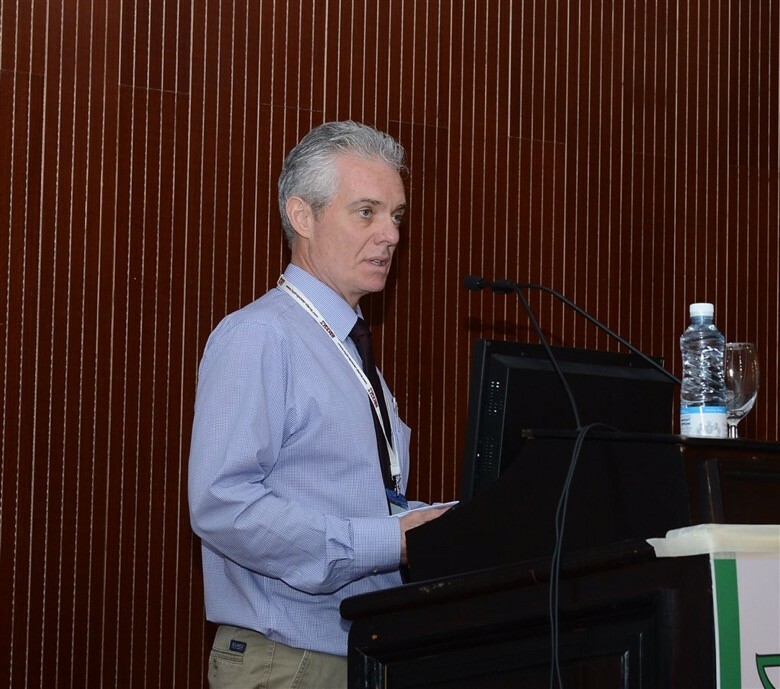 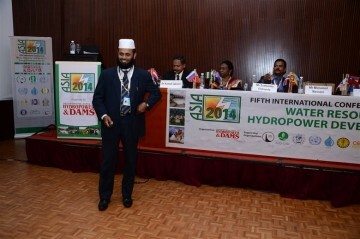 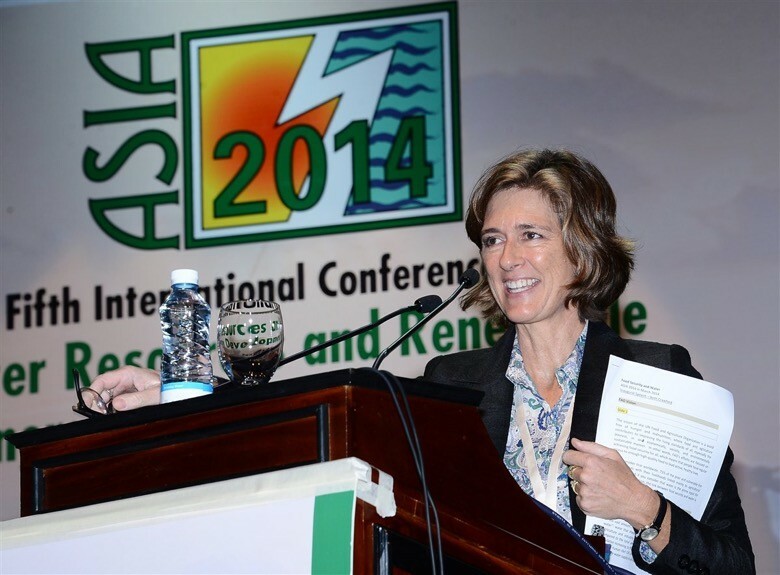 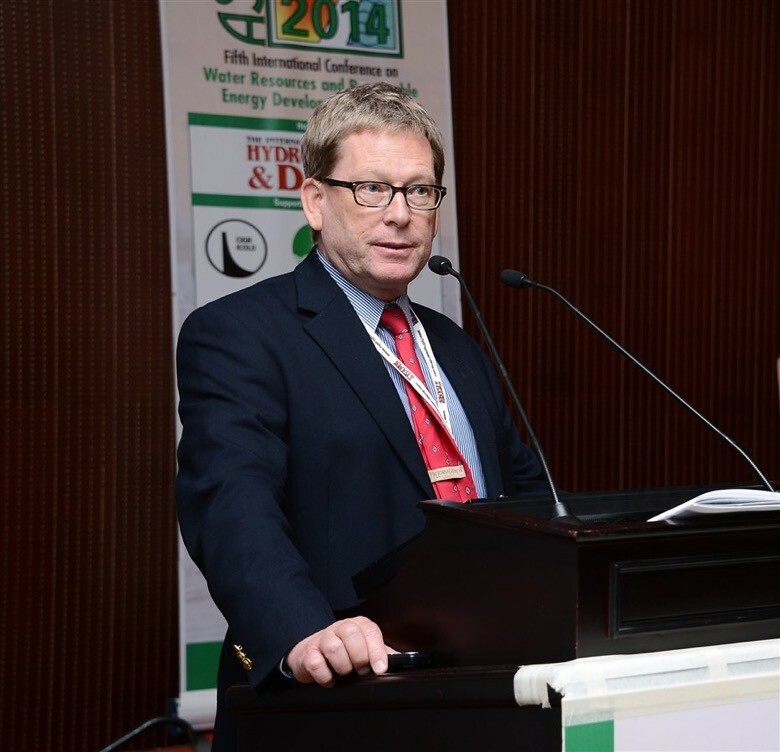 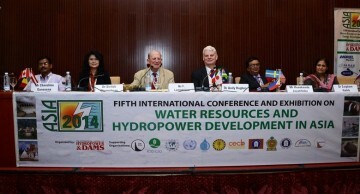 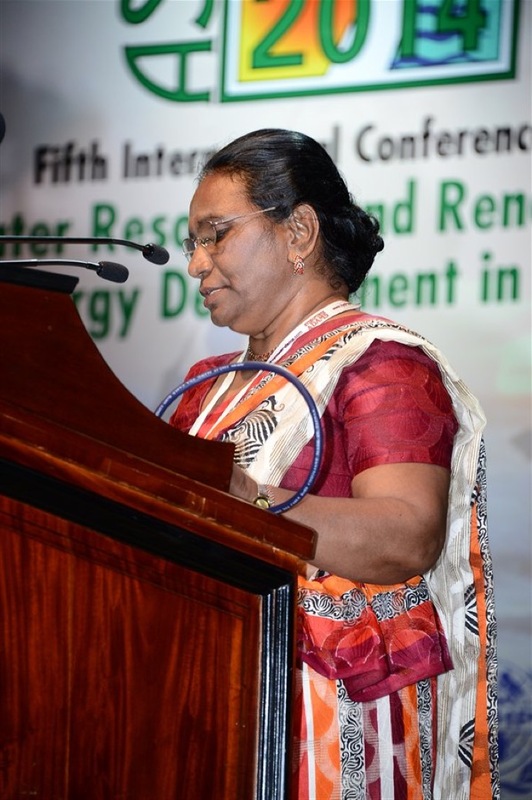 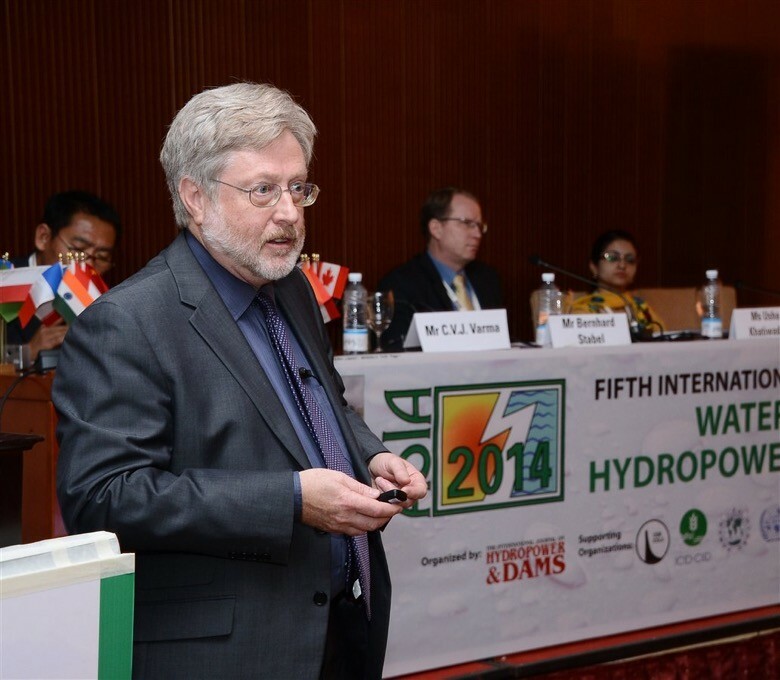 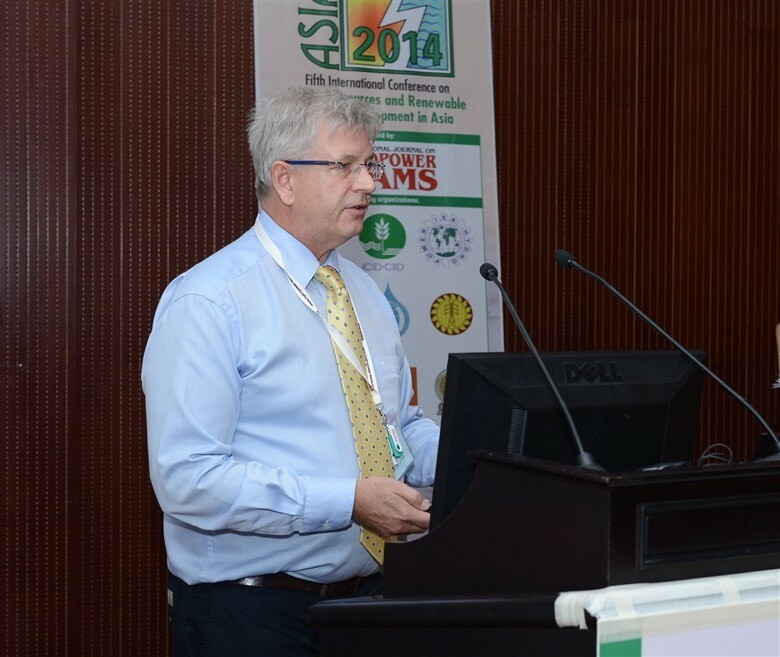 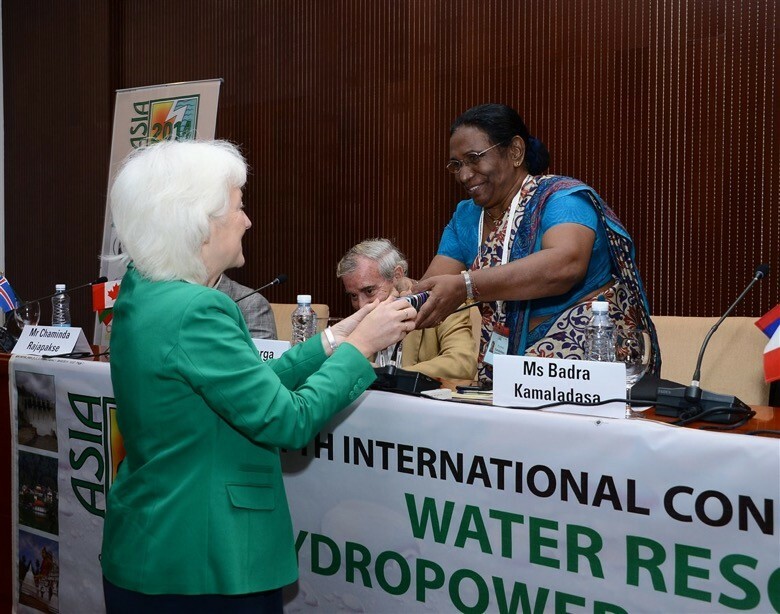 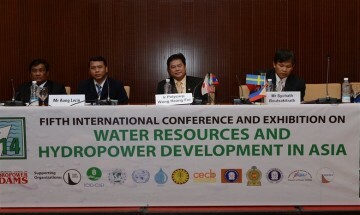 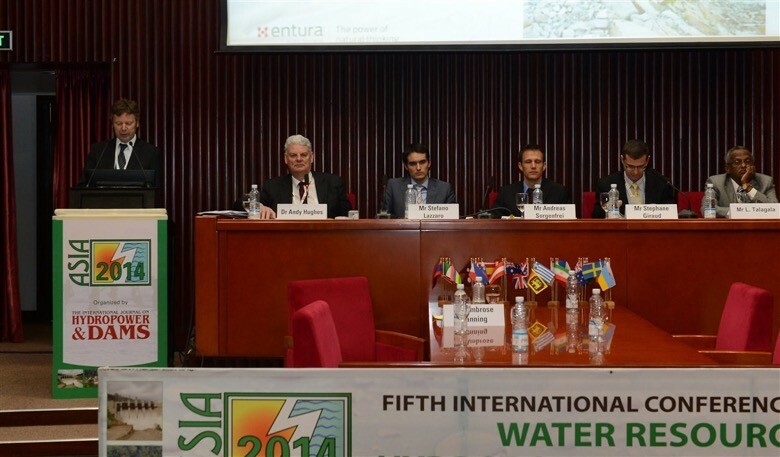 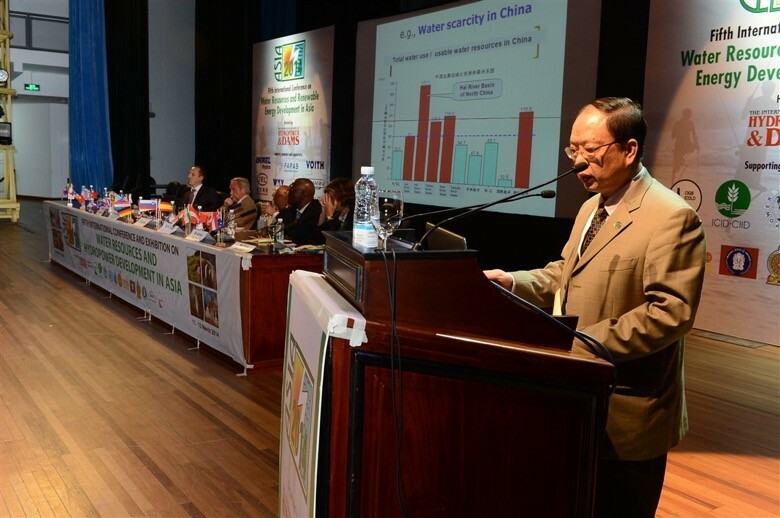 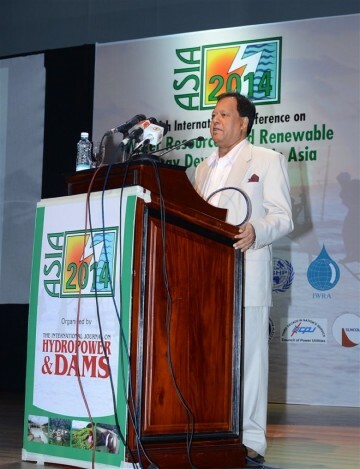 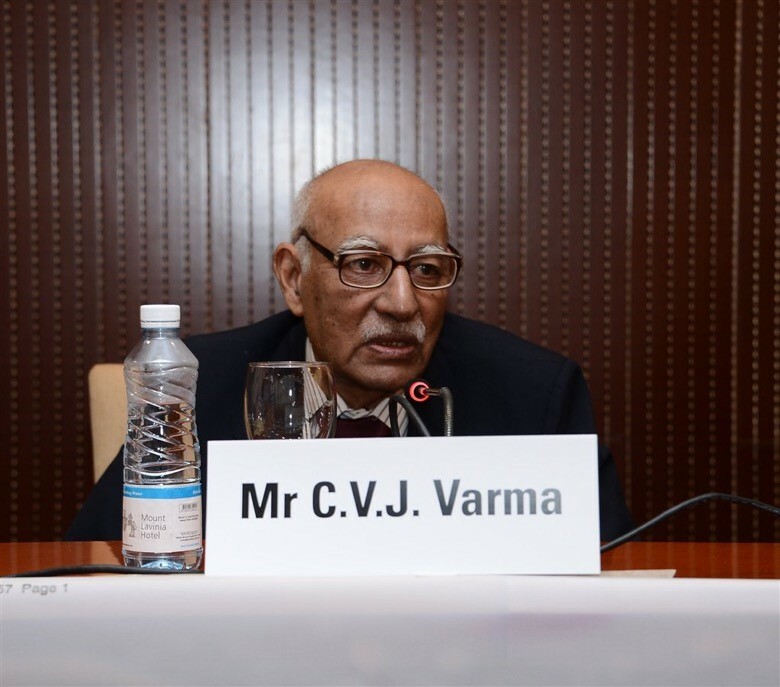 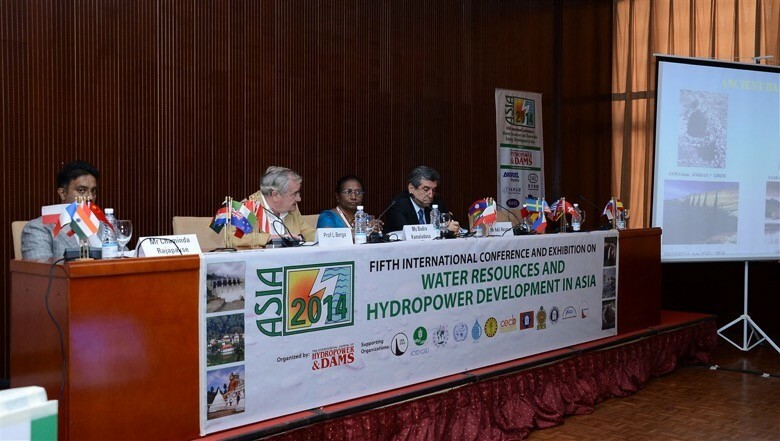 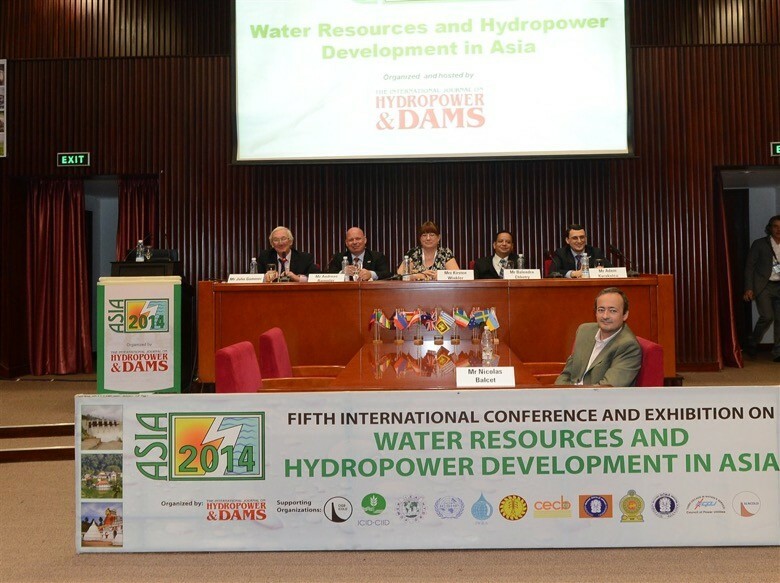 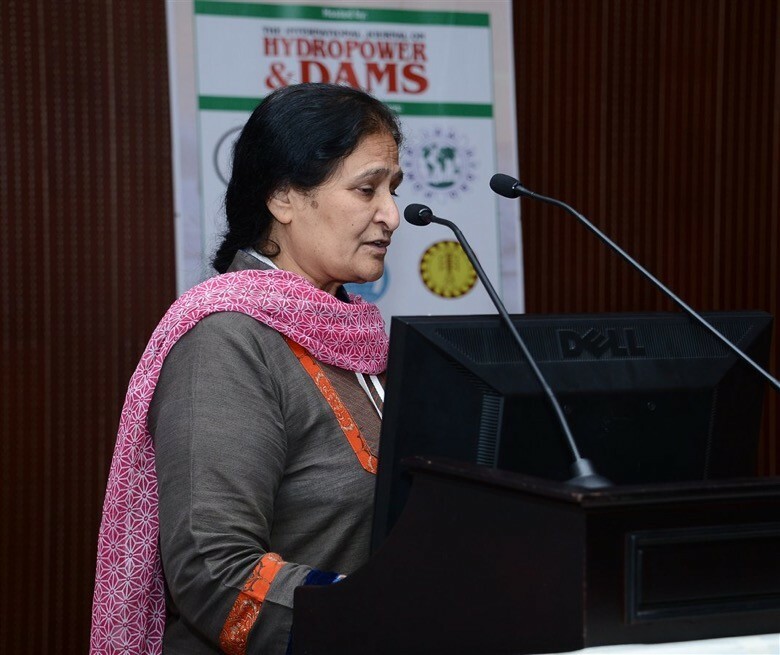 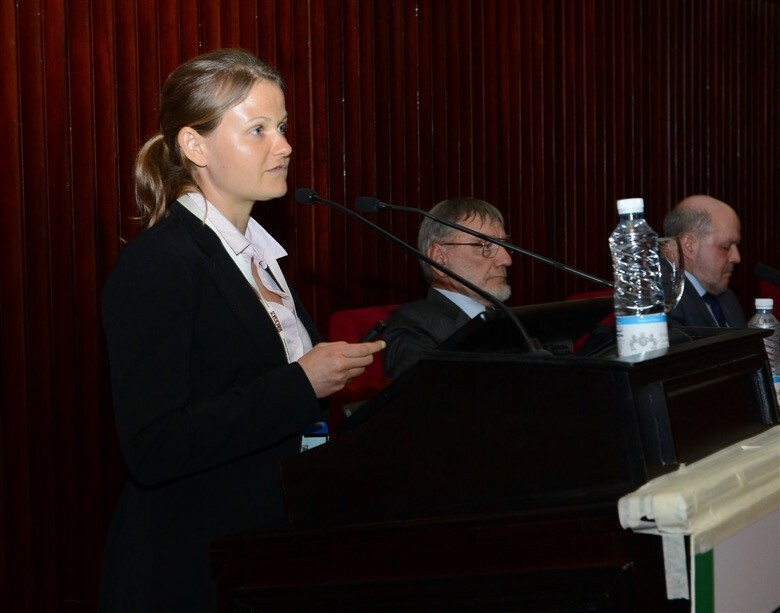 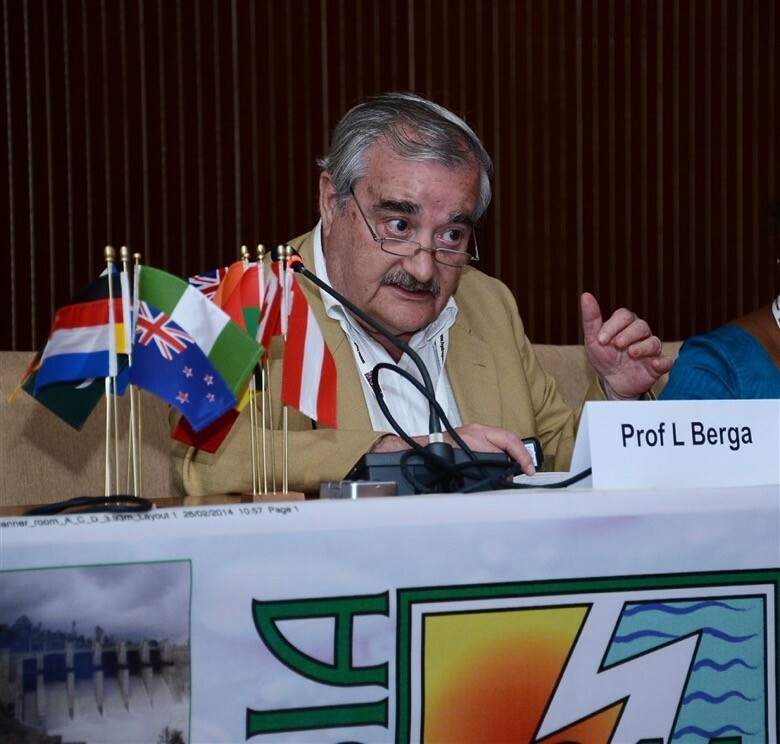 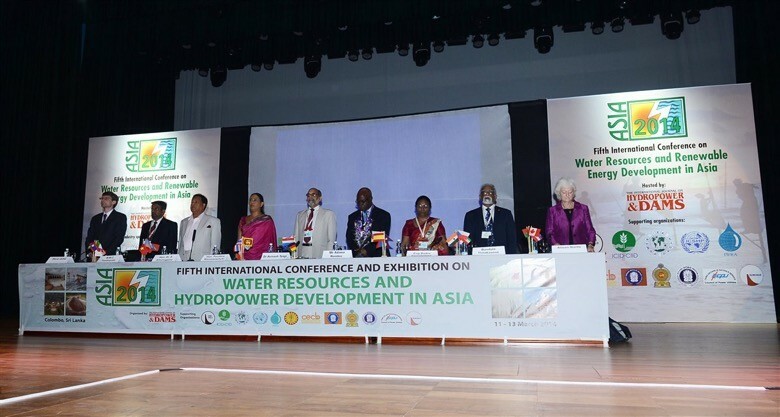 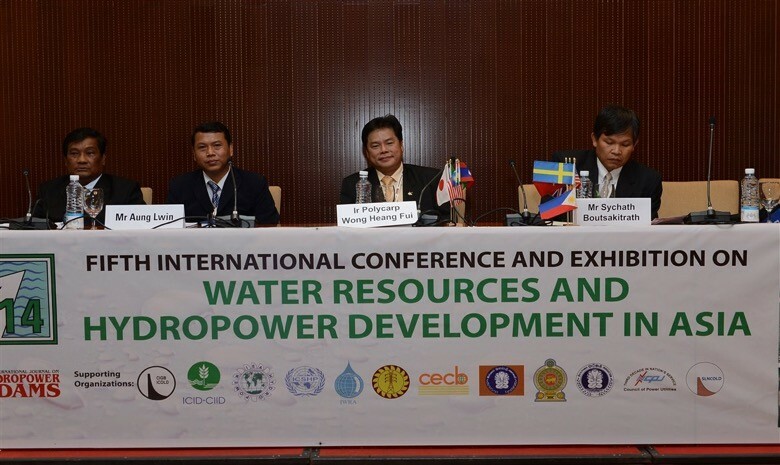 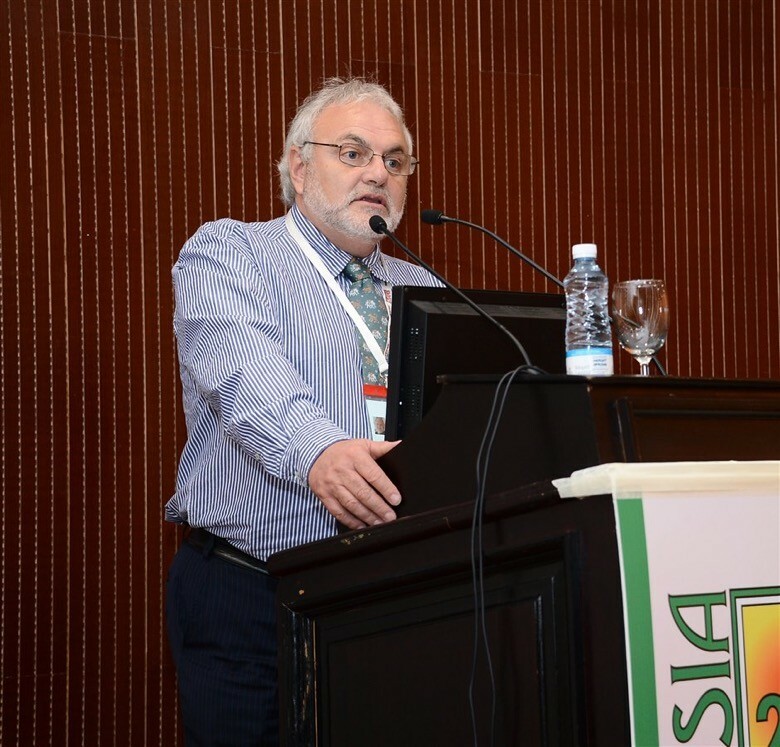 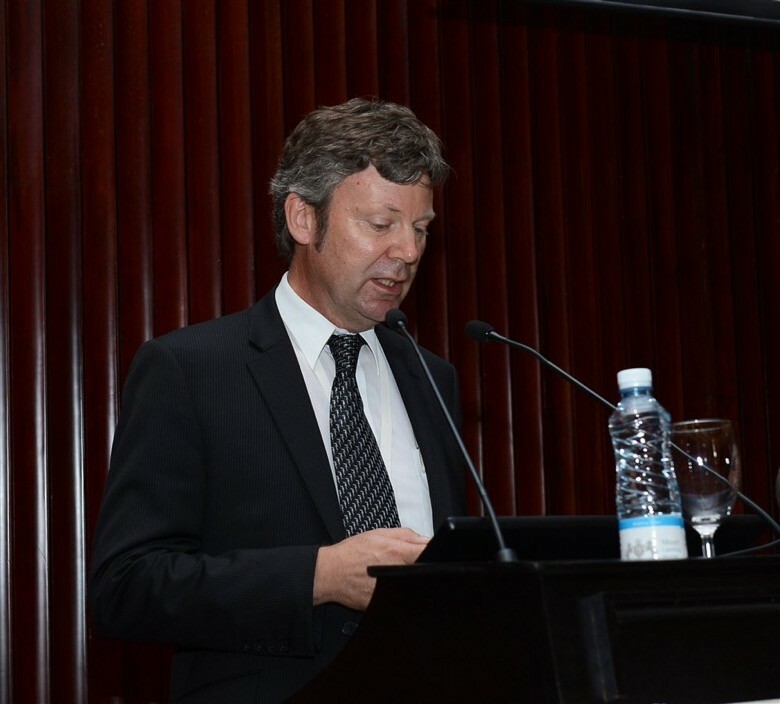 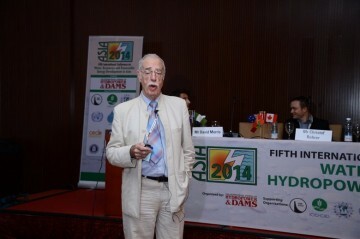 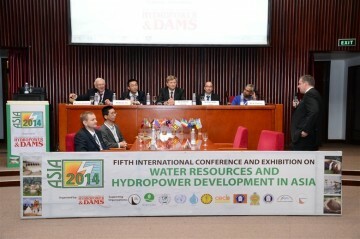 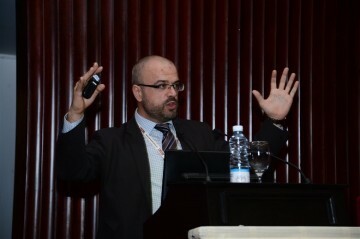 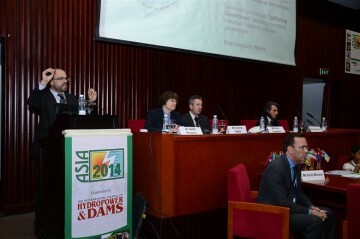 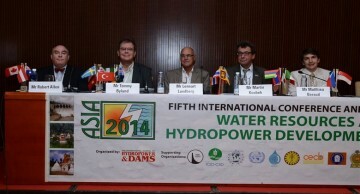 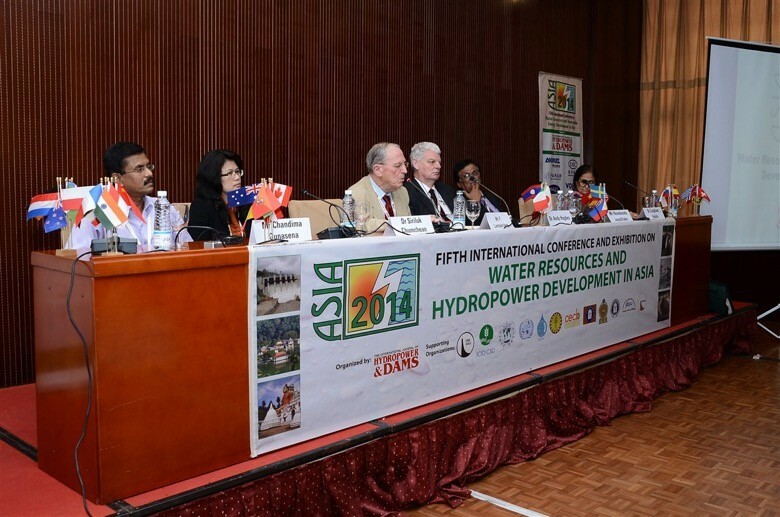 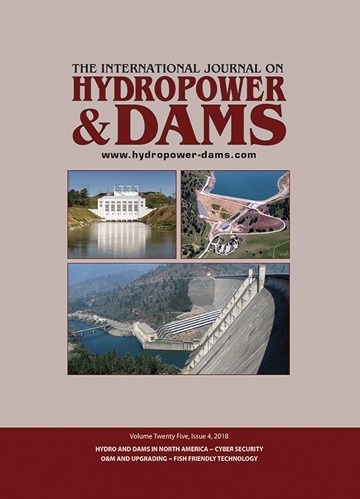 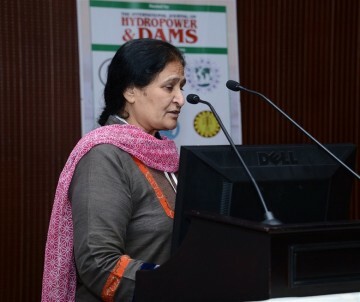 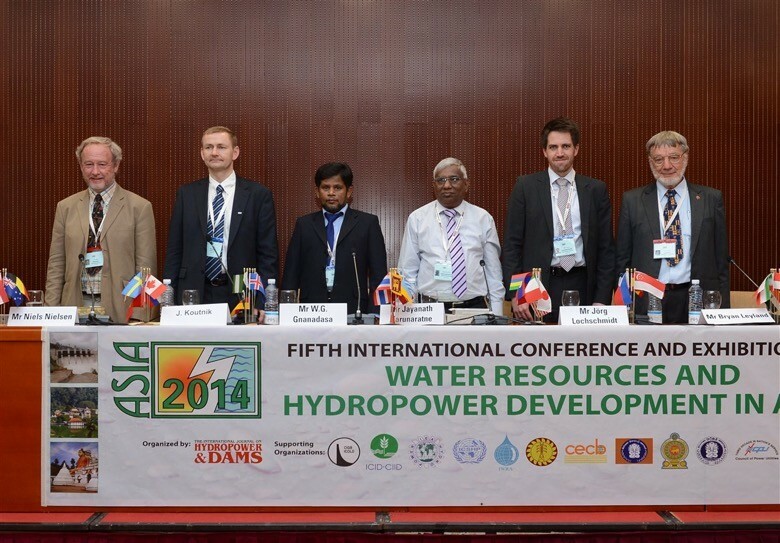 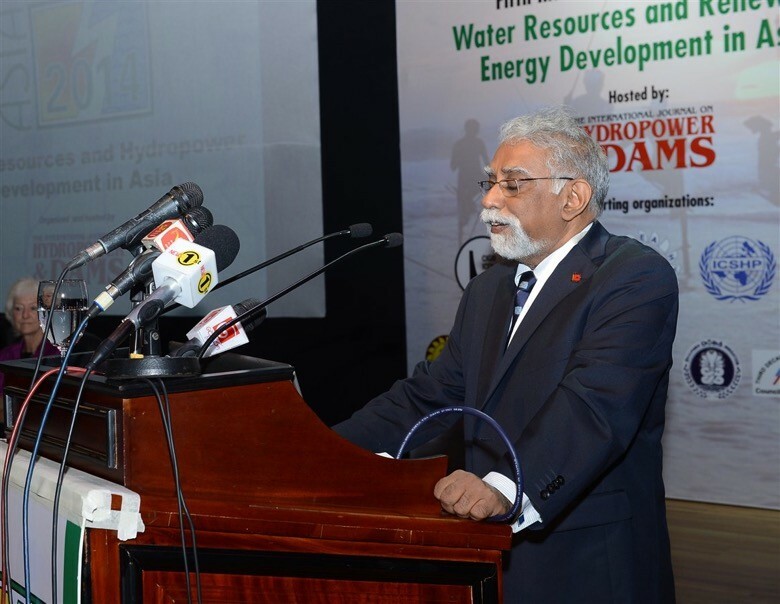 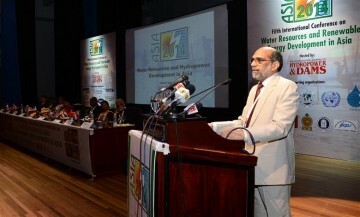 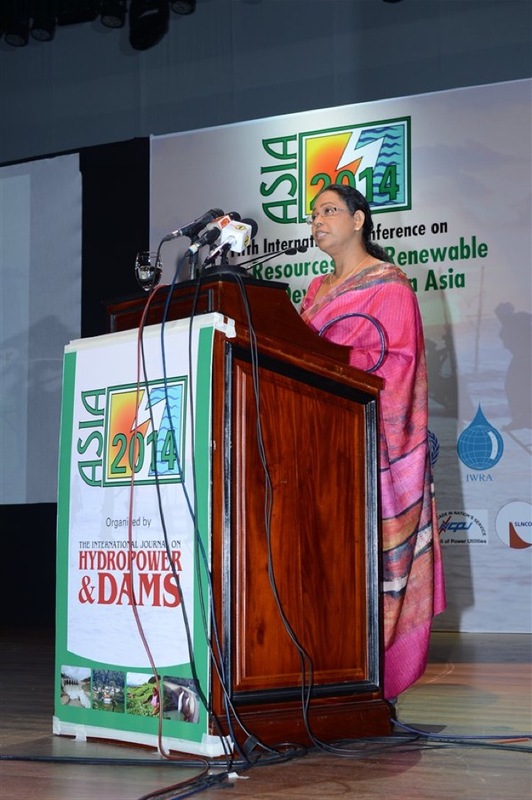 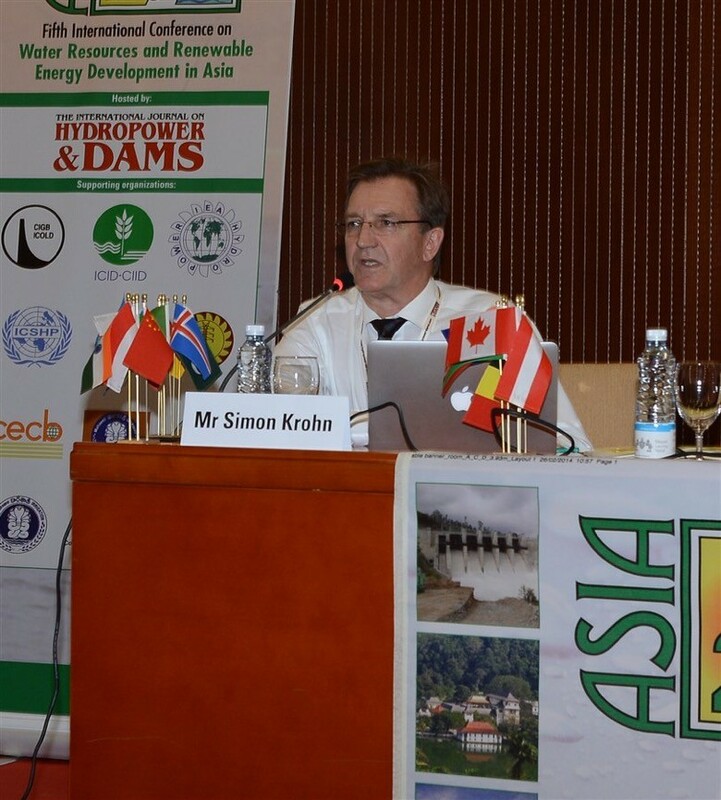 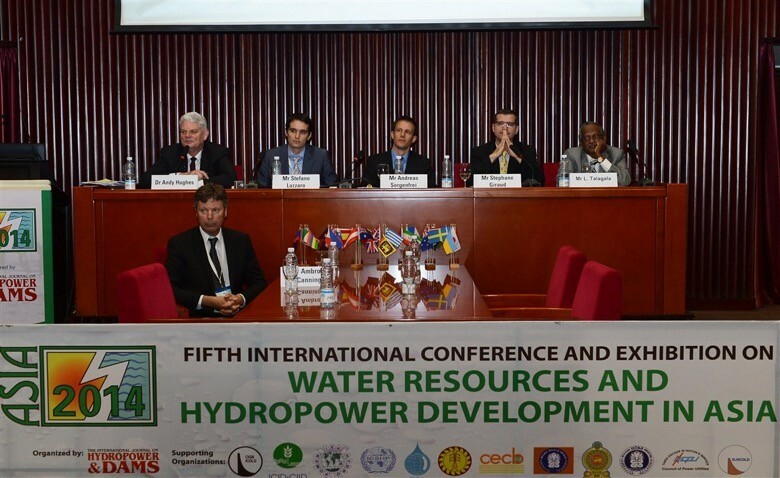 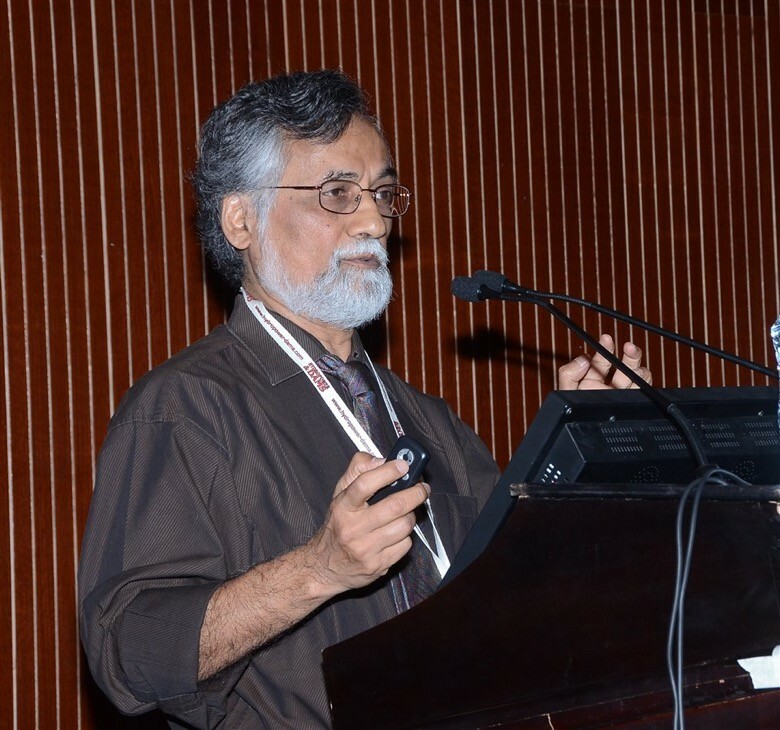 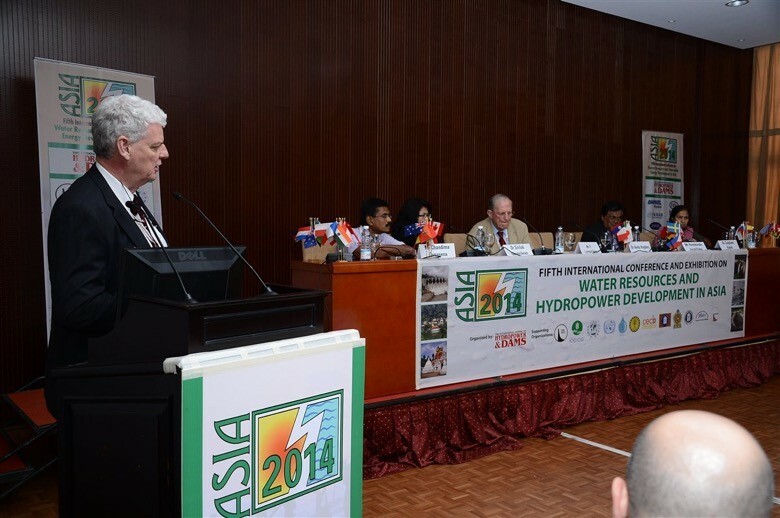 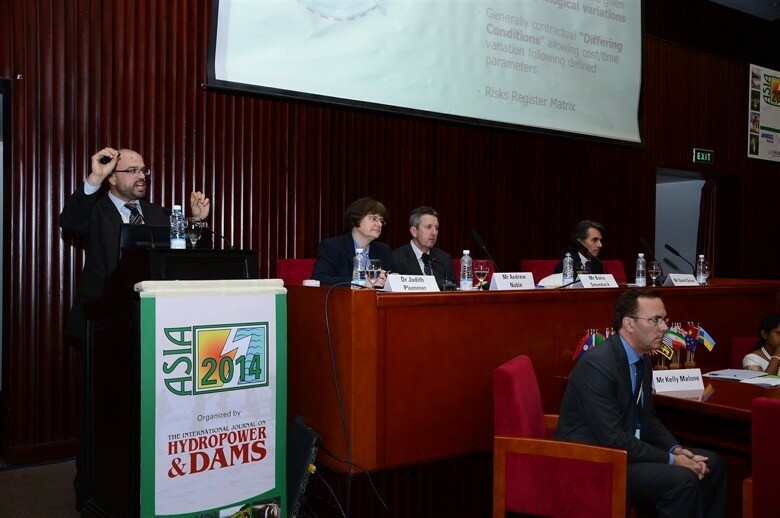 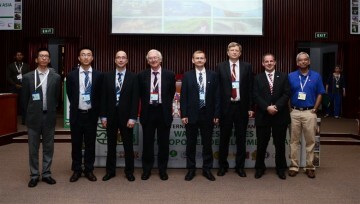 In the second part, officers from the principal water and energy-related professional associations presented short keynote addresses to set the scene for the discussions which would follow. 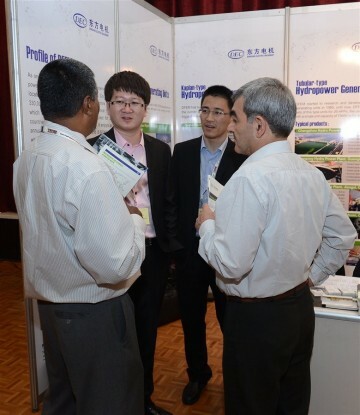 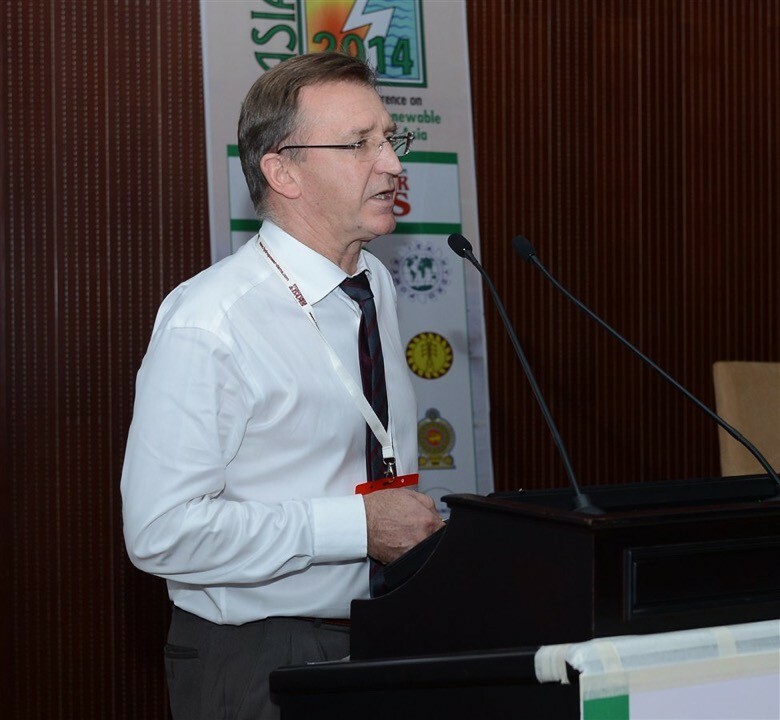 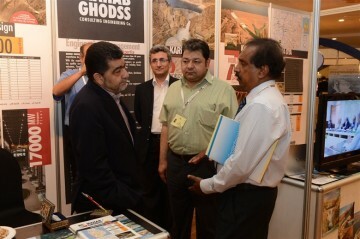 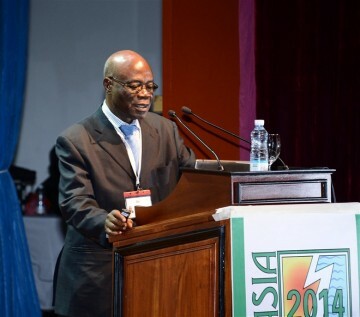 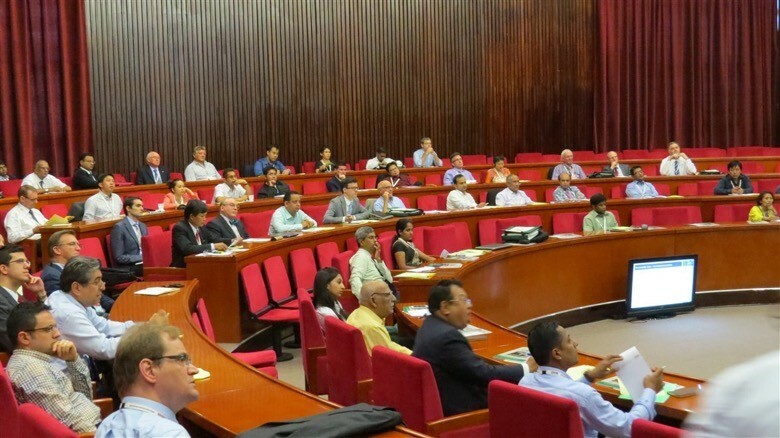 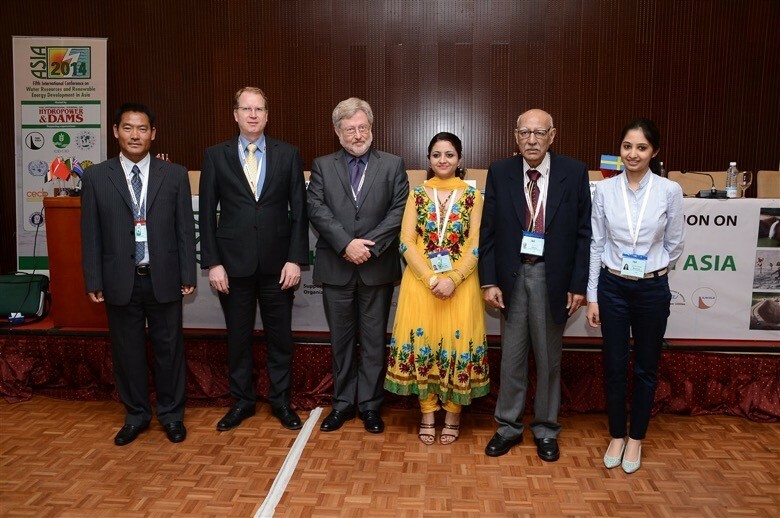 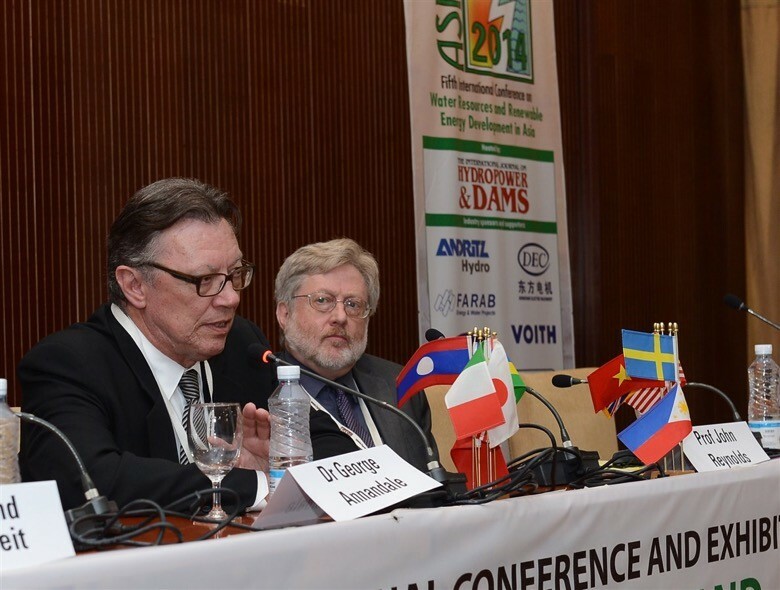 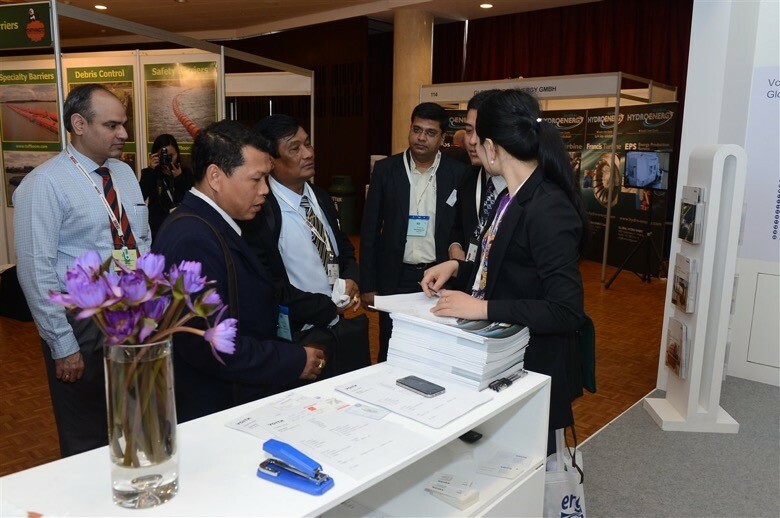 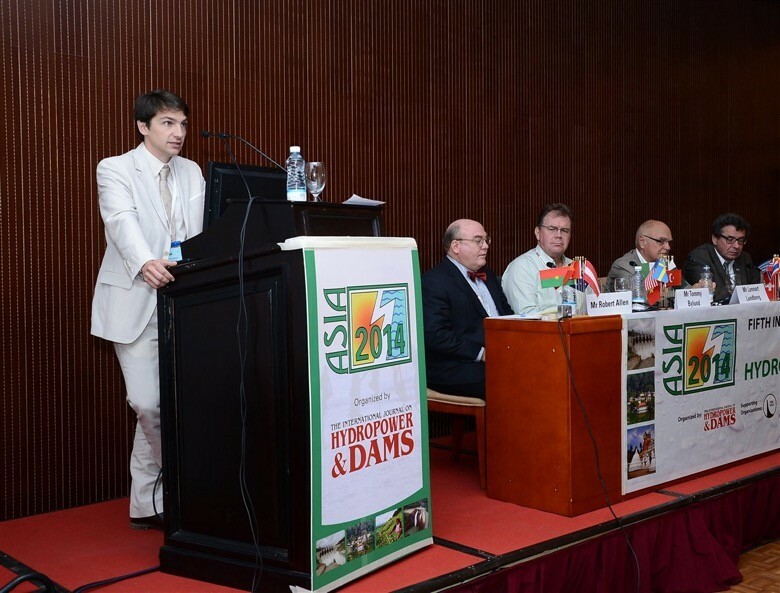 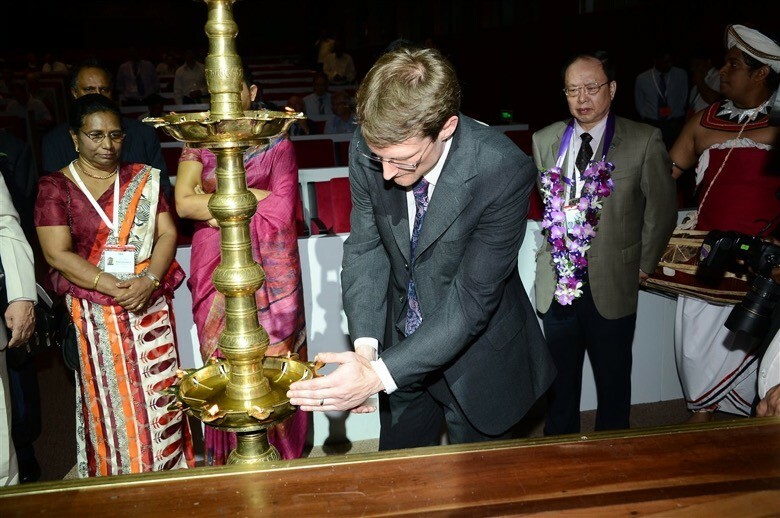 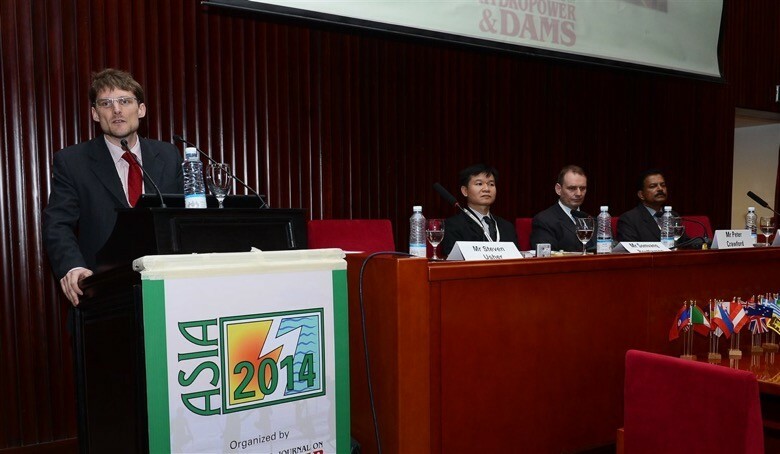 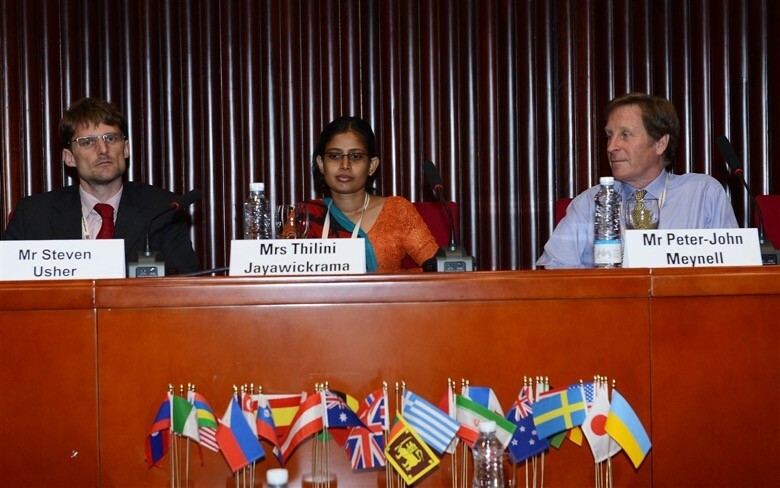 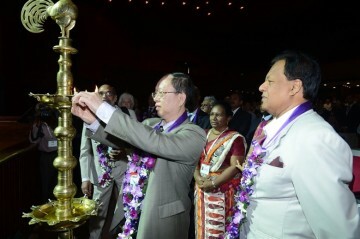 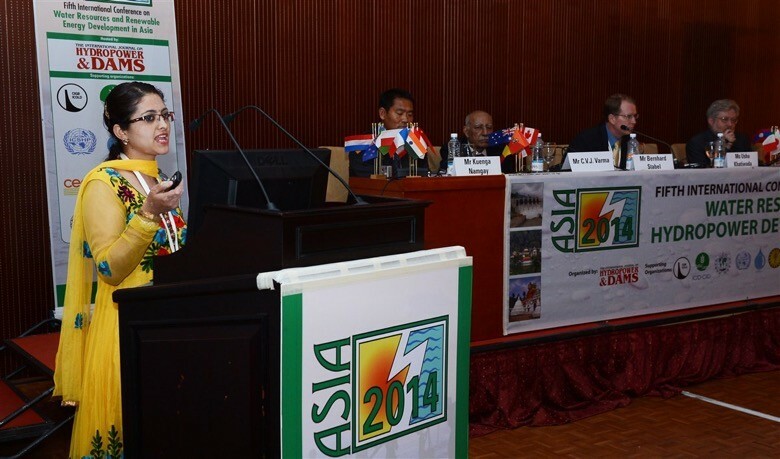 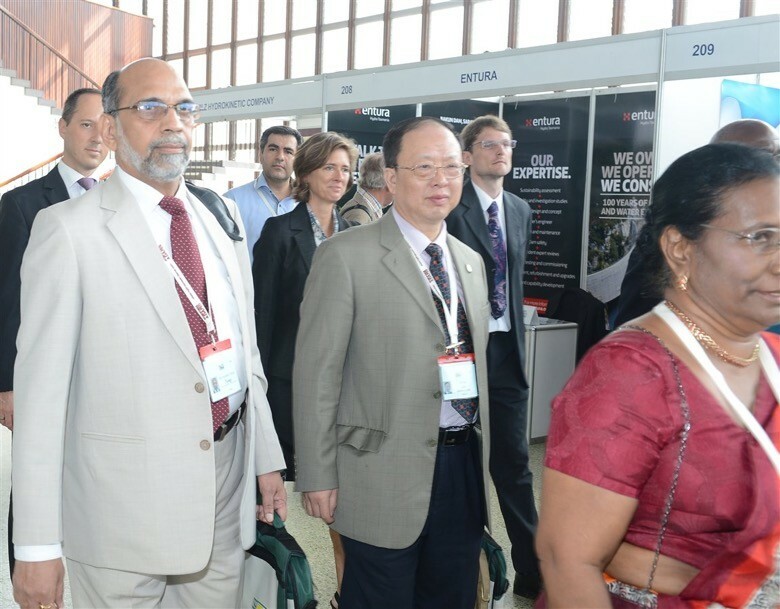 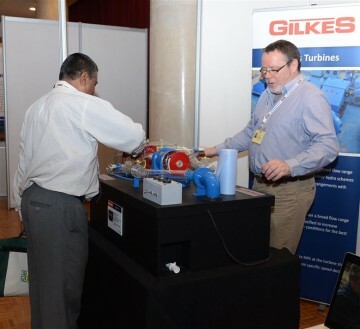 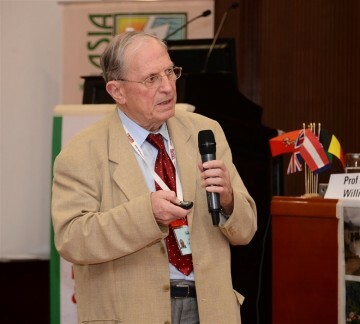 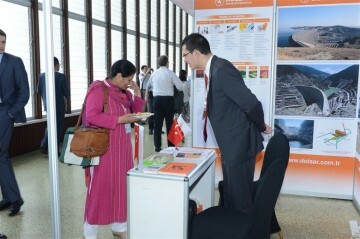 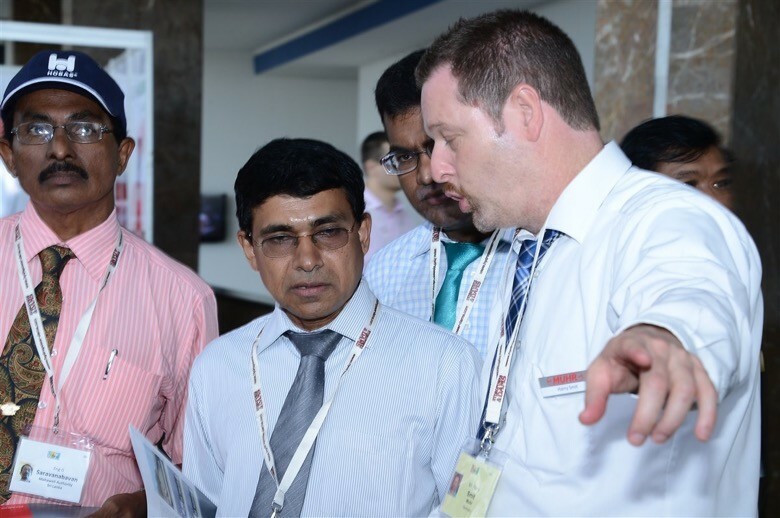 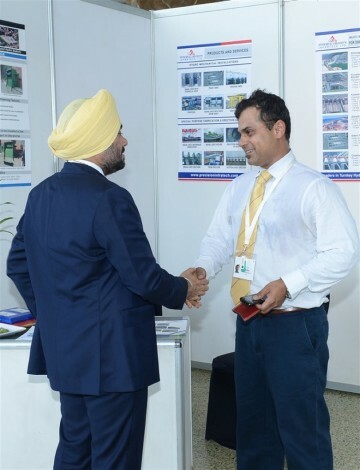 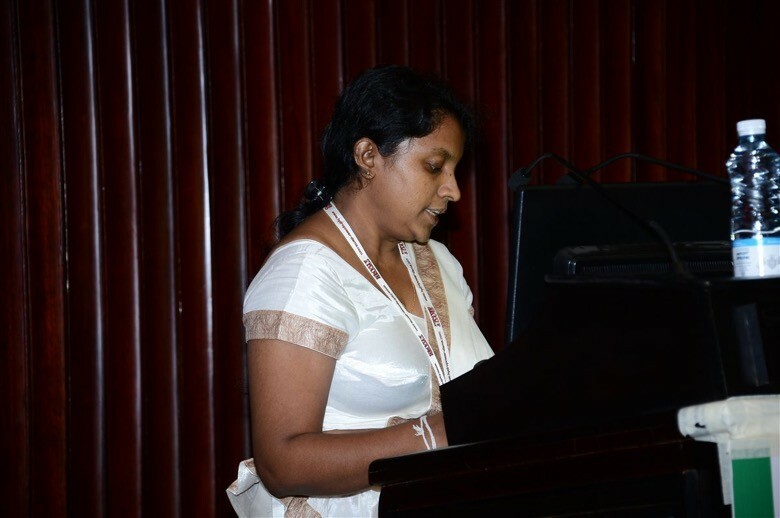 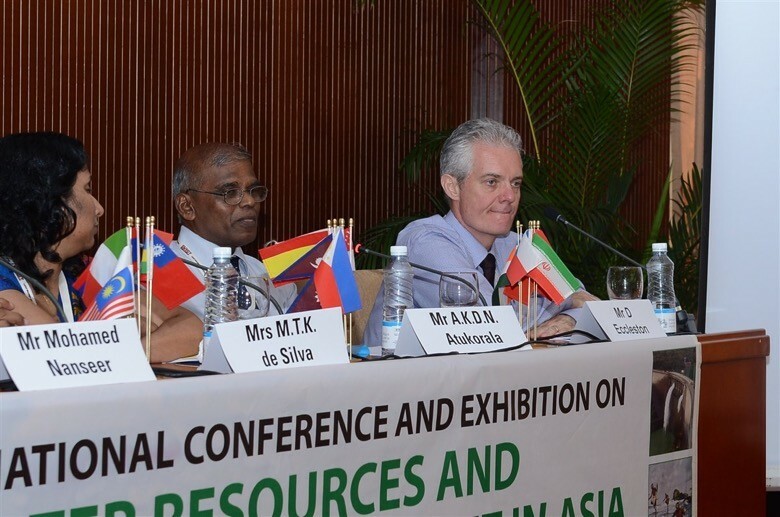 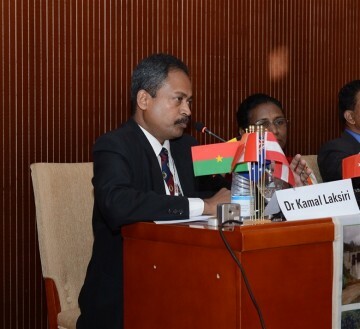 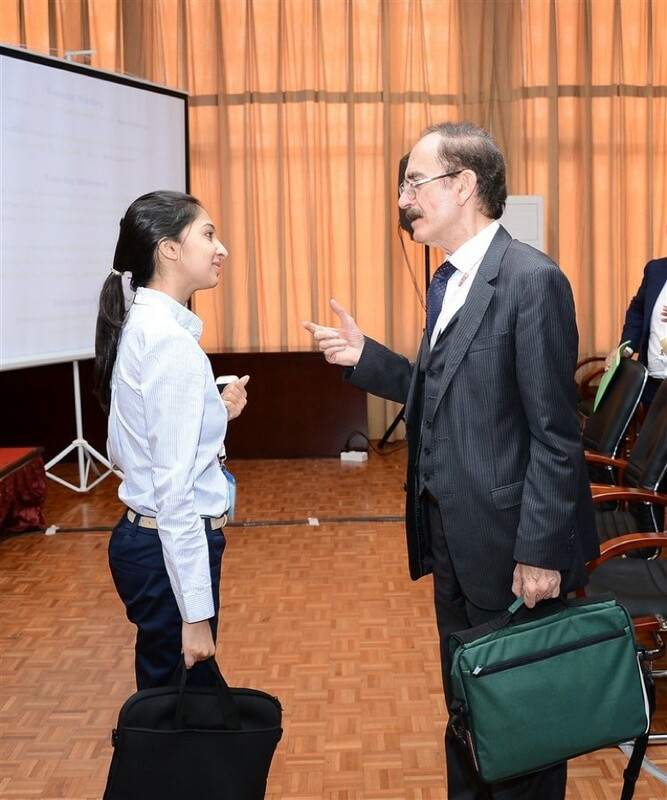 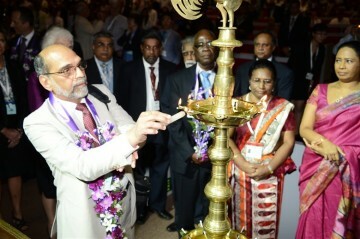 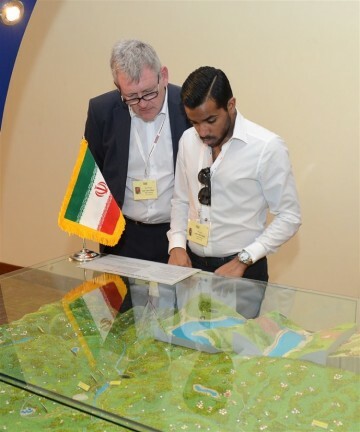 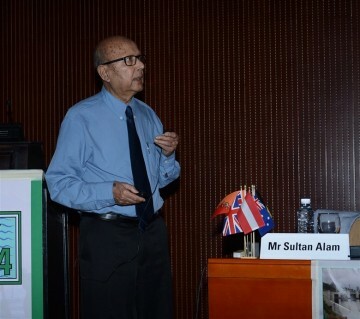 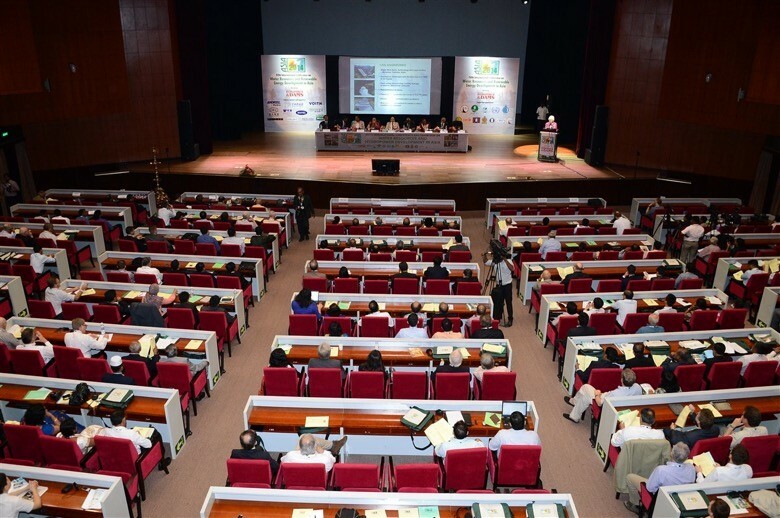 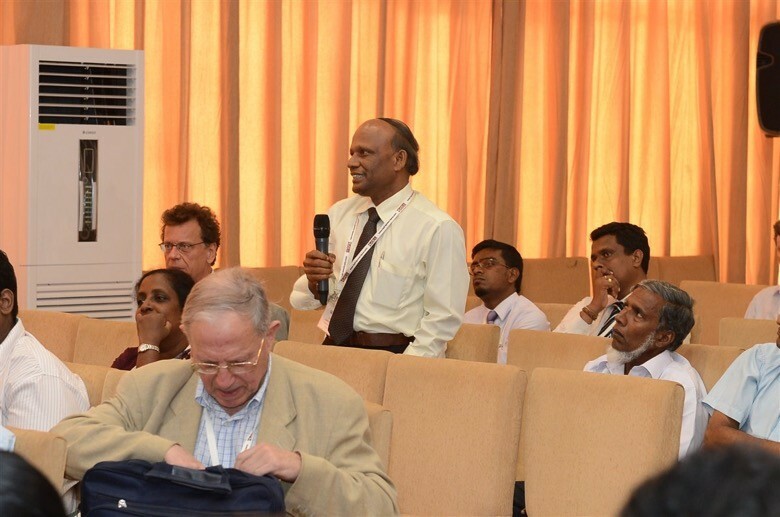 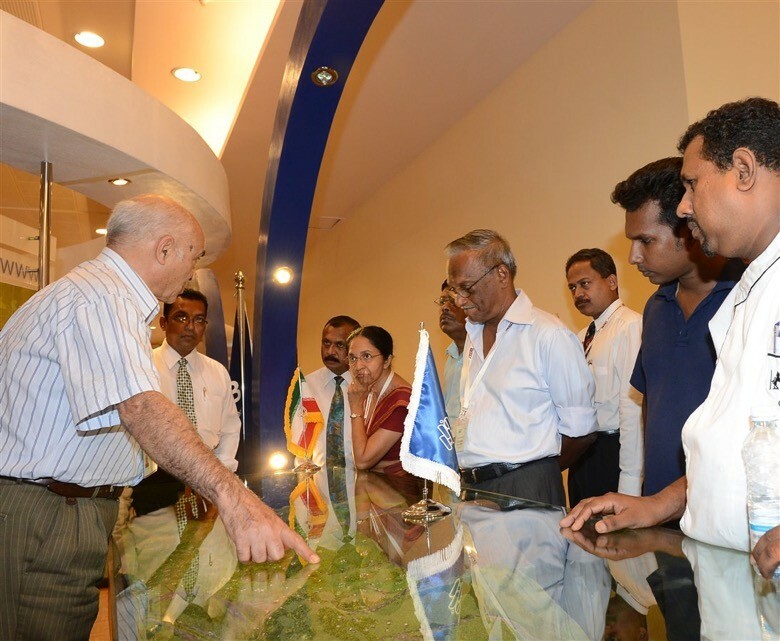 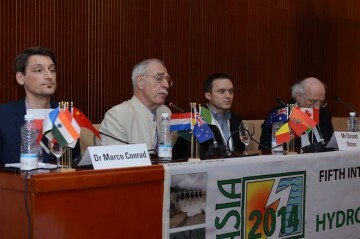 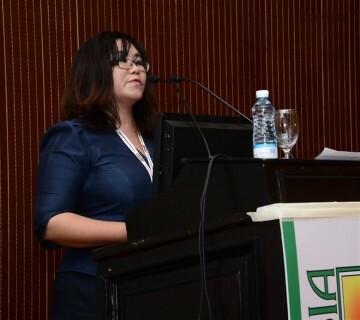 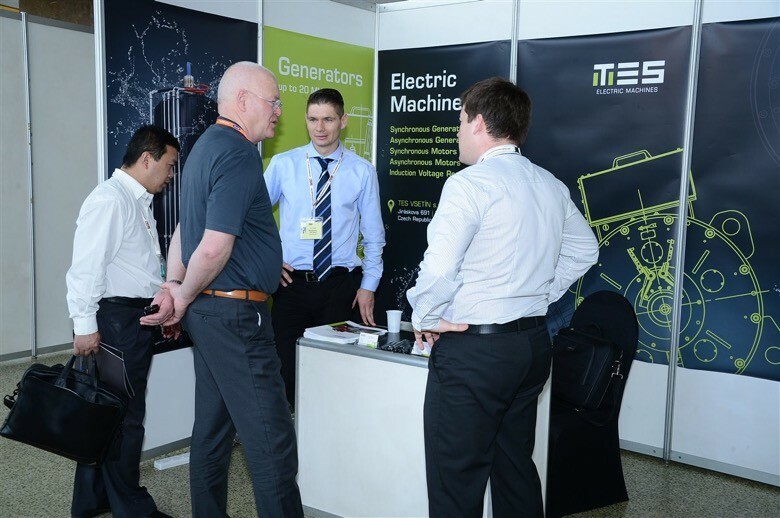 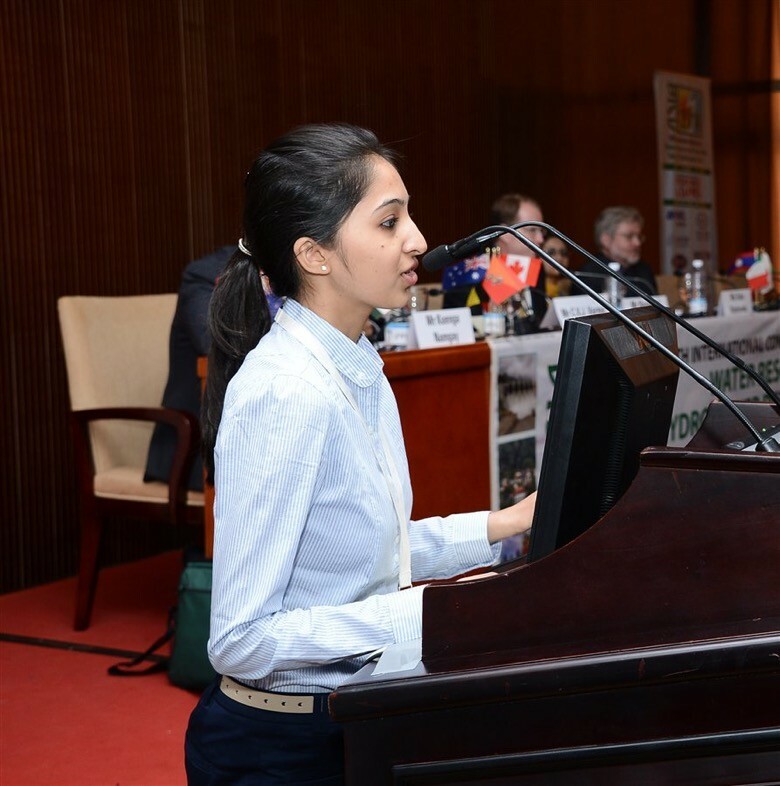 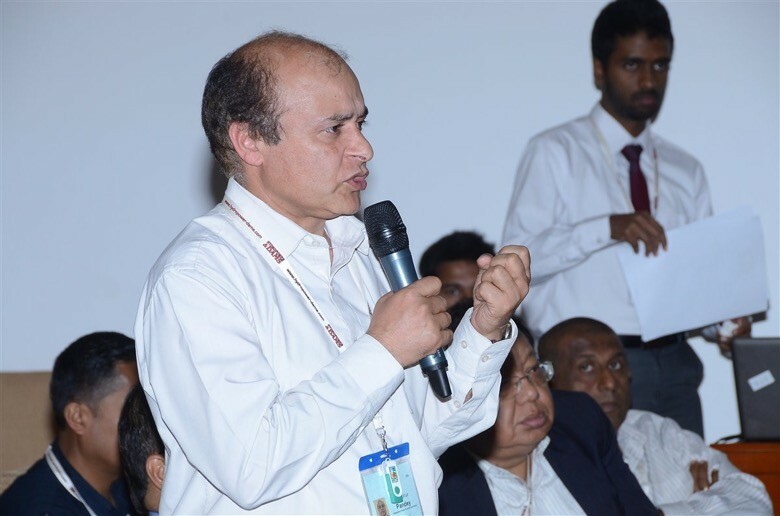 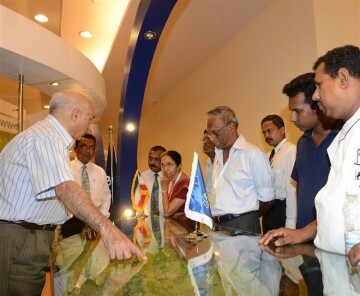 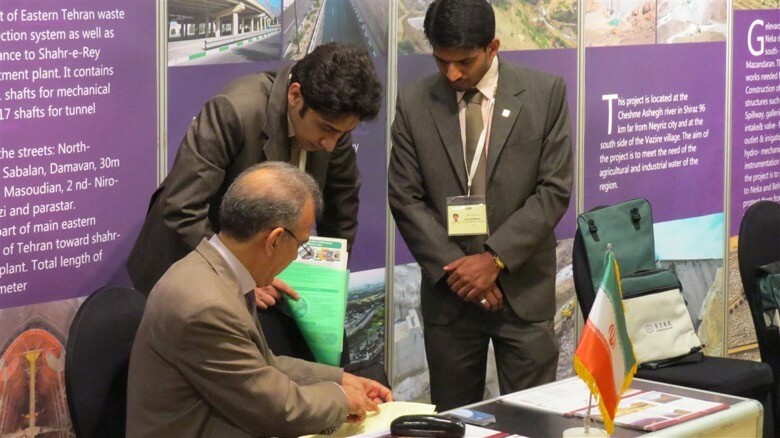 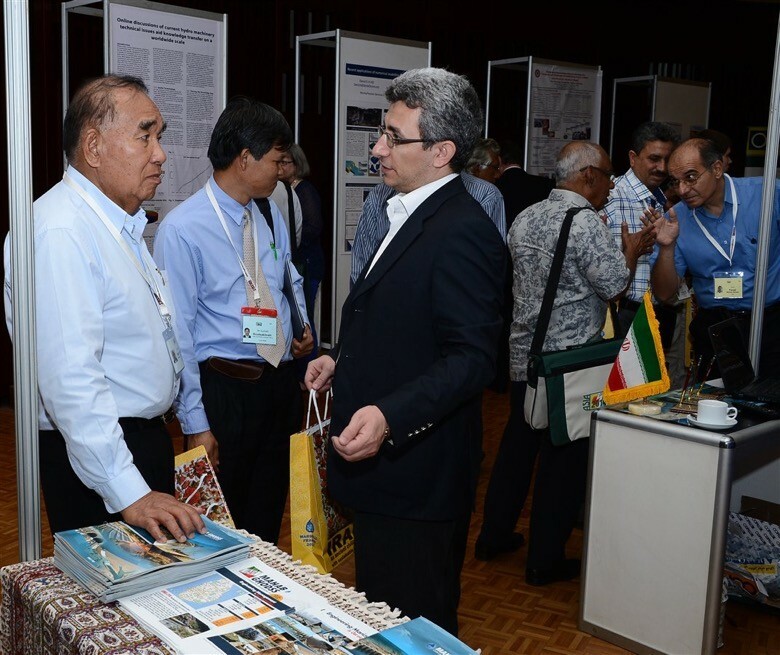 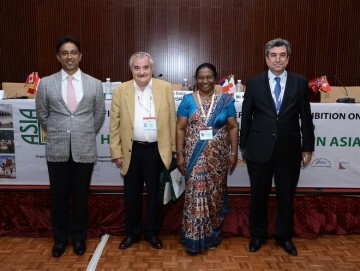 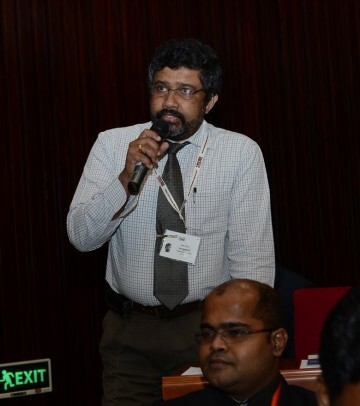 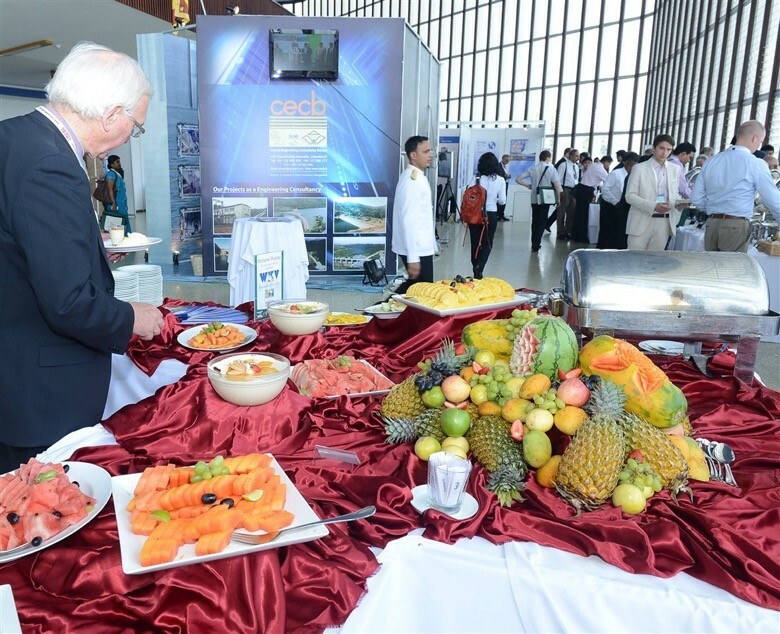 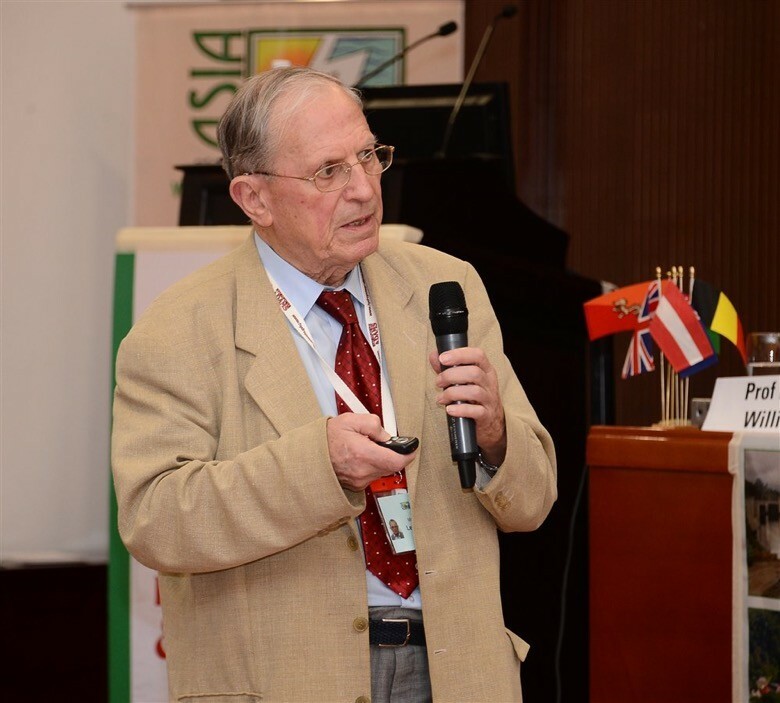 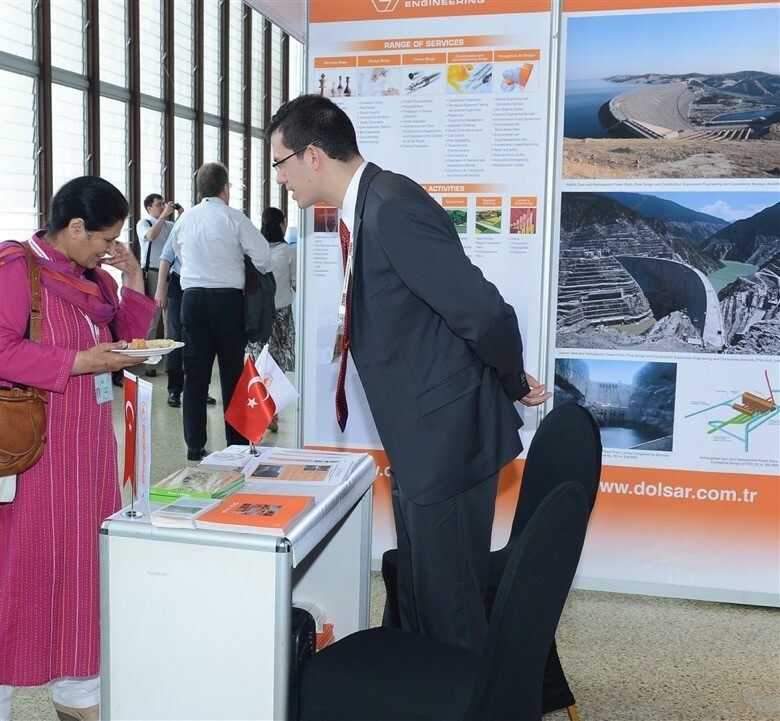 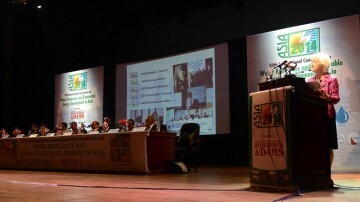 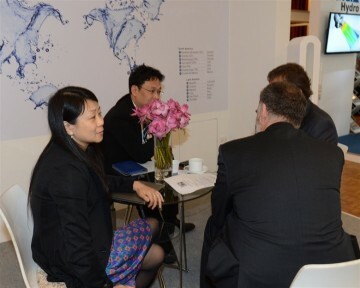 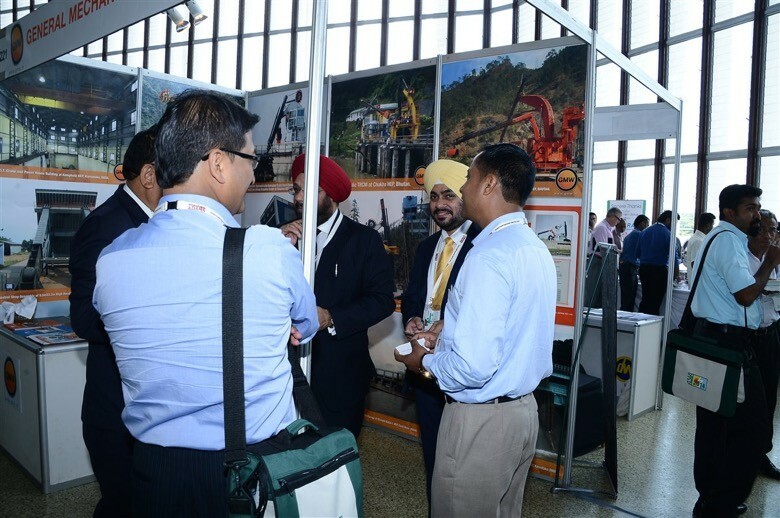 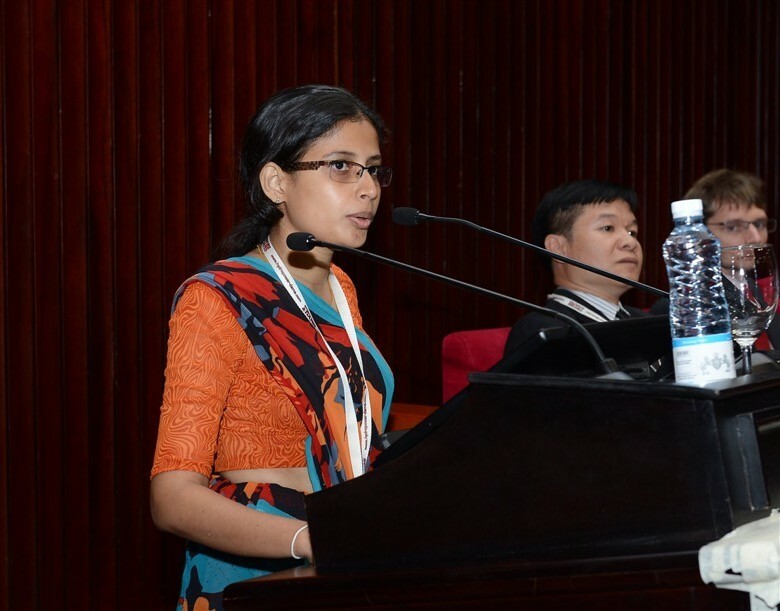 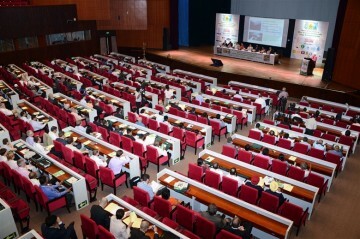 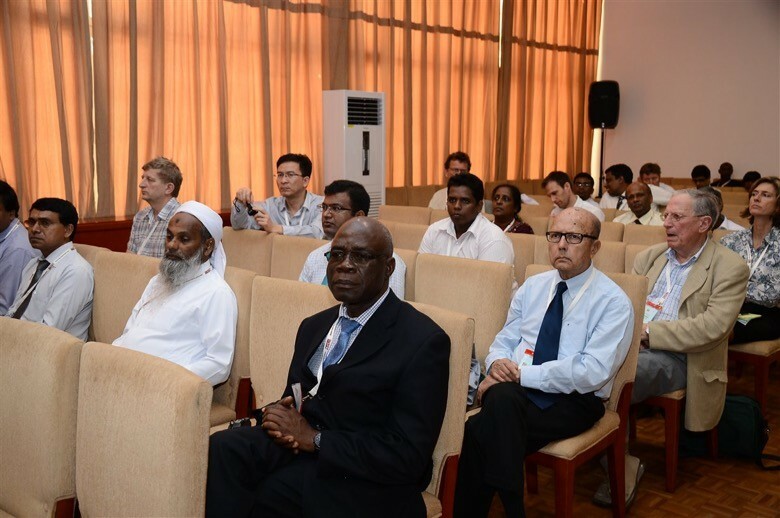 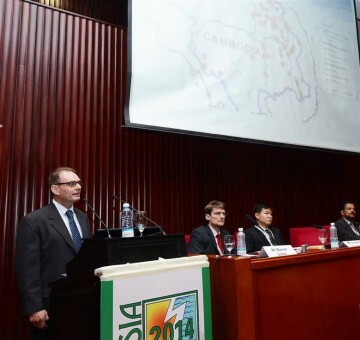 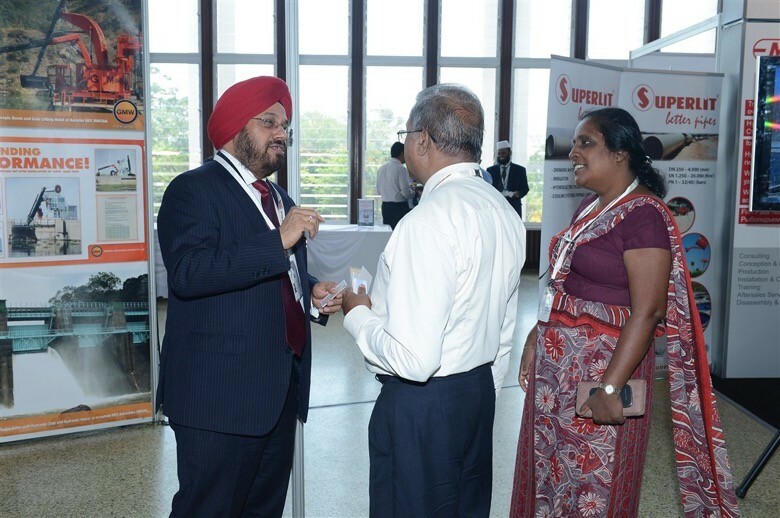 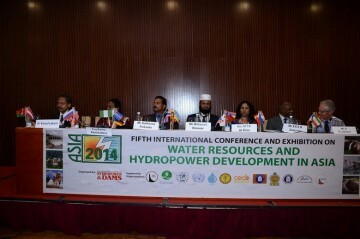 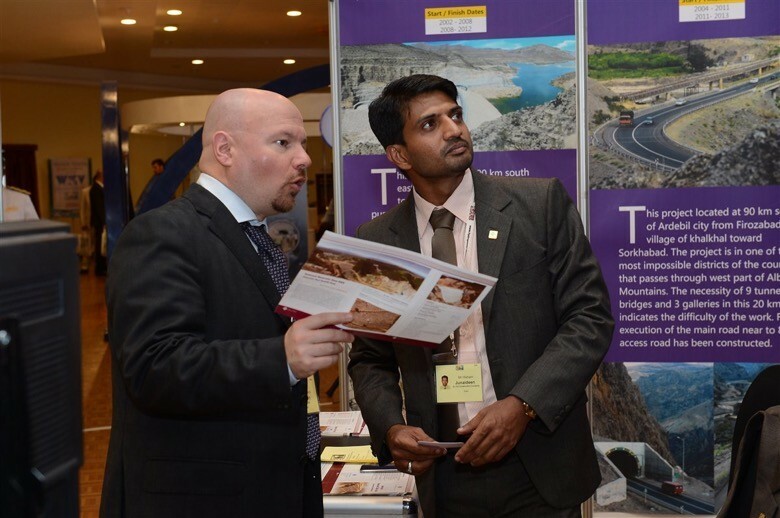 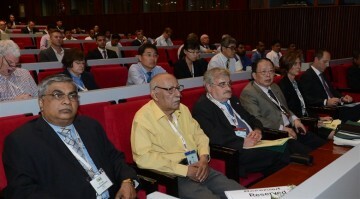 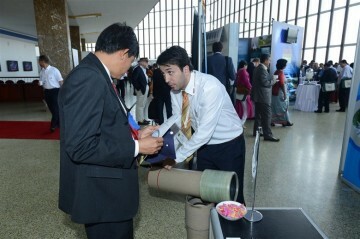 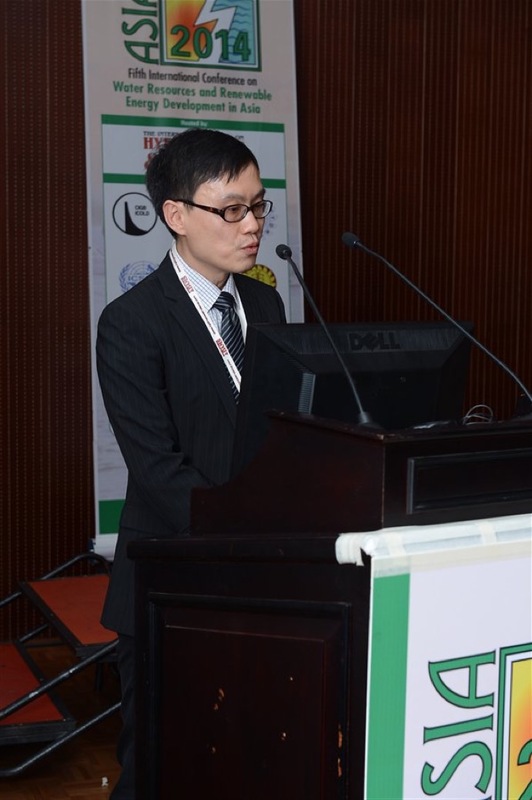 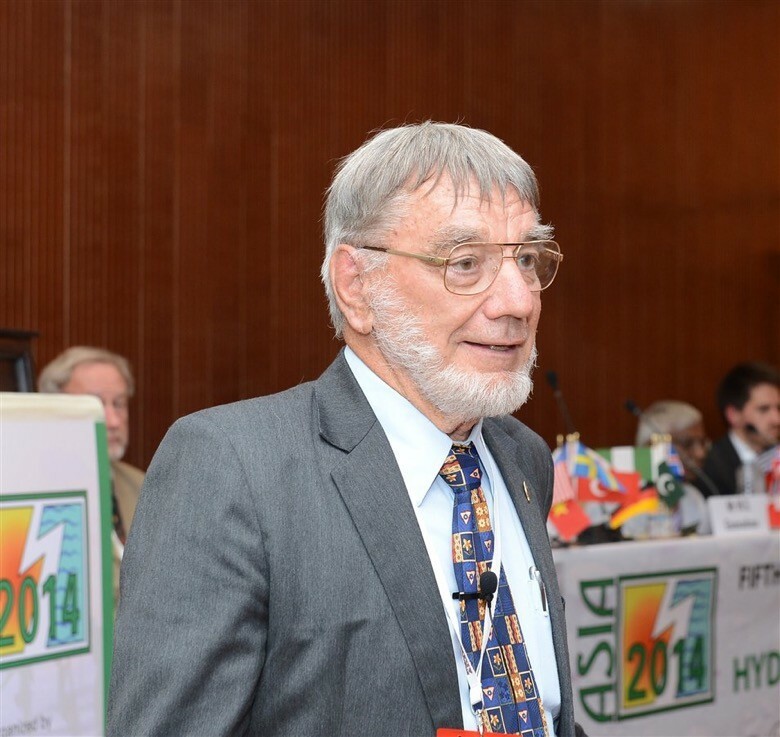 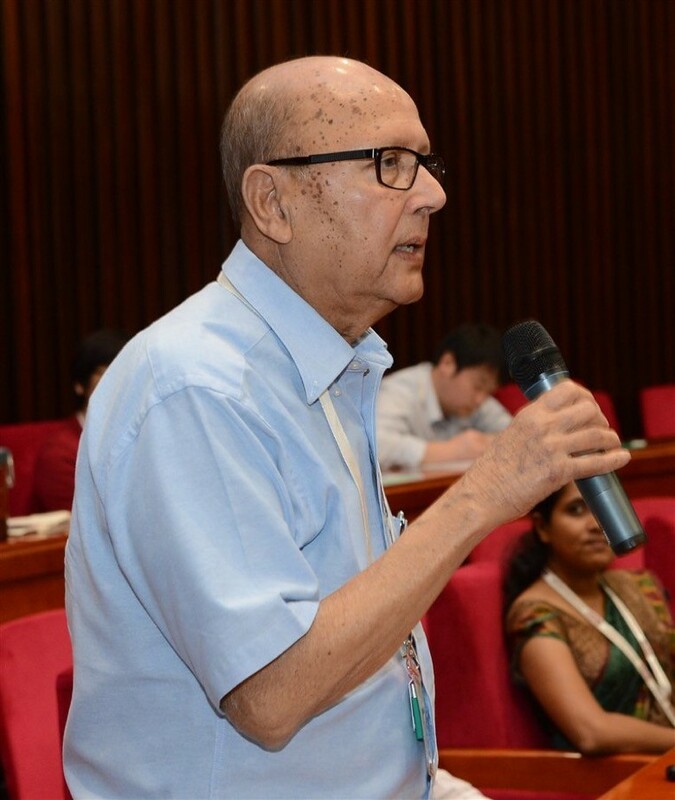 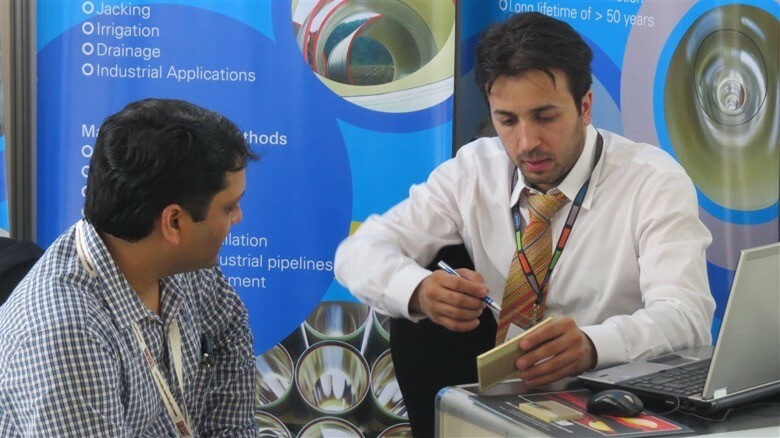 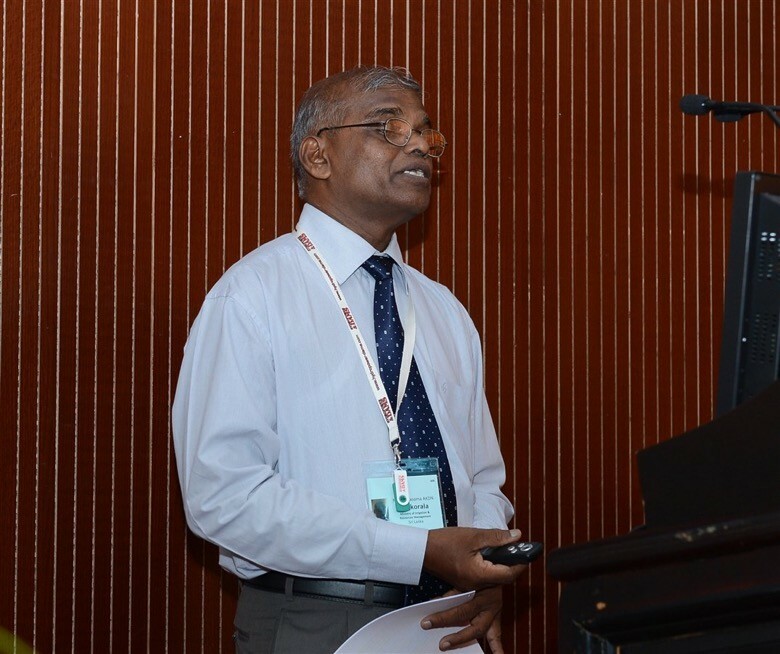 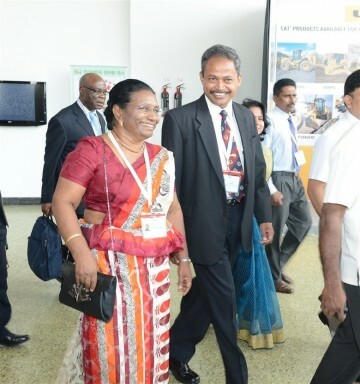 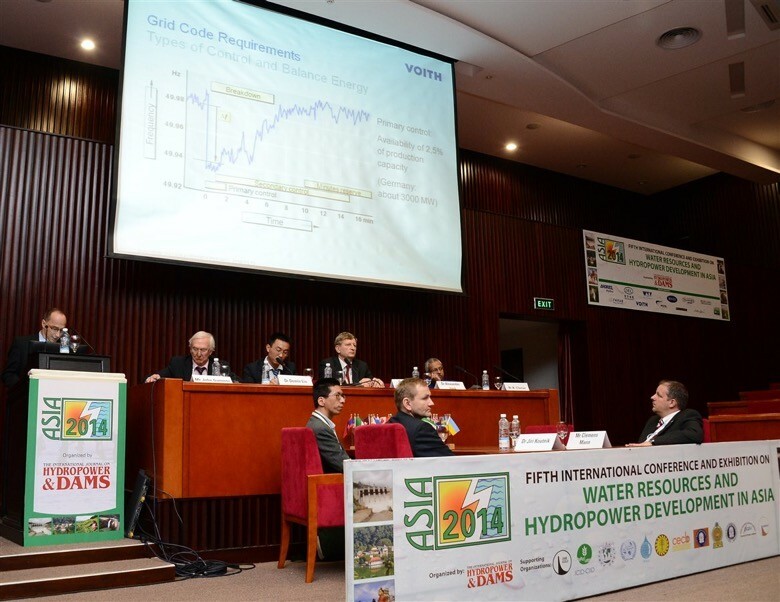 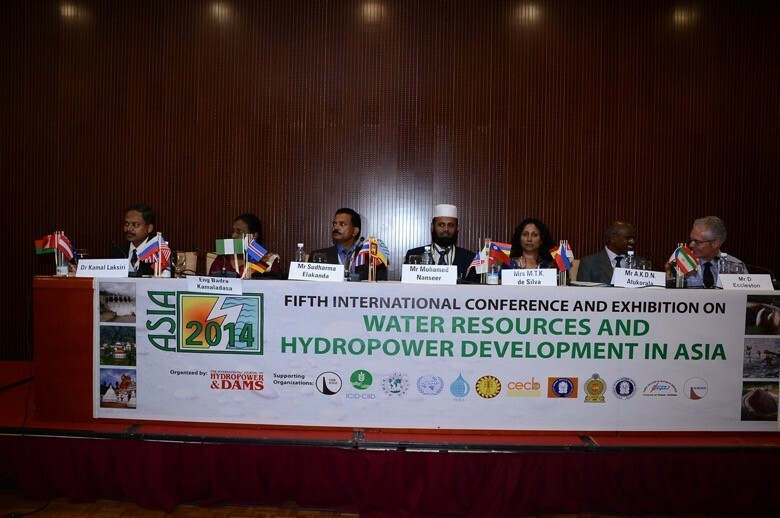 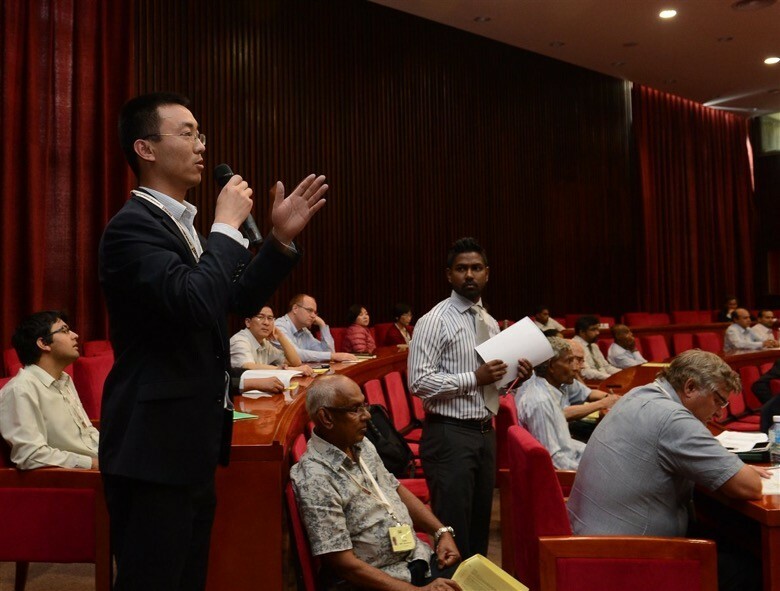 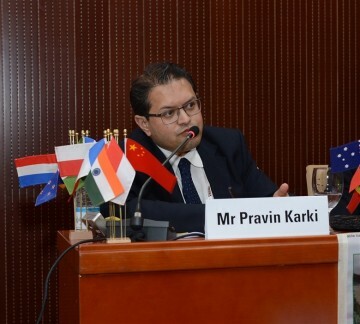 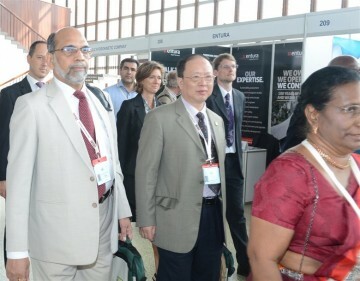 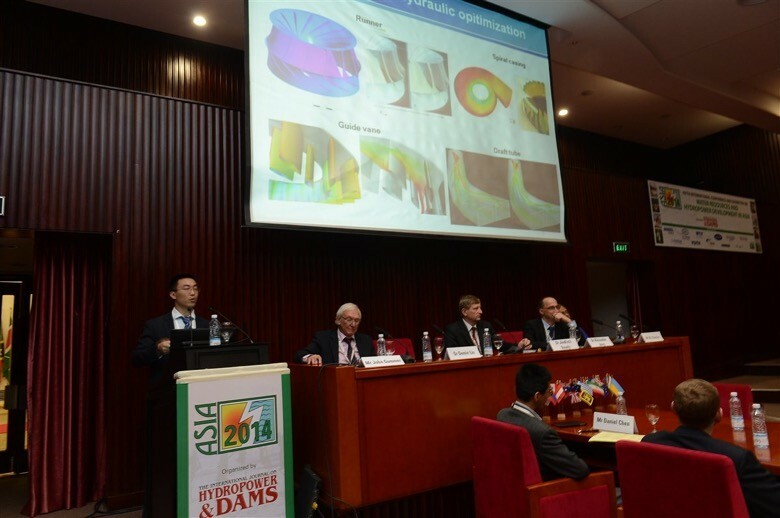 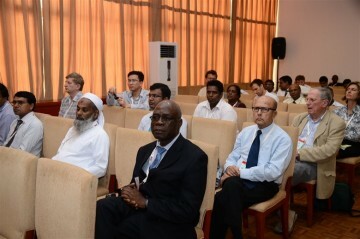 Nearly 100 international companies took part in the ASIA 2014 Technical Exhibition, which was held in two halls at the prestigious Banderanaike Memorial International Conference Hall. 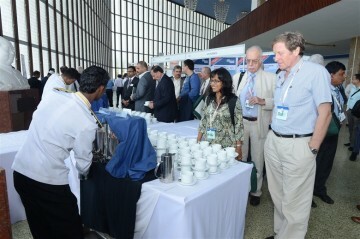 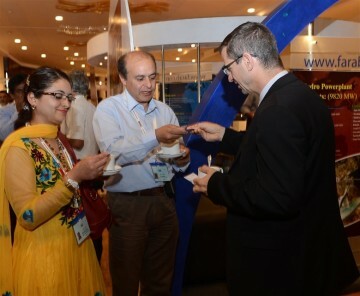 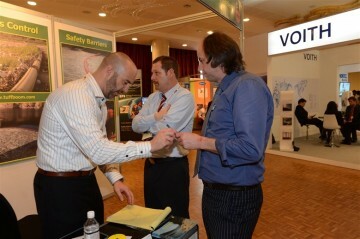 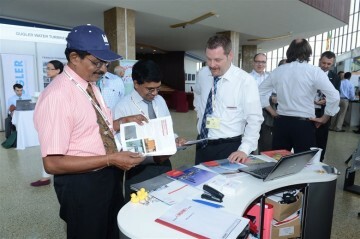 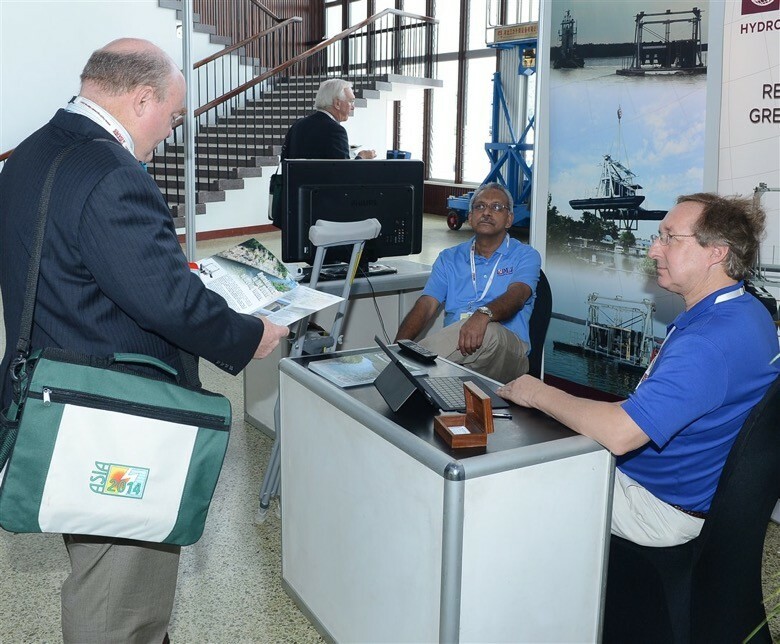 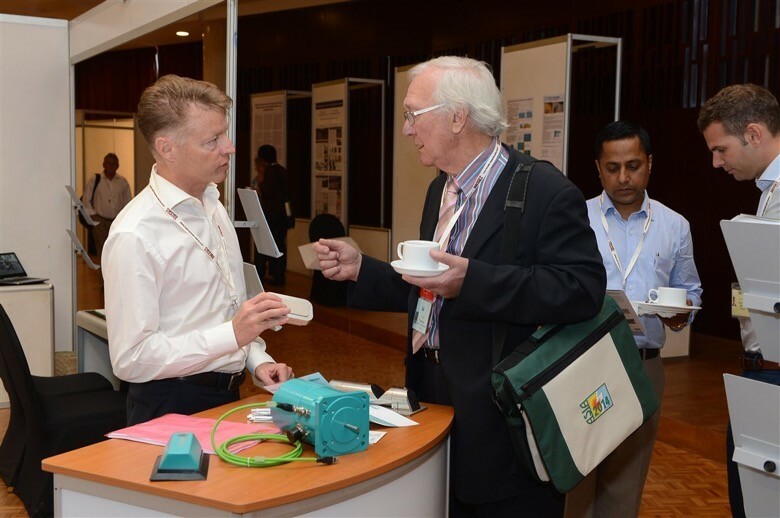 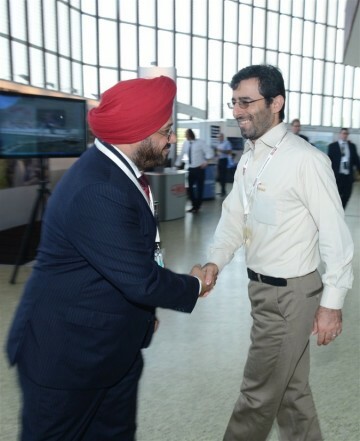 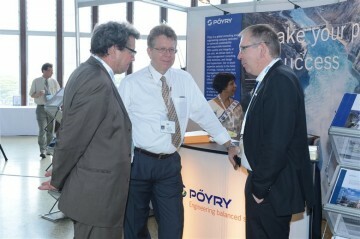 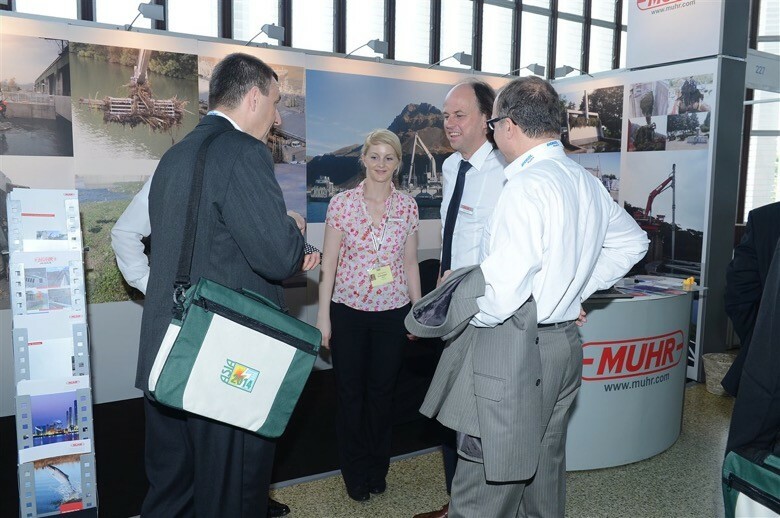 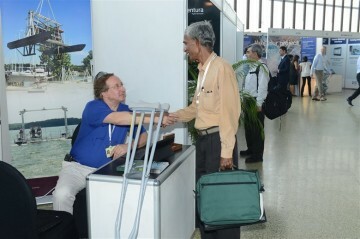 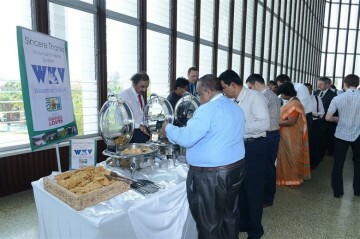 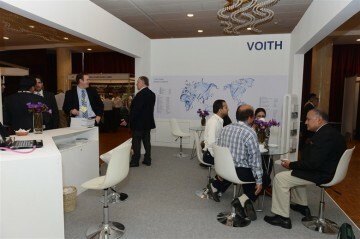 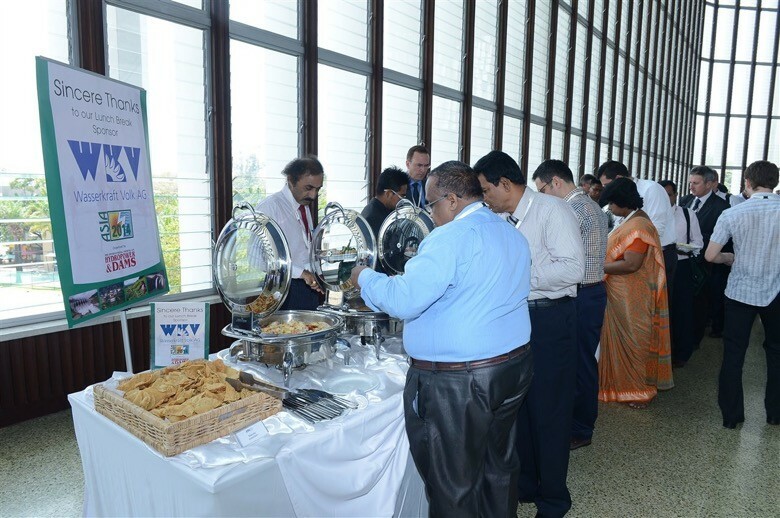 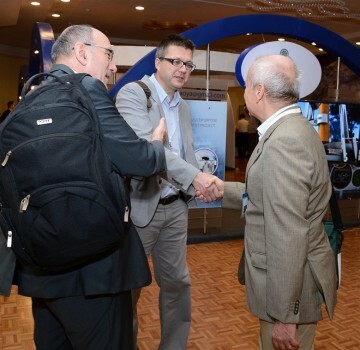 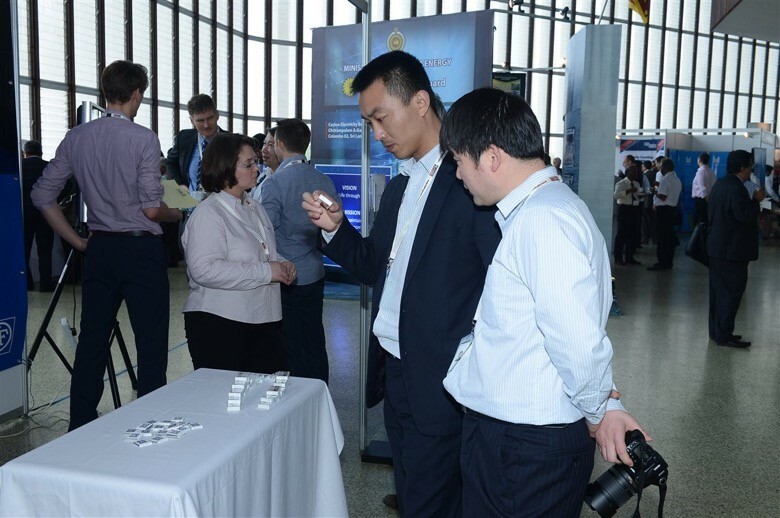 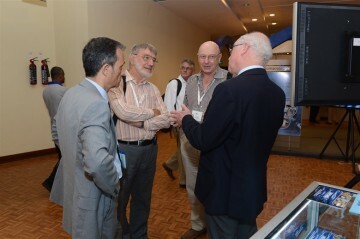 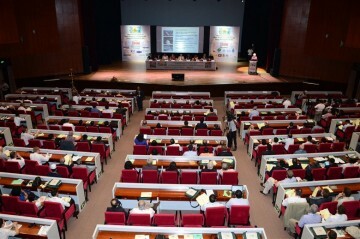 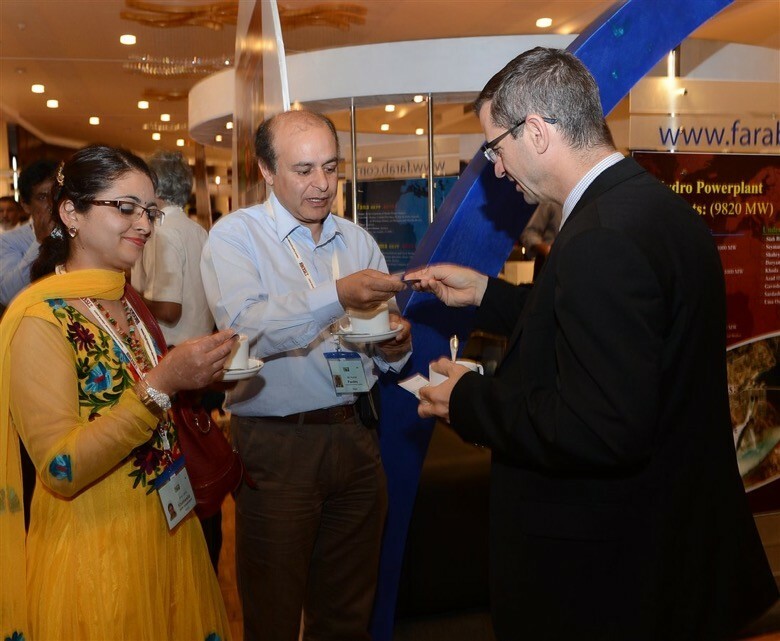 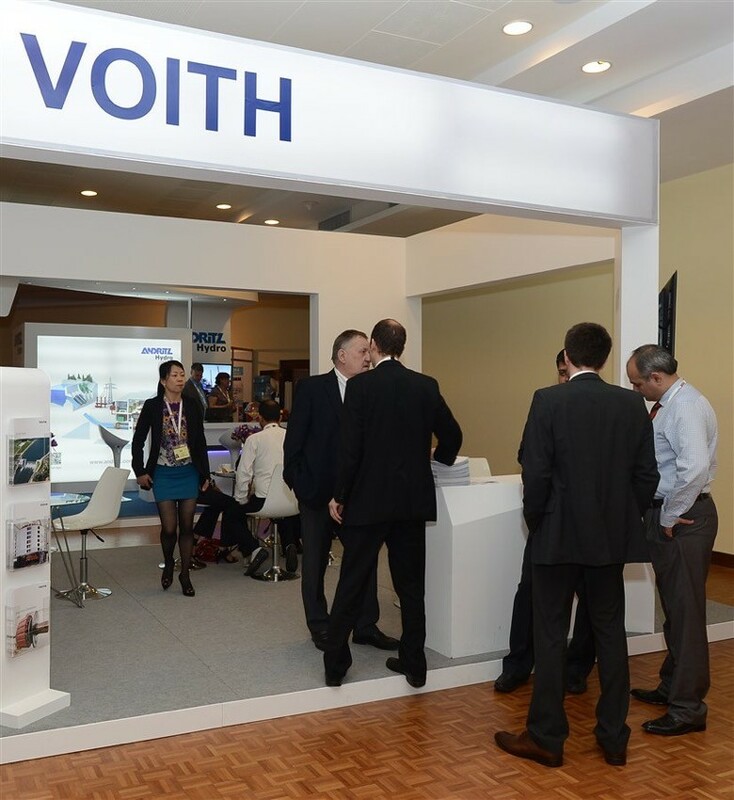 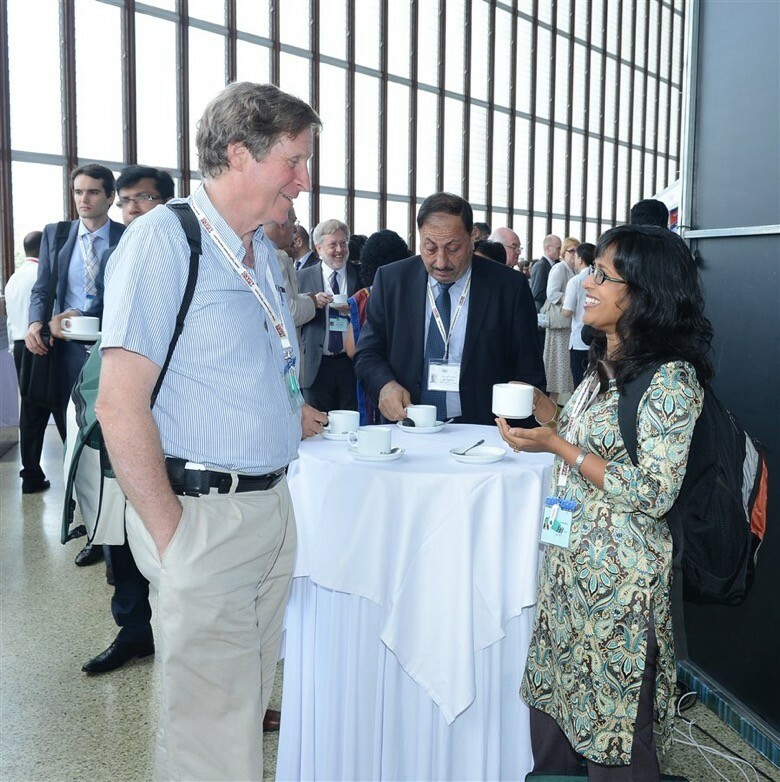 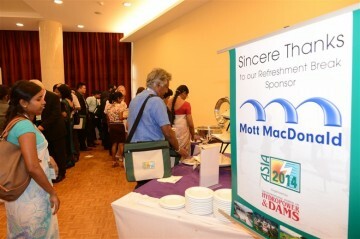 Delegates spent all refreshment and lunch breaks together with exhibitors, and in addition a networking session with drinks was held on the second afternoon of the conference. 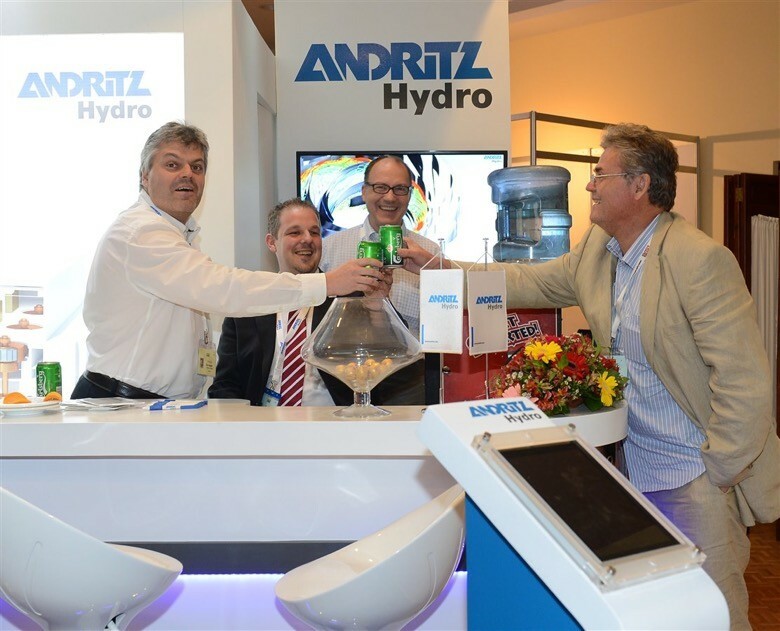 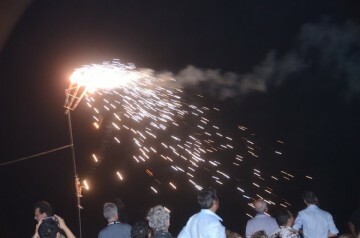 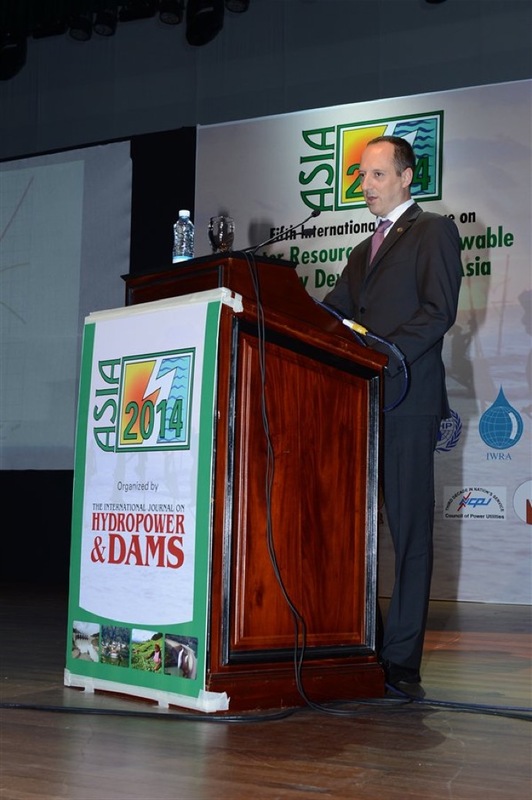 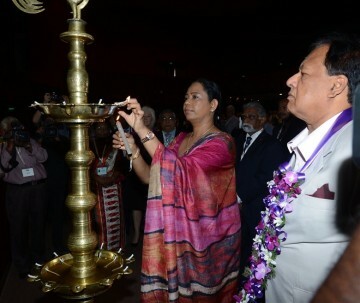 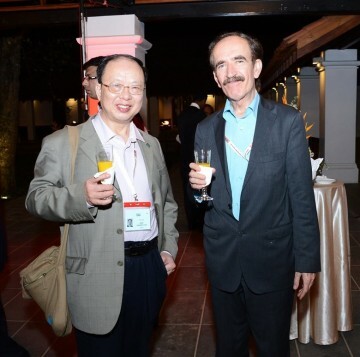 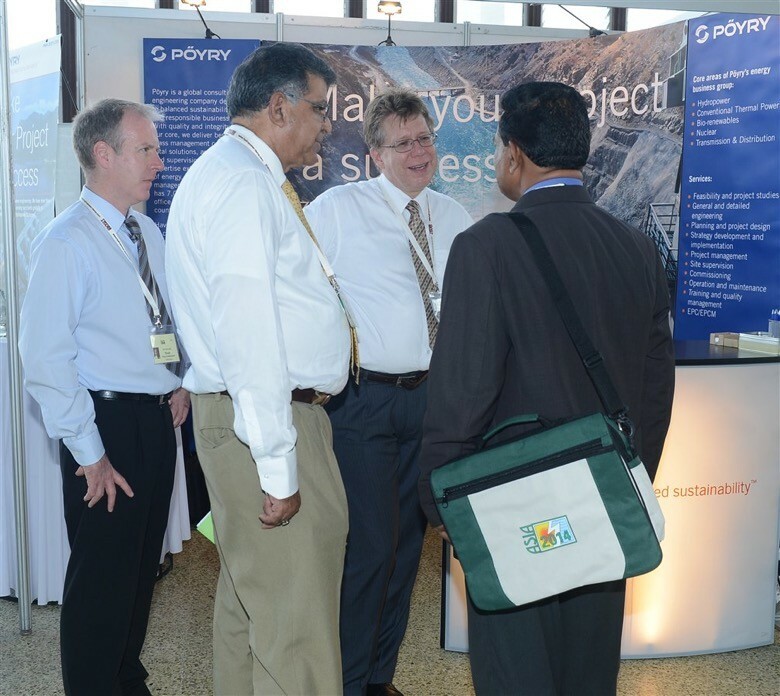 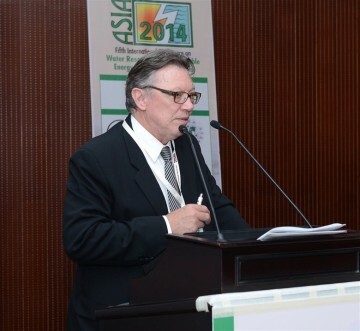 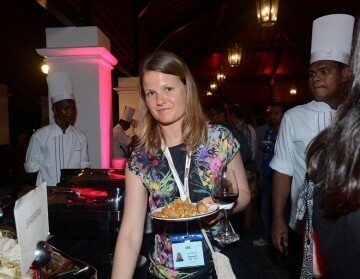 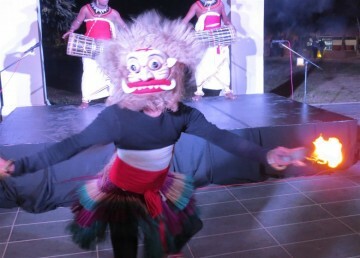 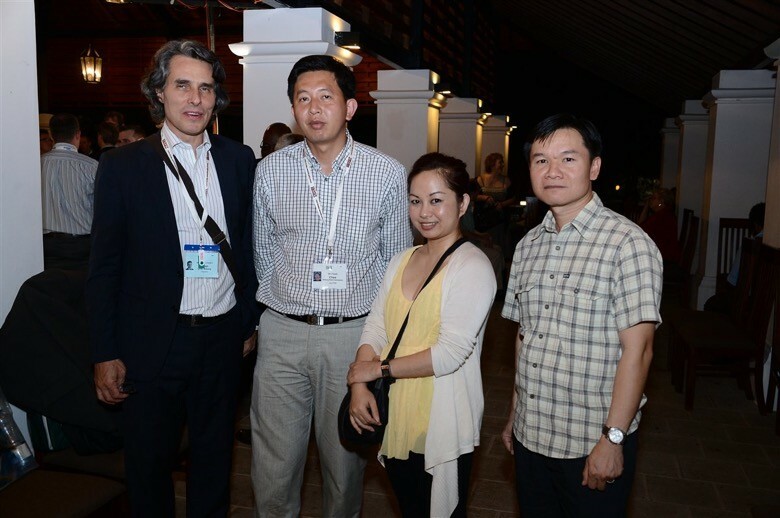 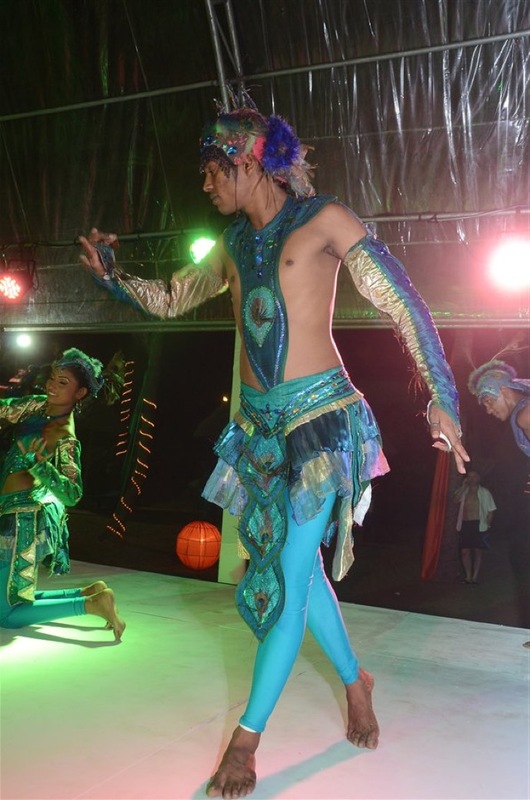 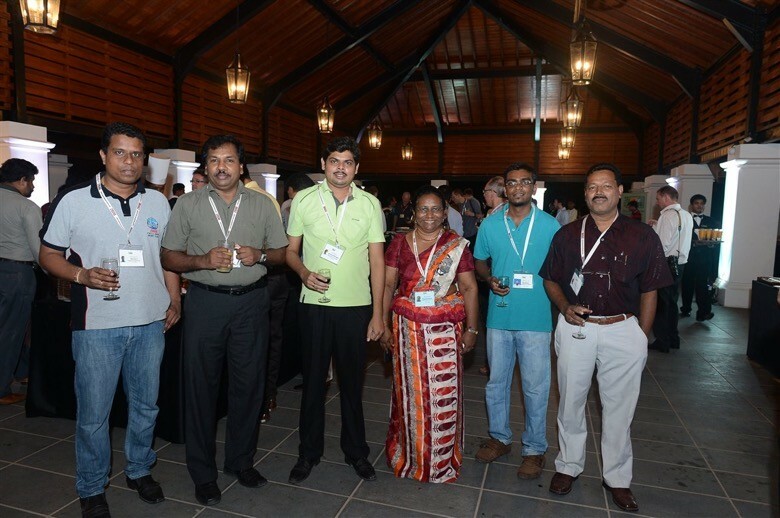 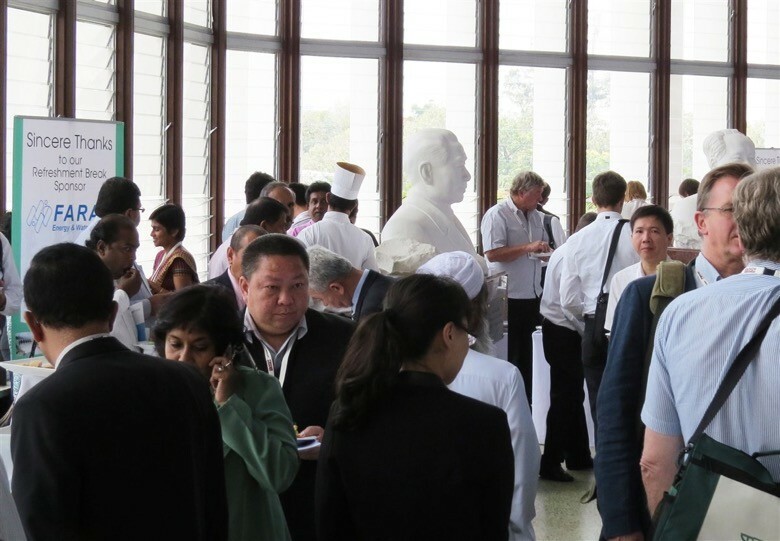 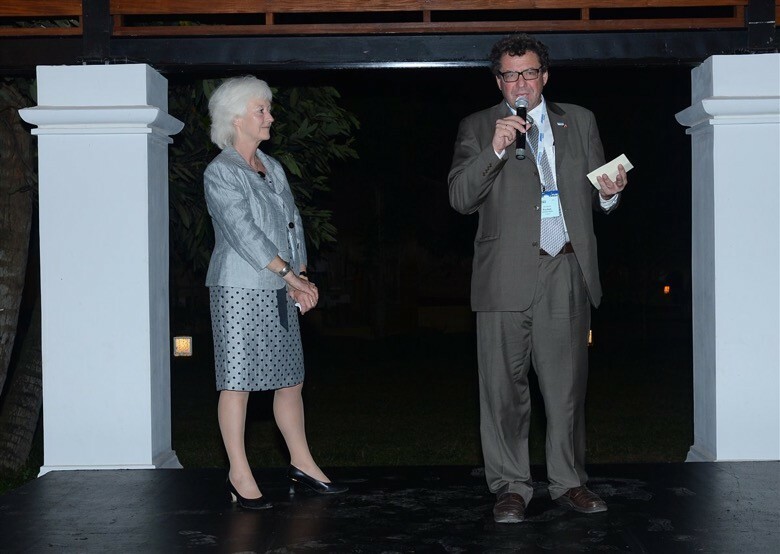 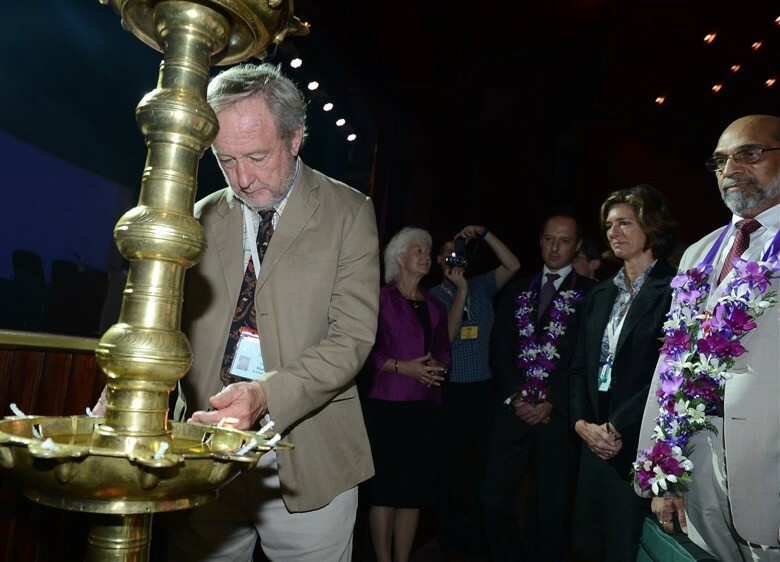 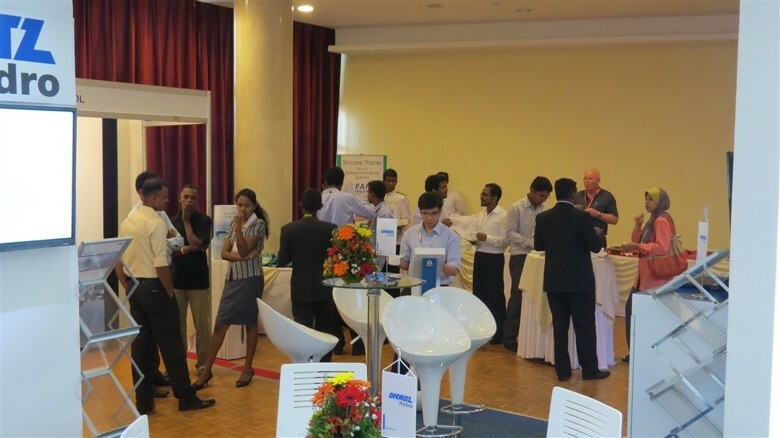 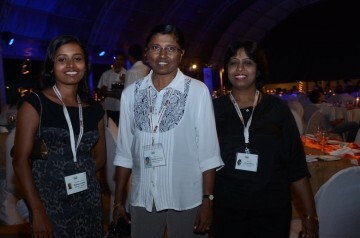 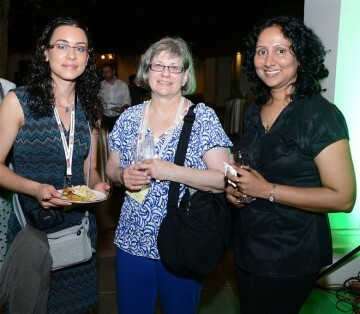 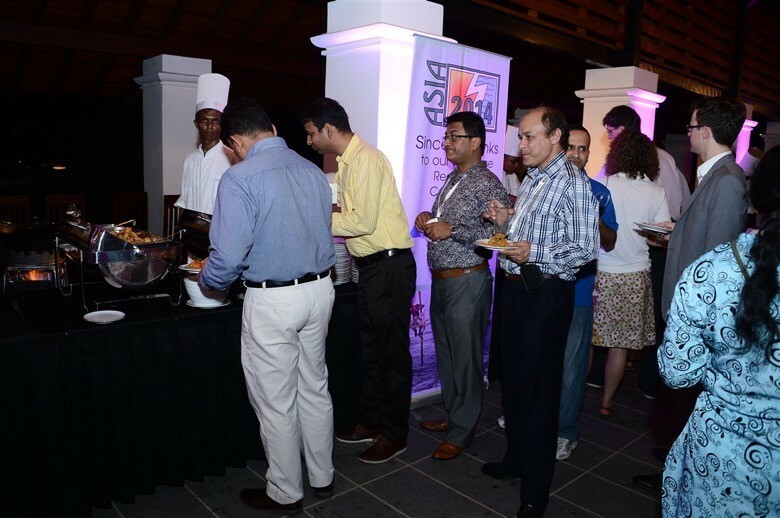 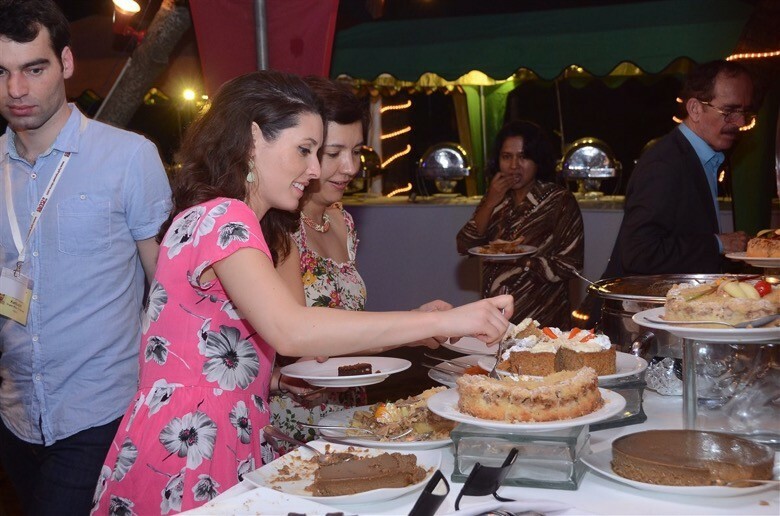 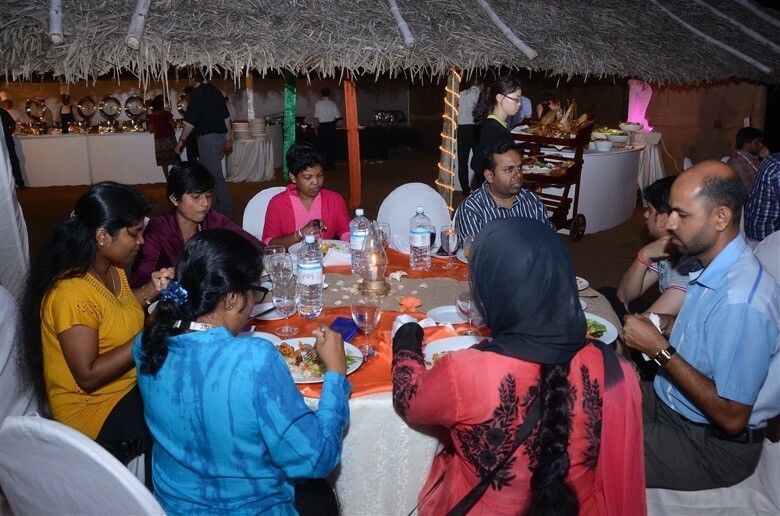 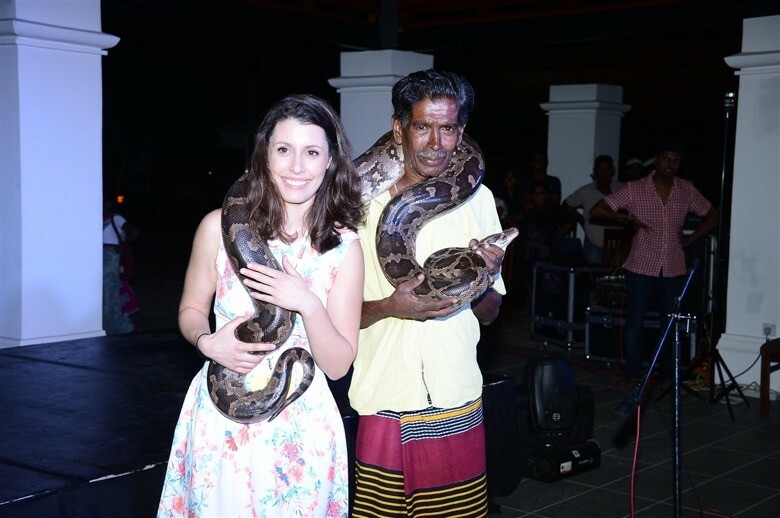 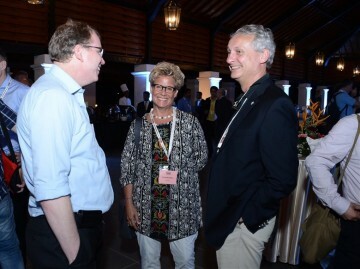 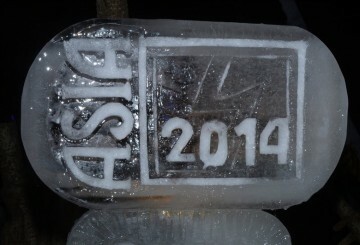 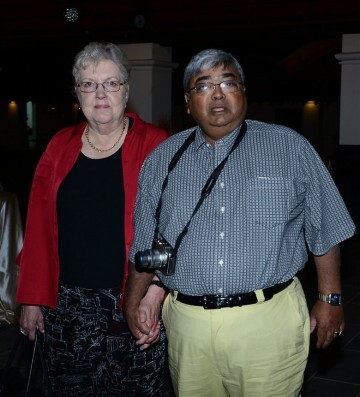 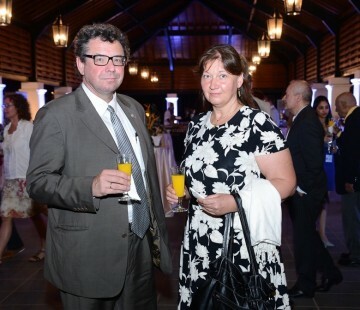 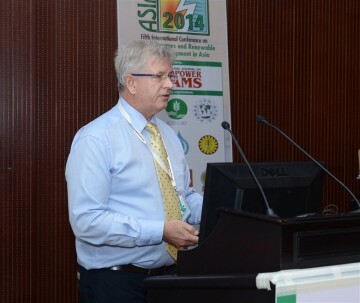 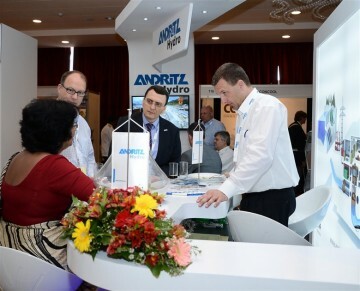 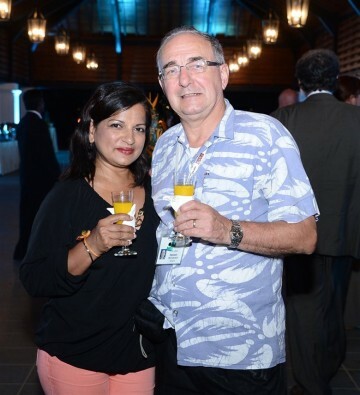 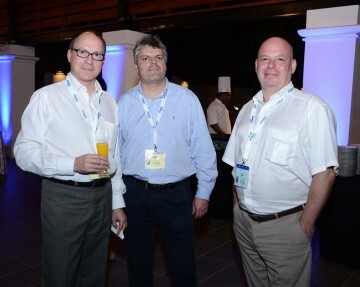 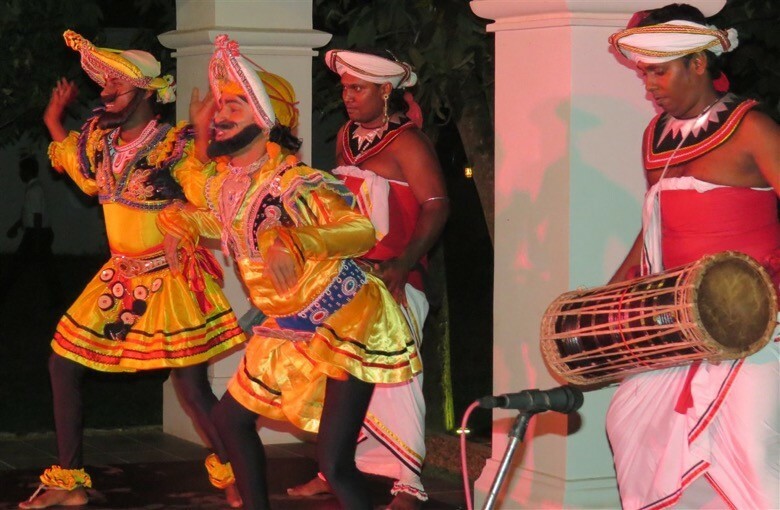 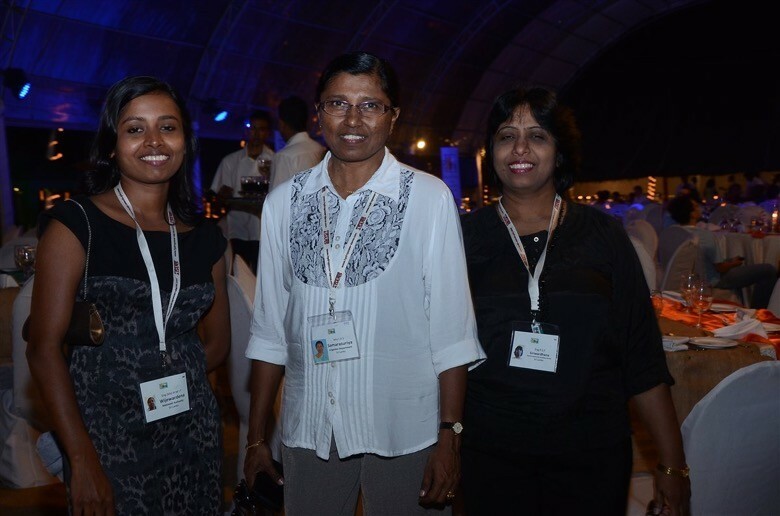 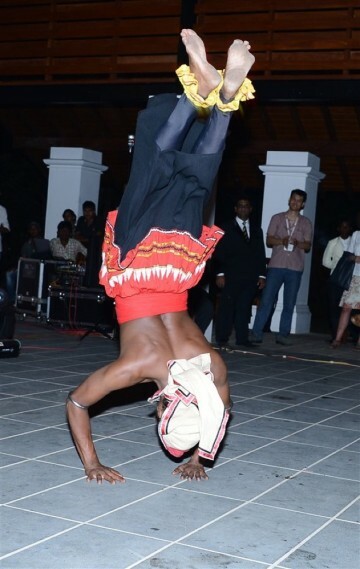 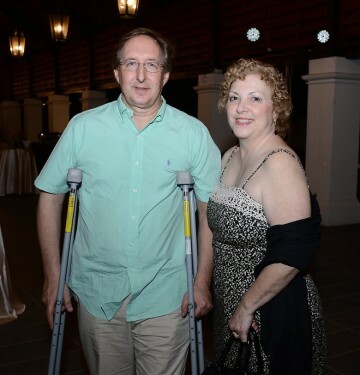 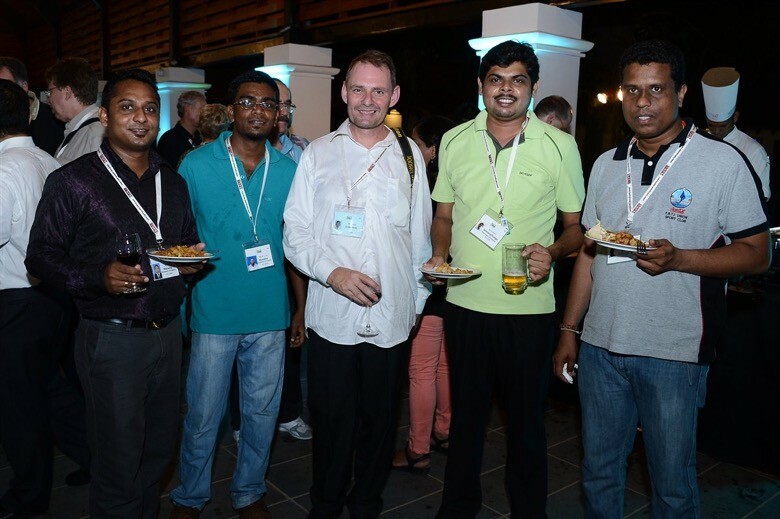 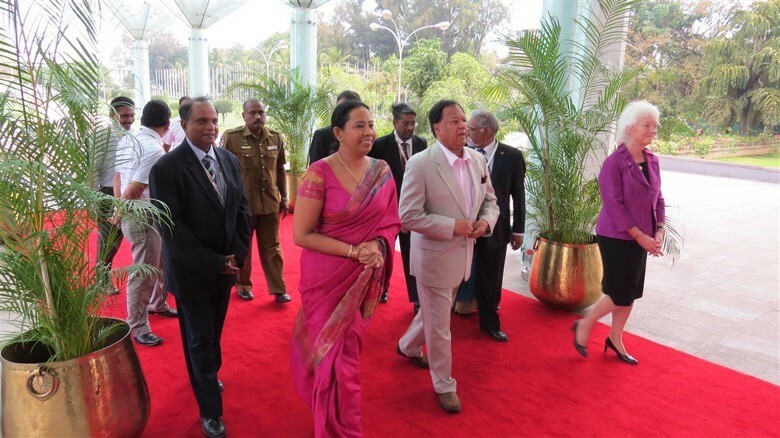 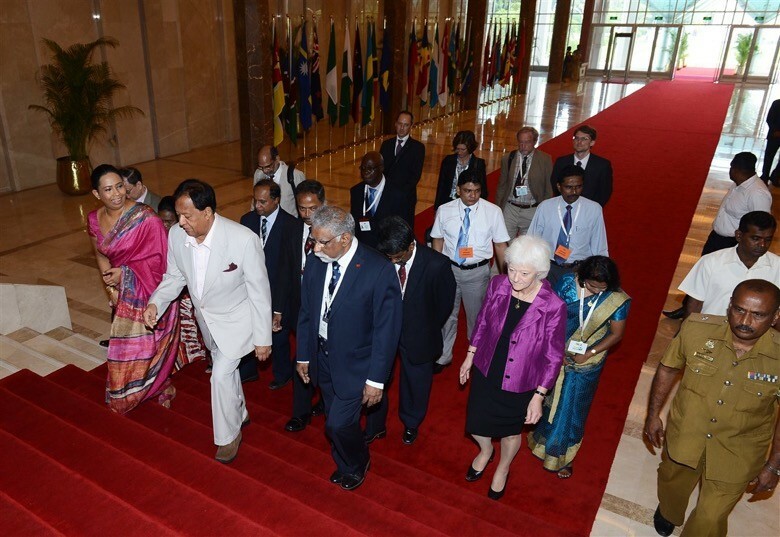 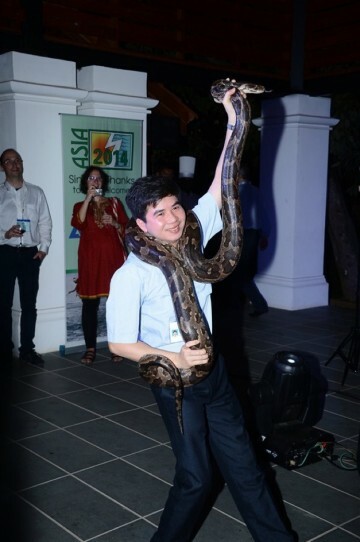 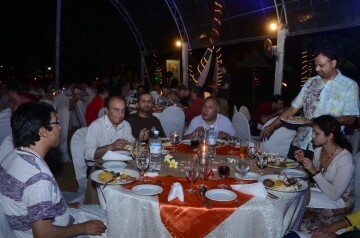 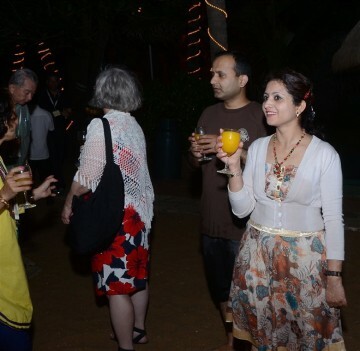 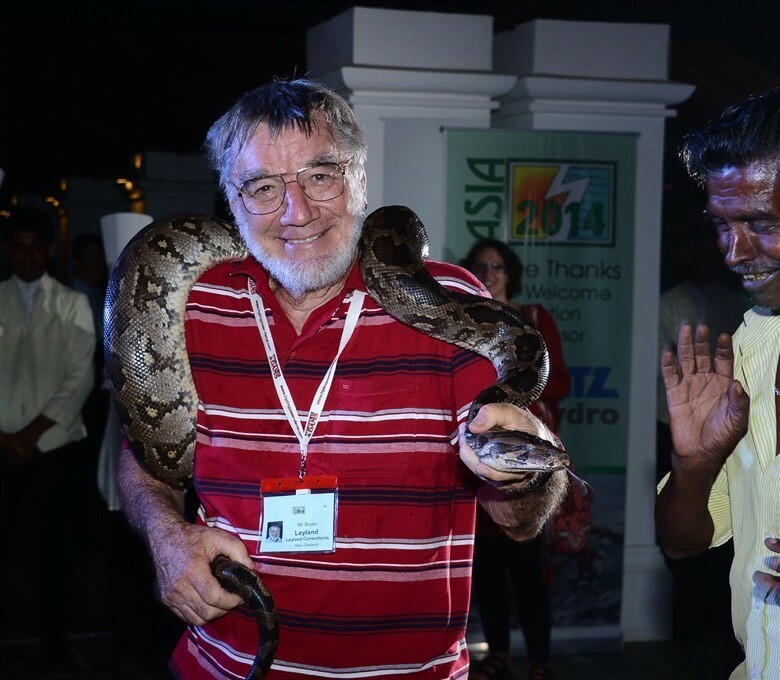 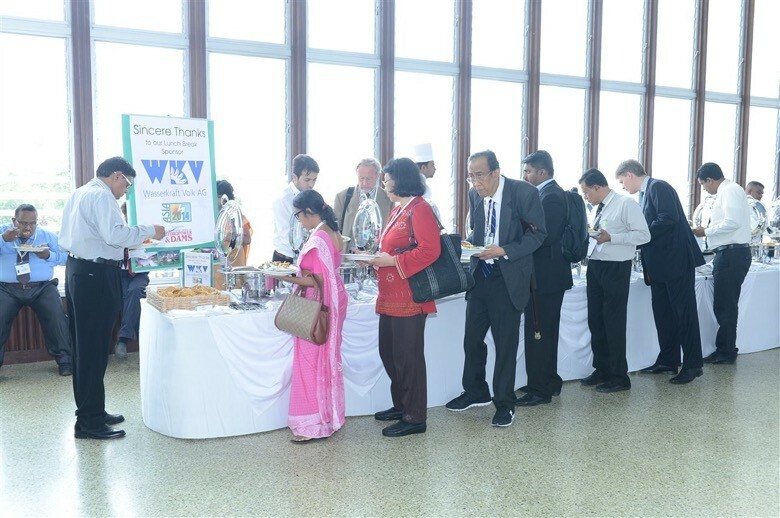 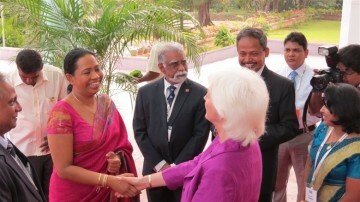 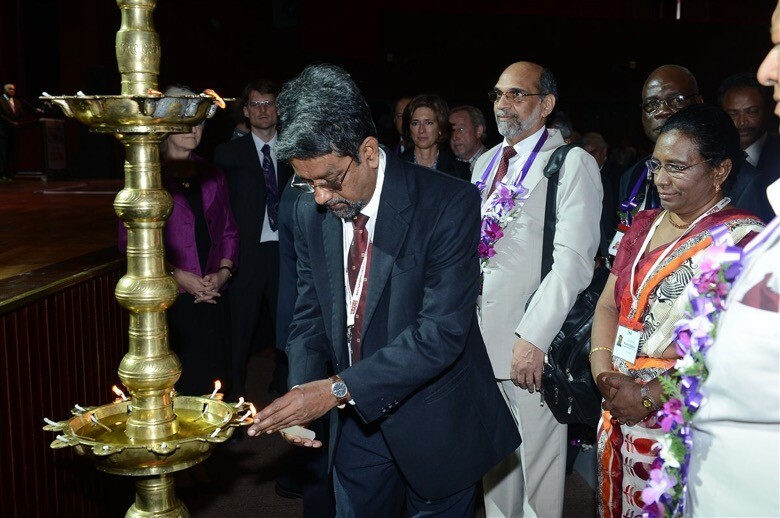 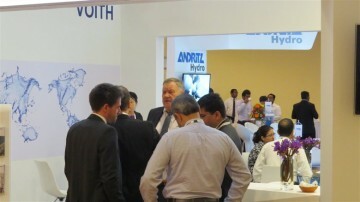 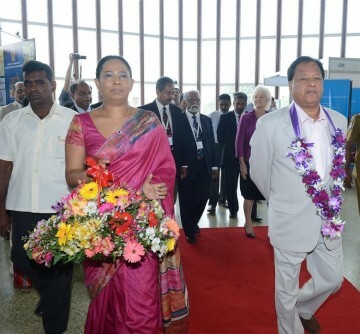 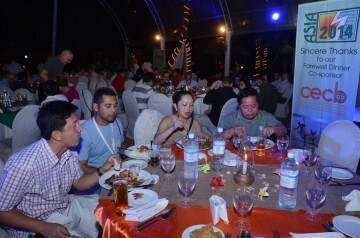 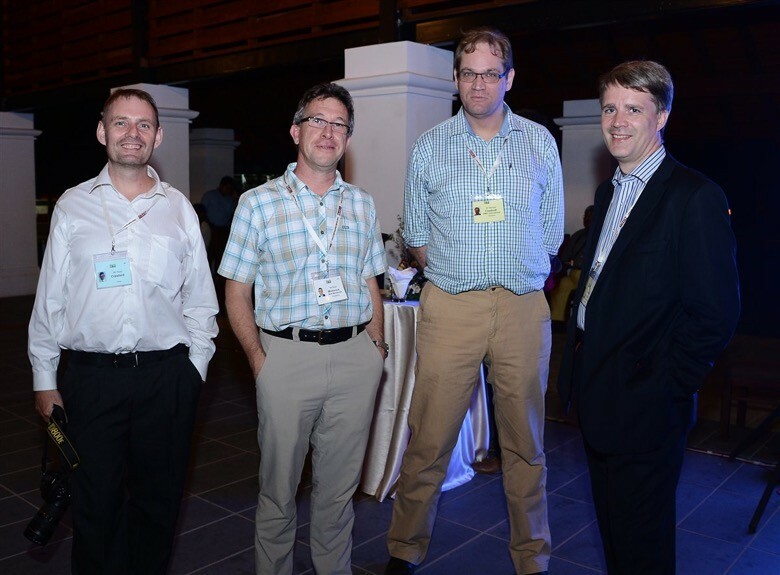 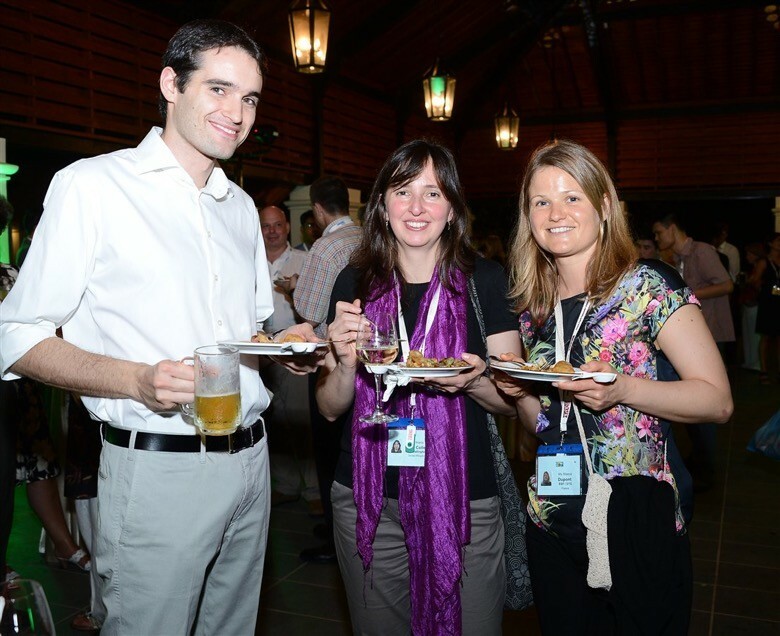 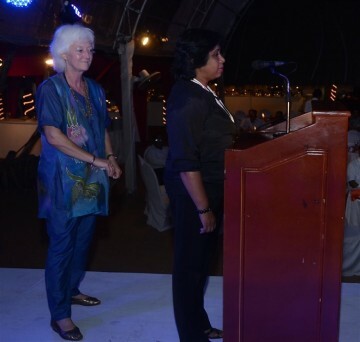 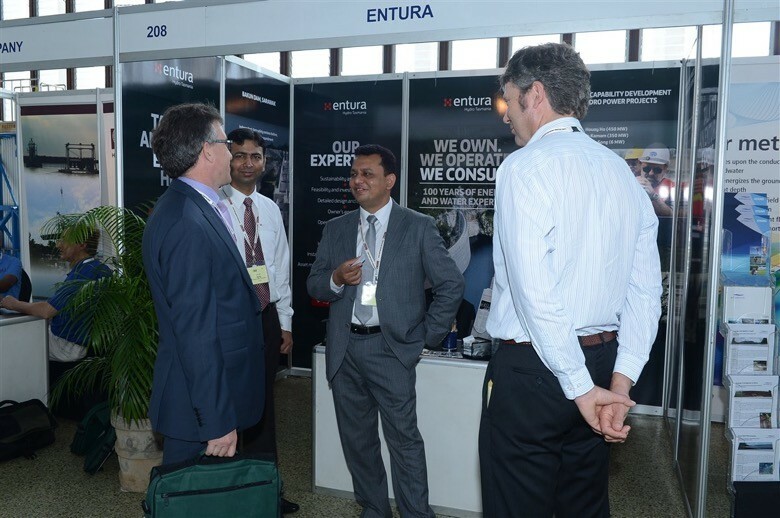 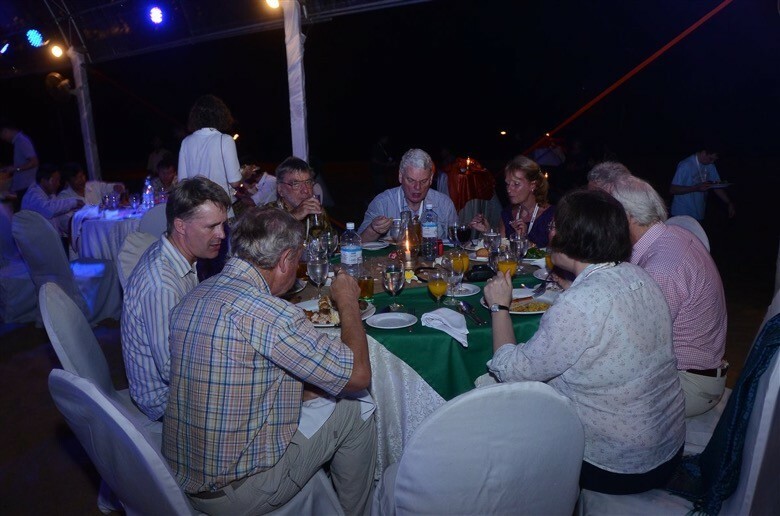 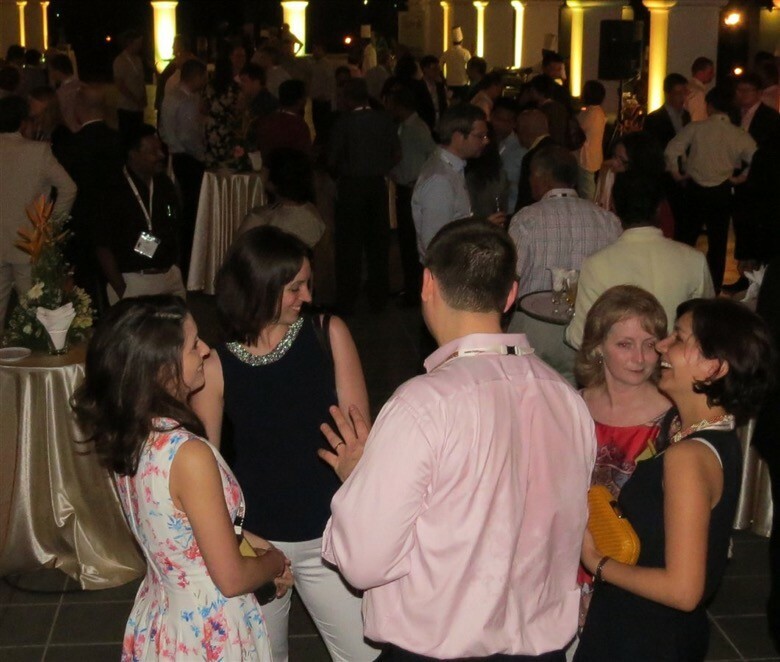 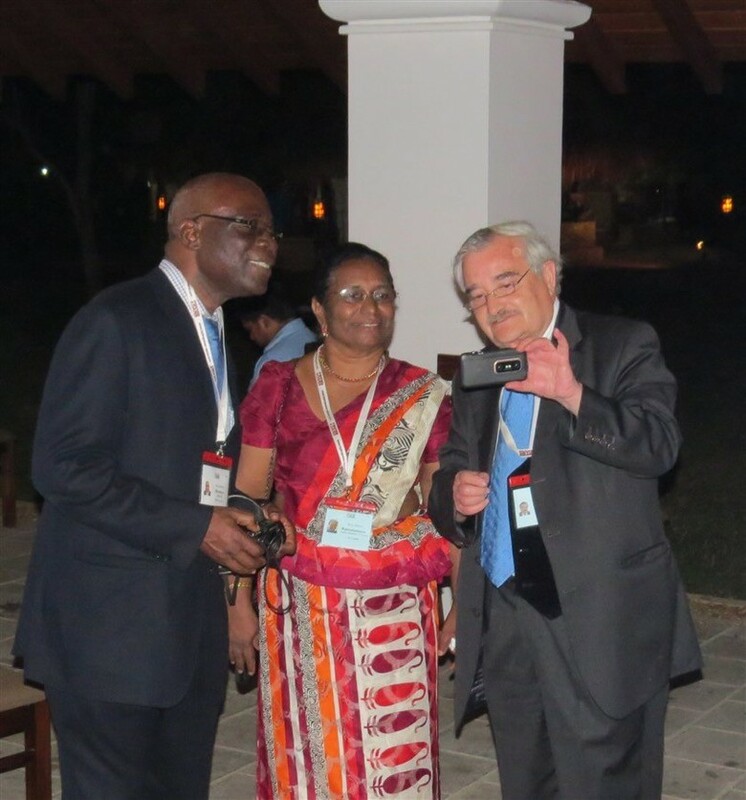 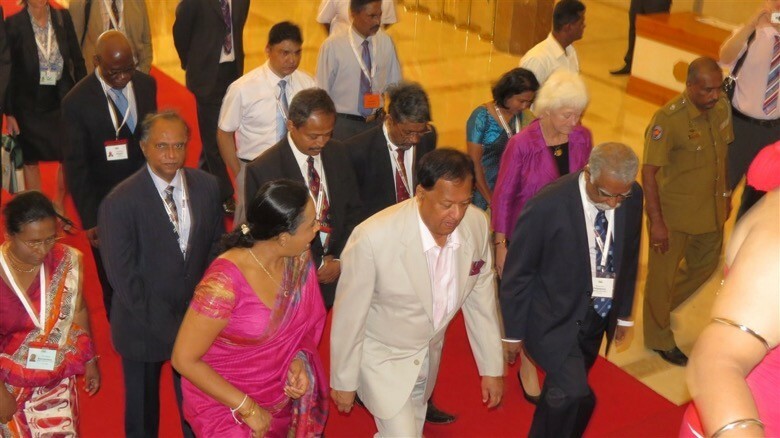 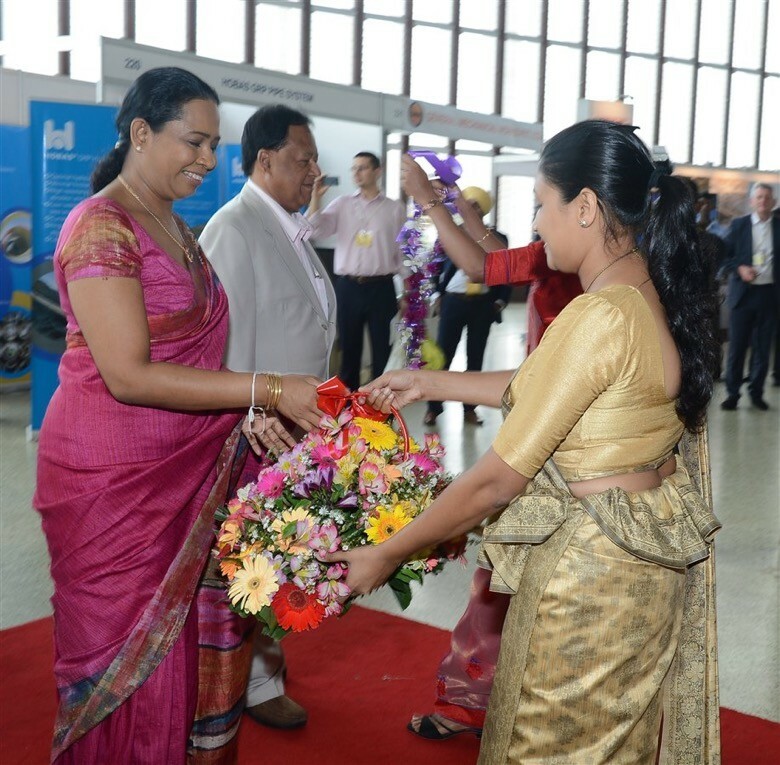 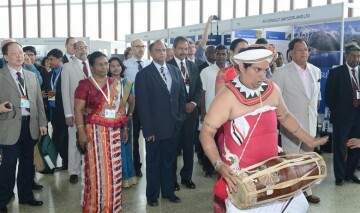 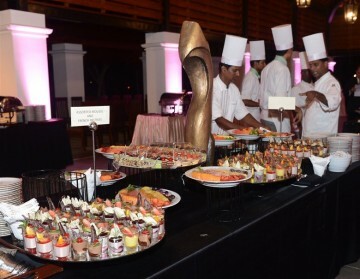 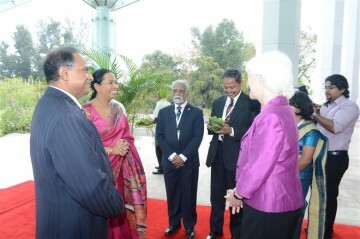 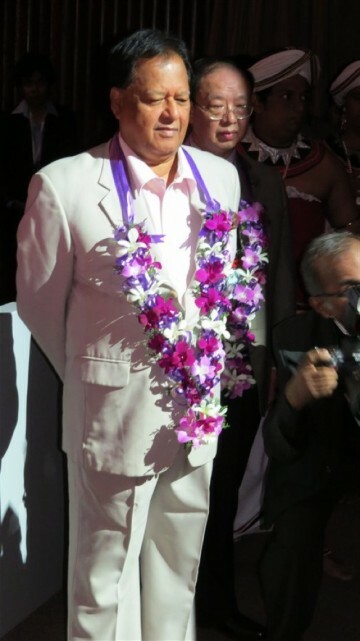 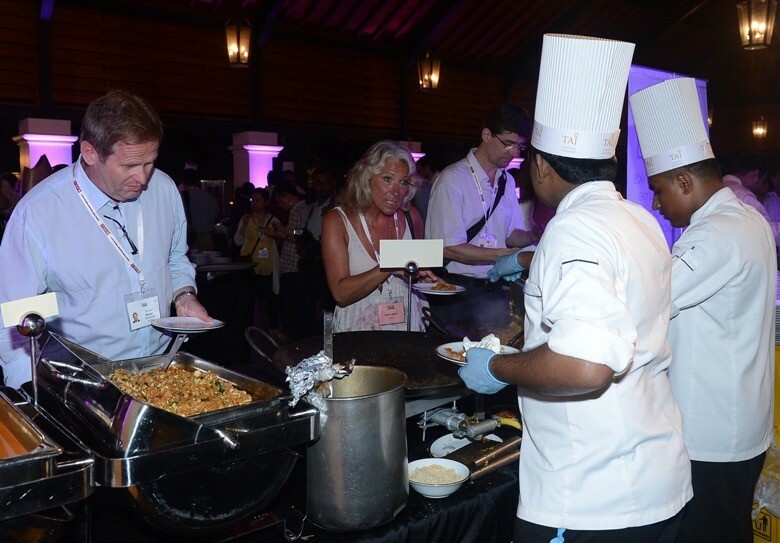 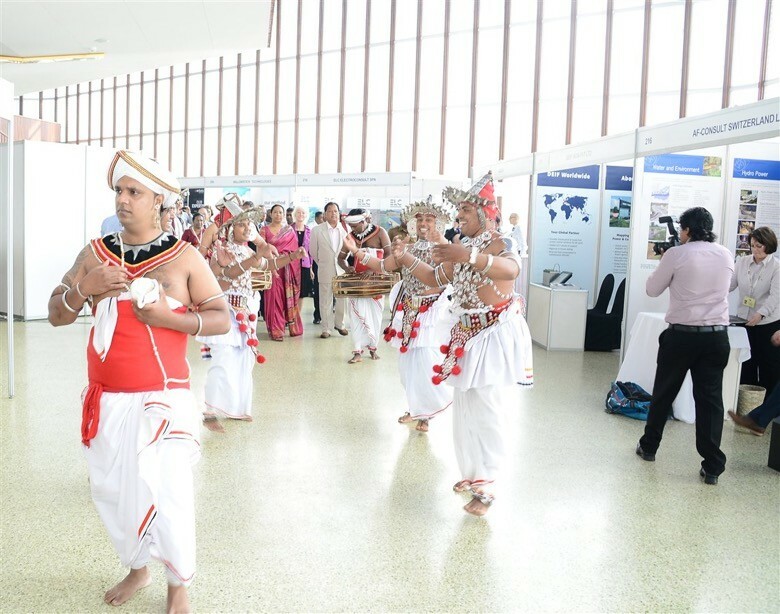 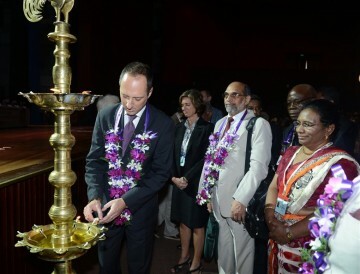 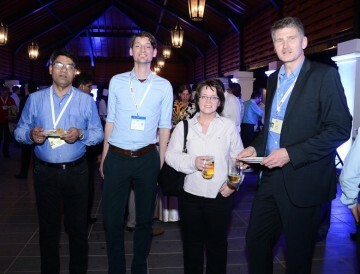 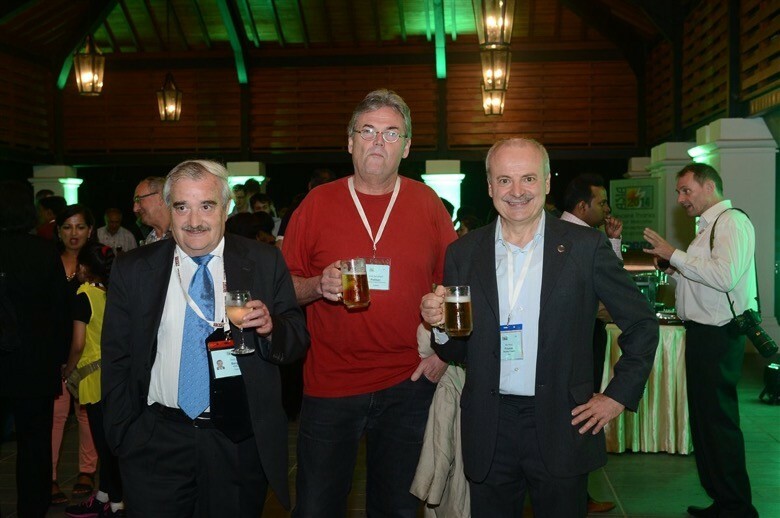 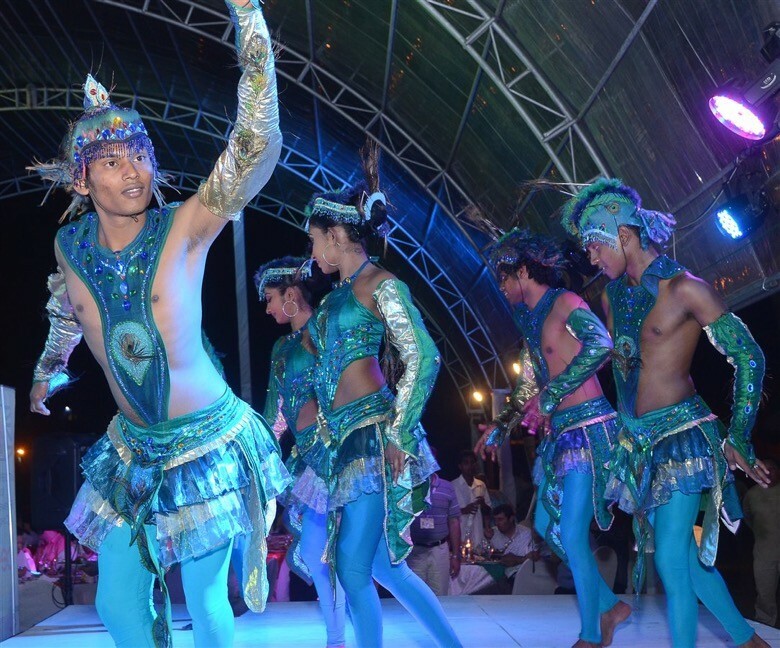 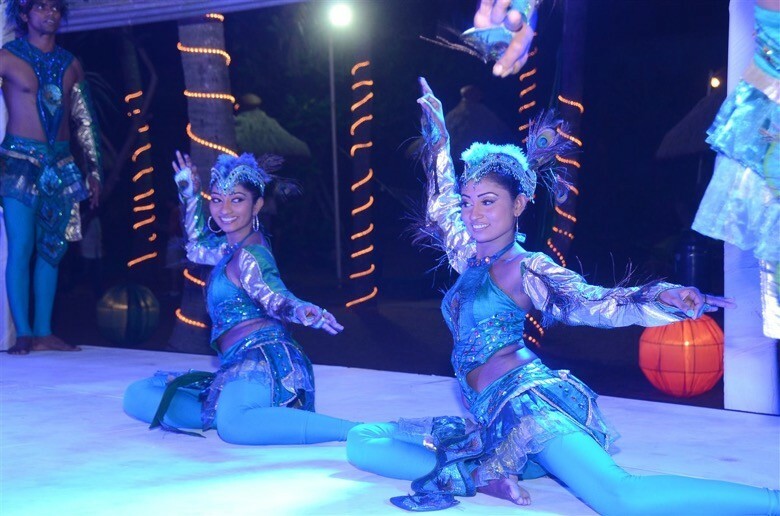 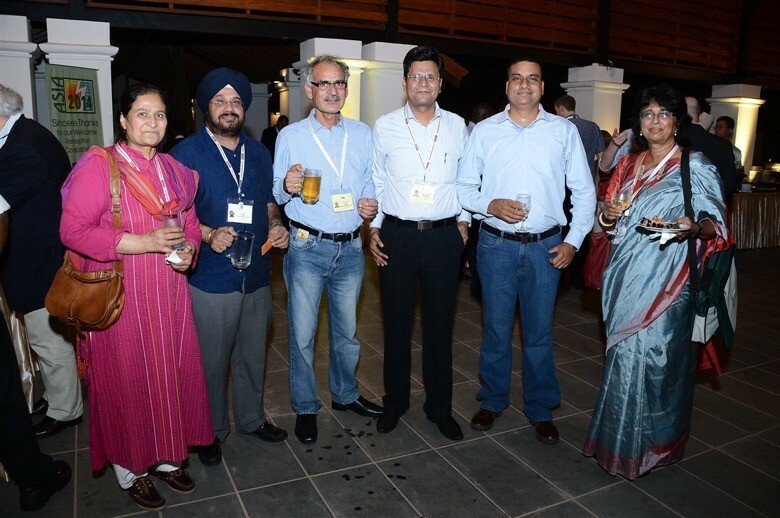 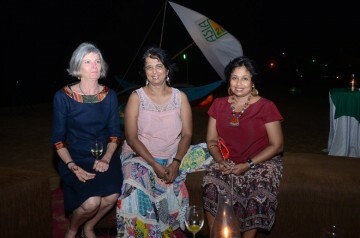 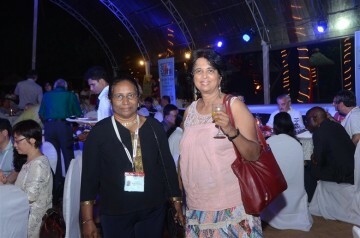 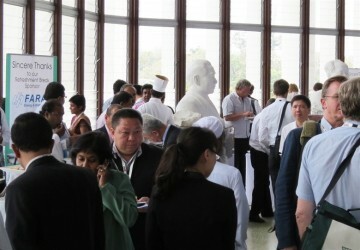 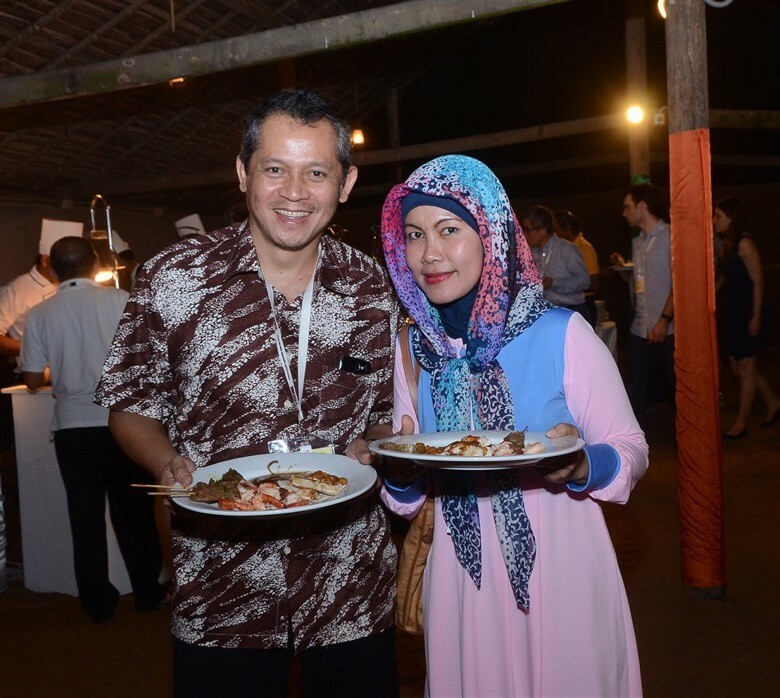 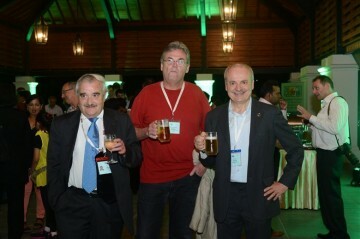 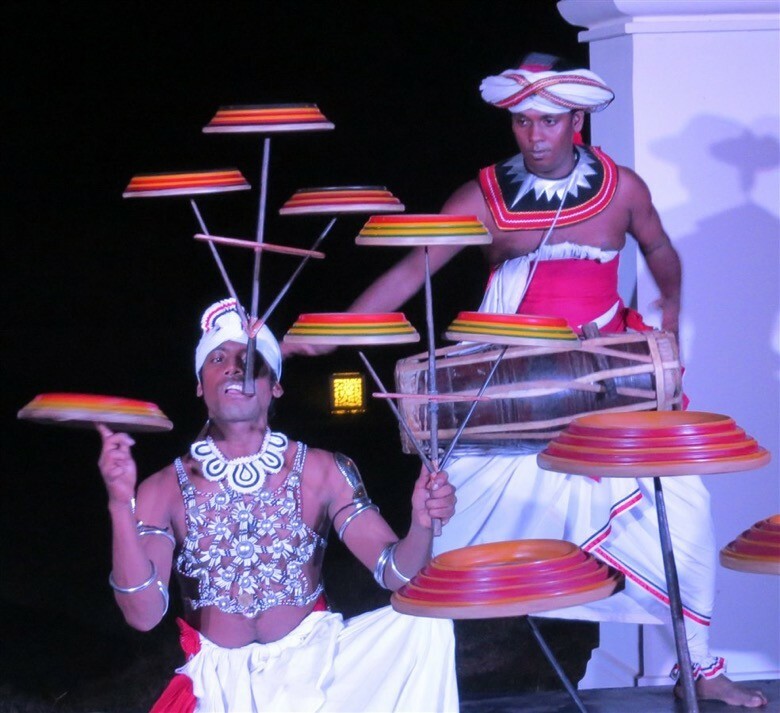 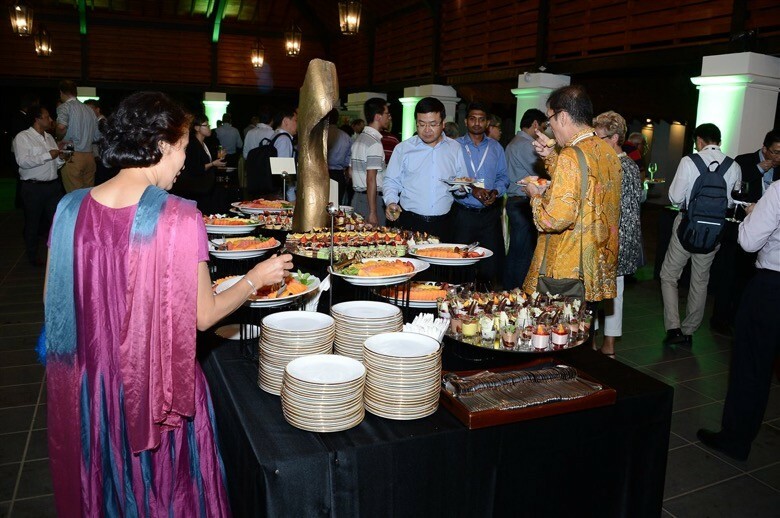 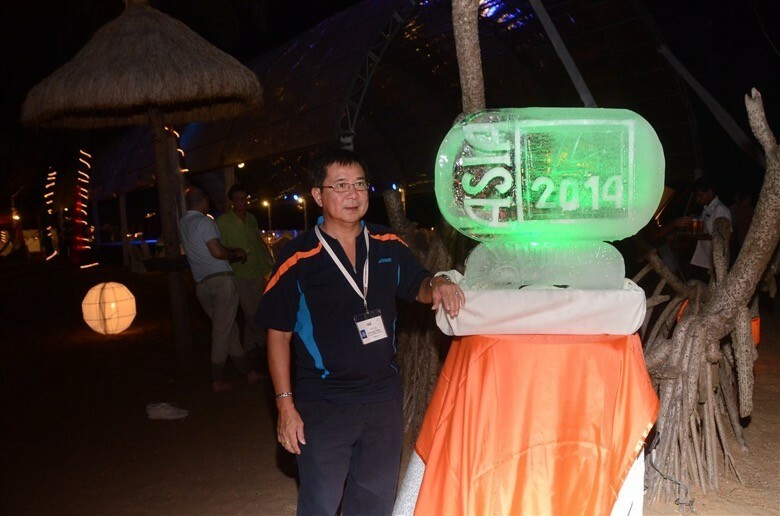 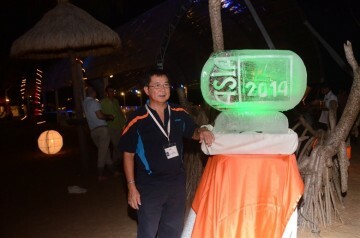 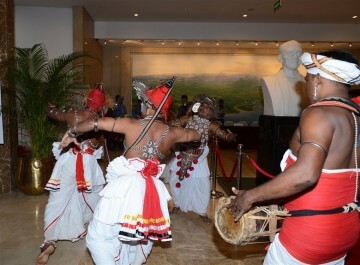 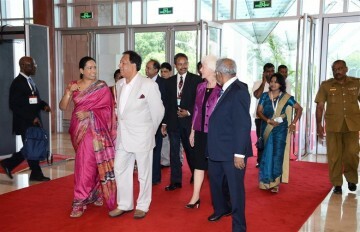 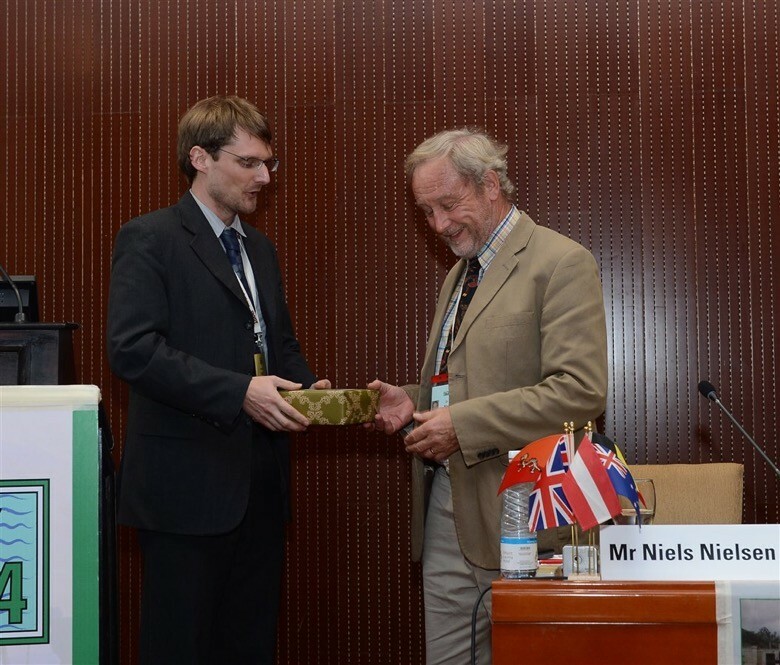 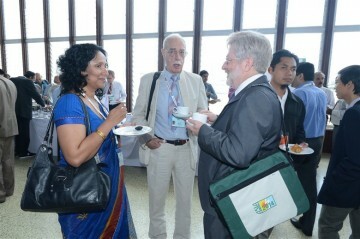 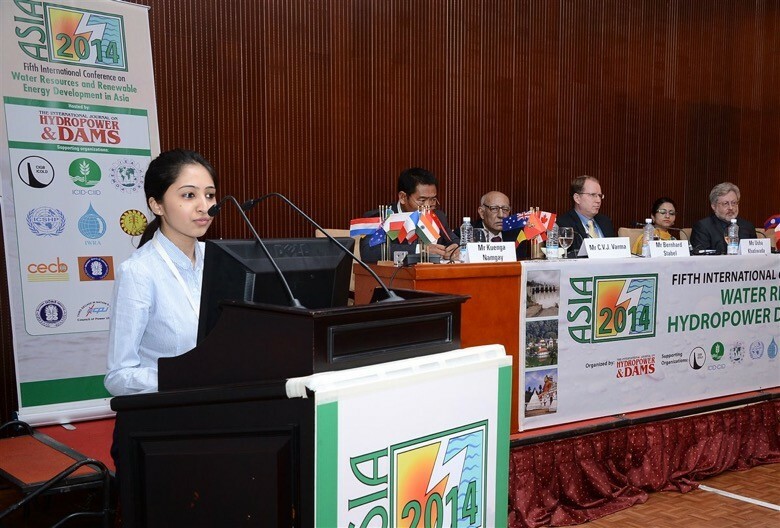 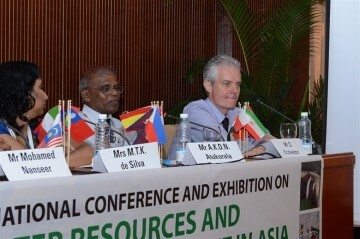 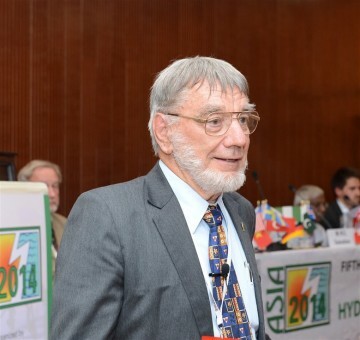 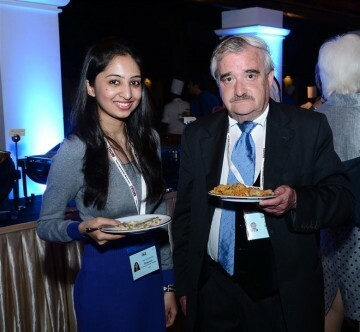 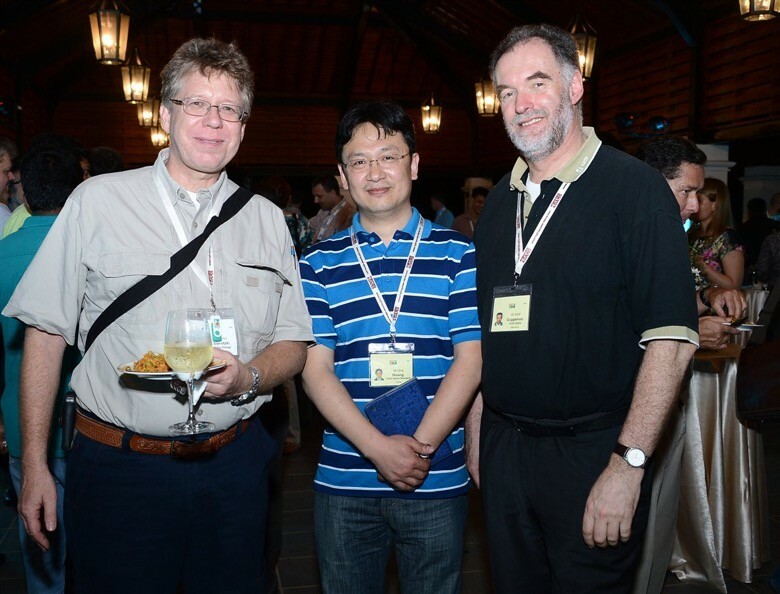 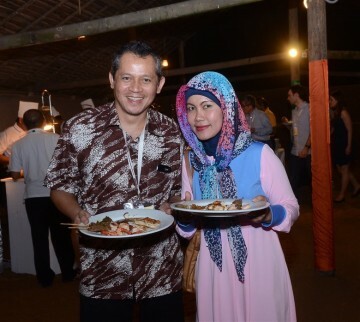 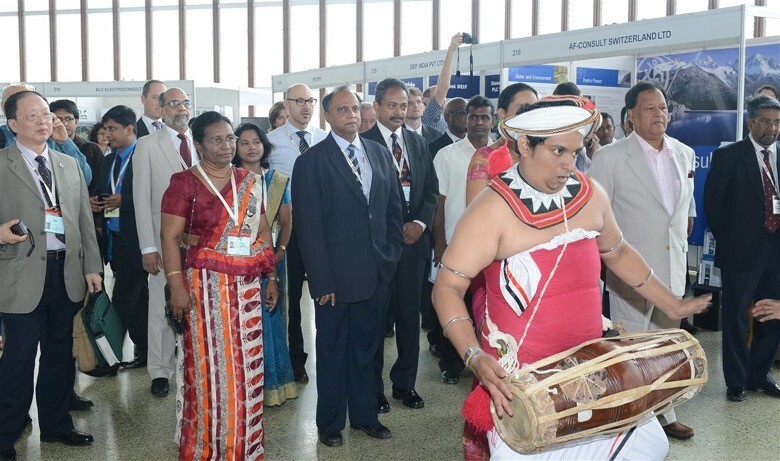 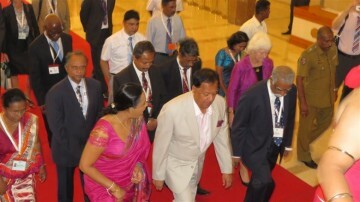 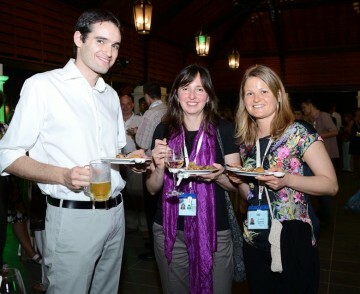 The ASIA 2014 Welcome Reception, co-sponsored by Andritz, was held at the Apé Gama Cultural Village in Colombo. 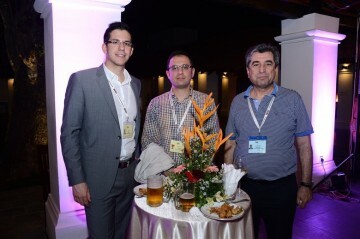 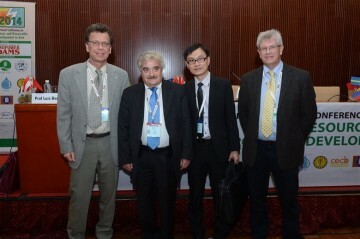 A networking reception with refreshments was held in the Exhibition halls, on the second day of the conference, and a lavish gala dinner was co-hosted by CECB as a farewell party on the final evening.